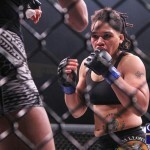 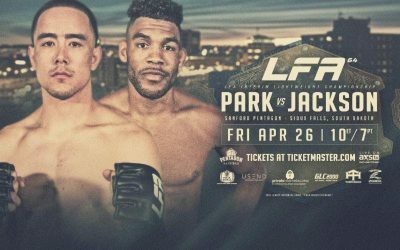 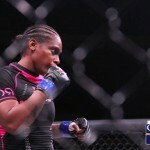 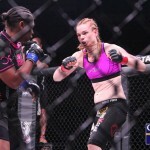 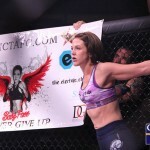 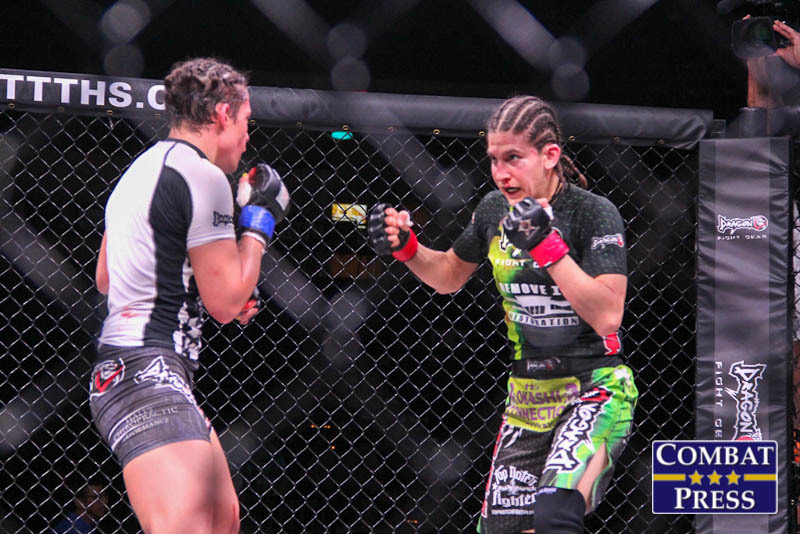 On Friday, April 24, Invicta Fighting Championships hosted Invicta FC 12: Kankaanpää vs. Souza from the Municipal Auditorium in Kansas City, Mo. 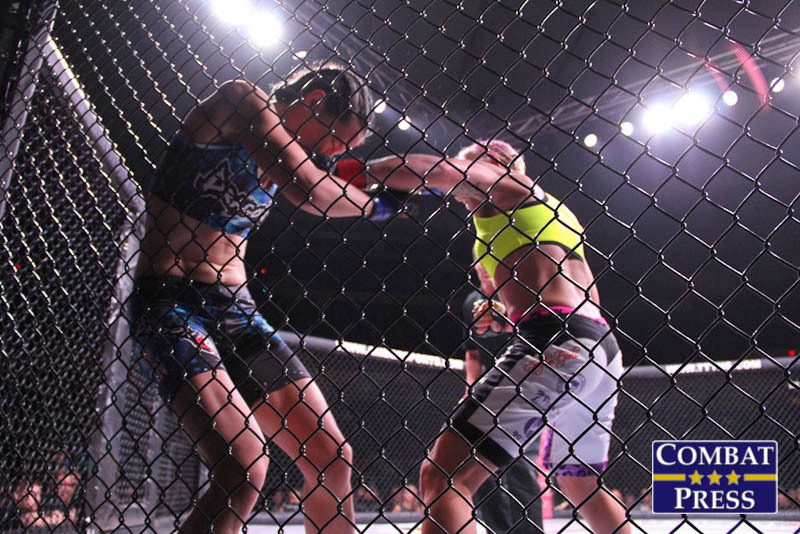 In the night’s main event Finnish strawweight champion Katja Kankaanpää clashed with unbeaten Brazilian Livia Renata Souza. 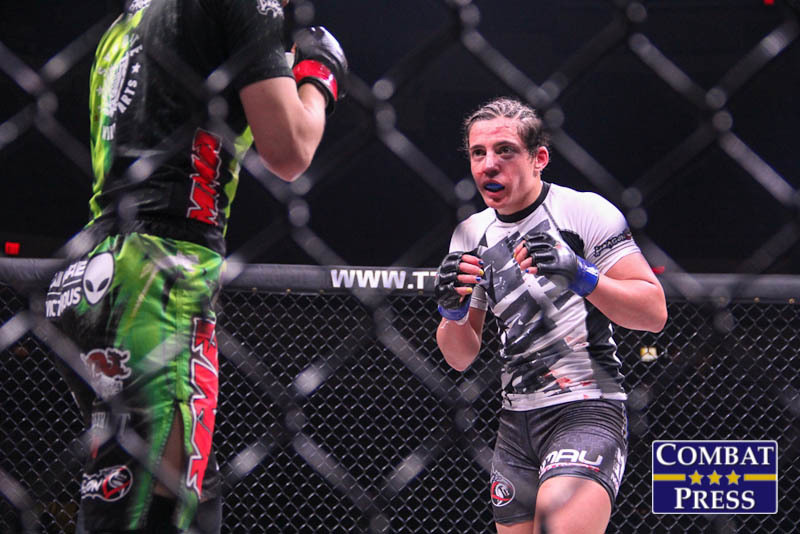 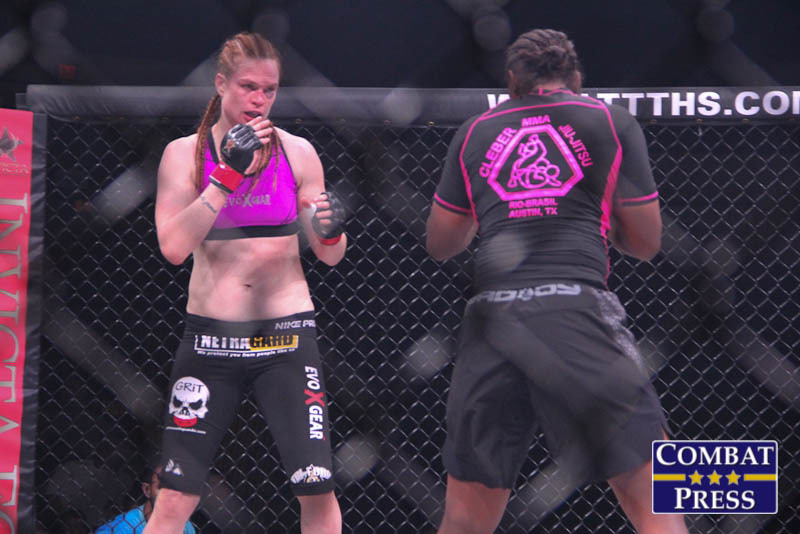 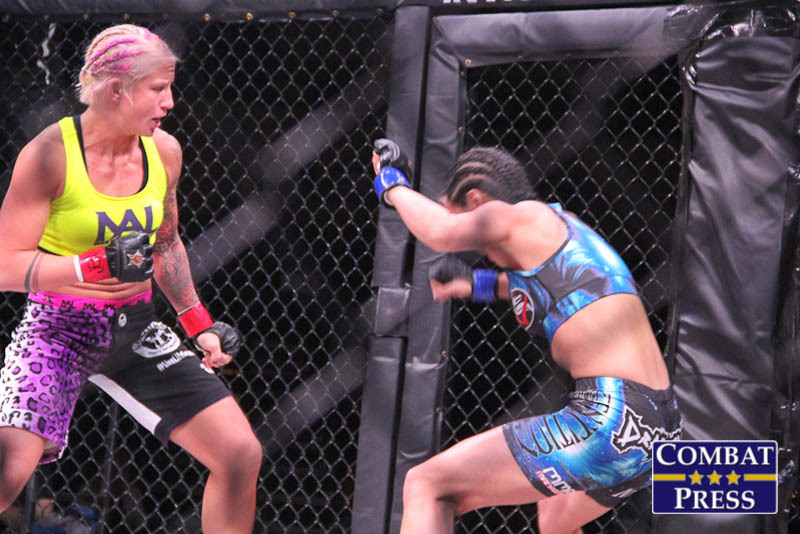 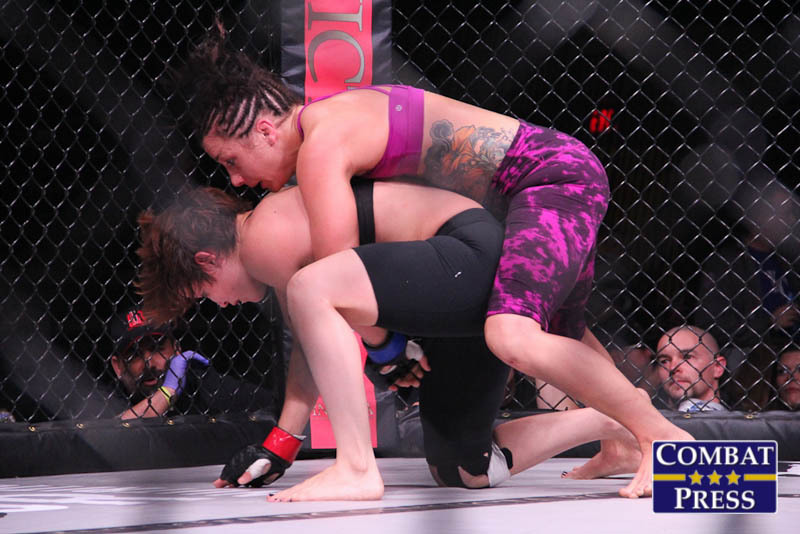 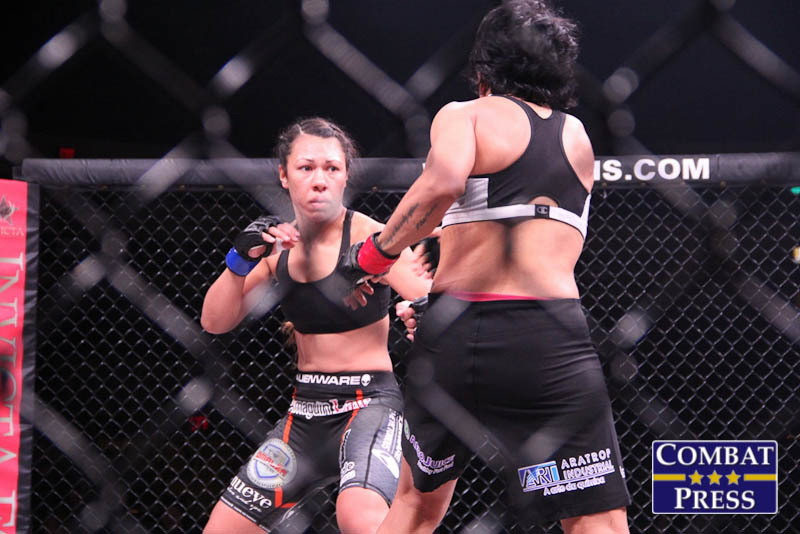 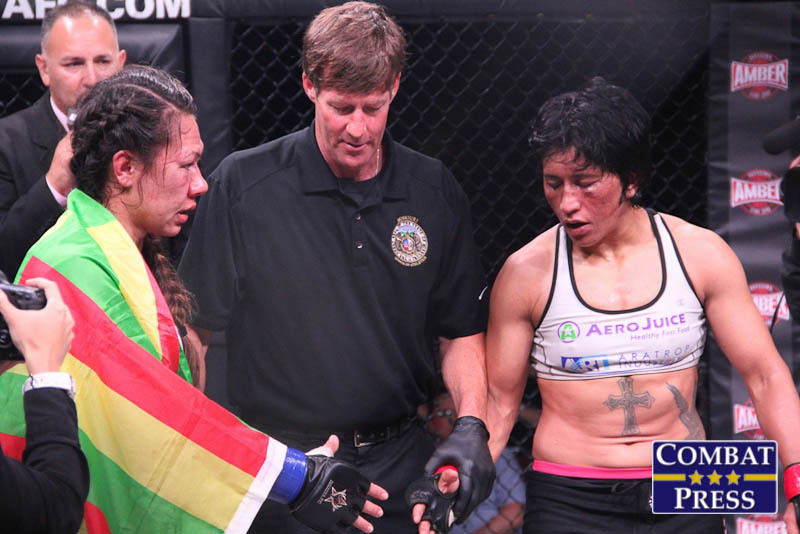 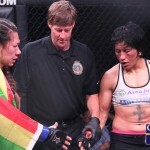 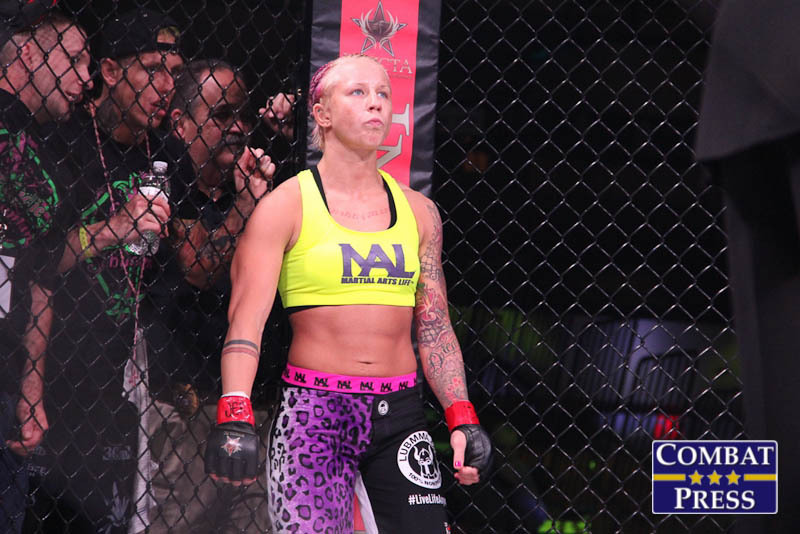 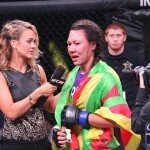 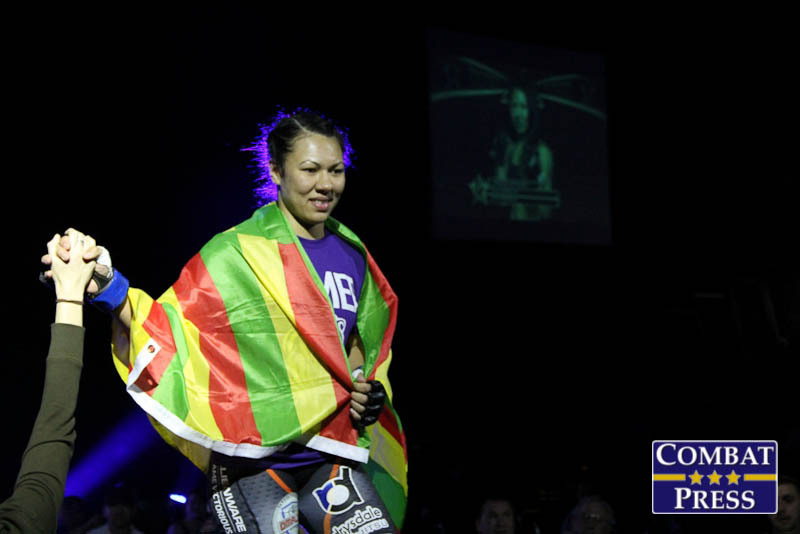 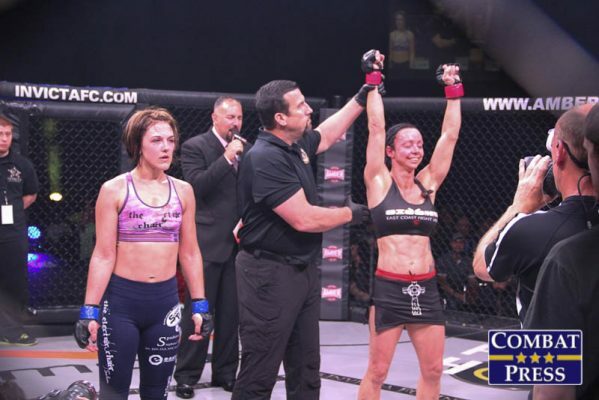 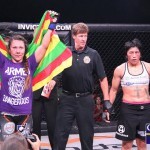 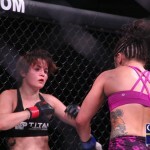 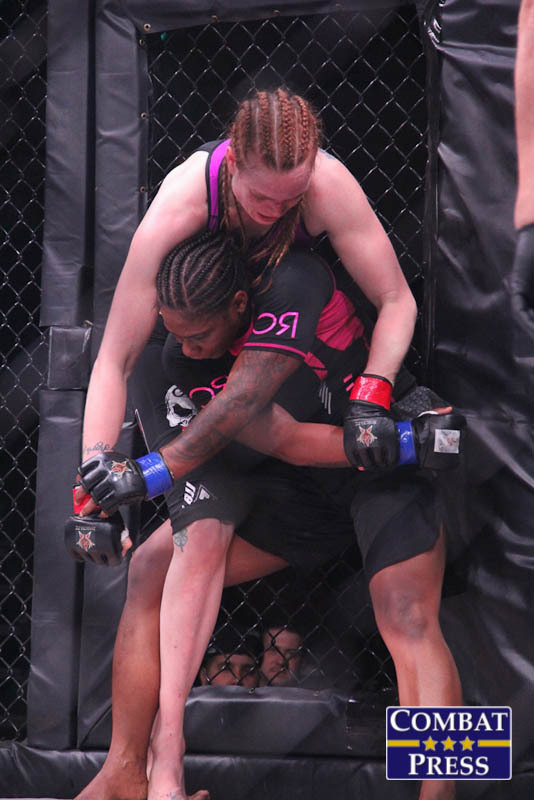 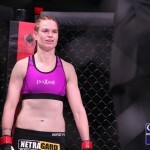 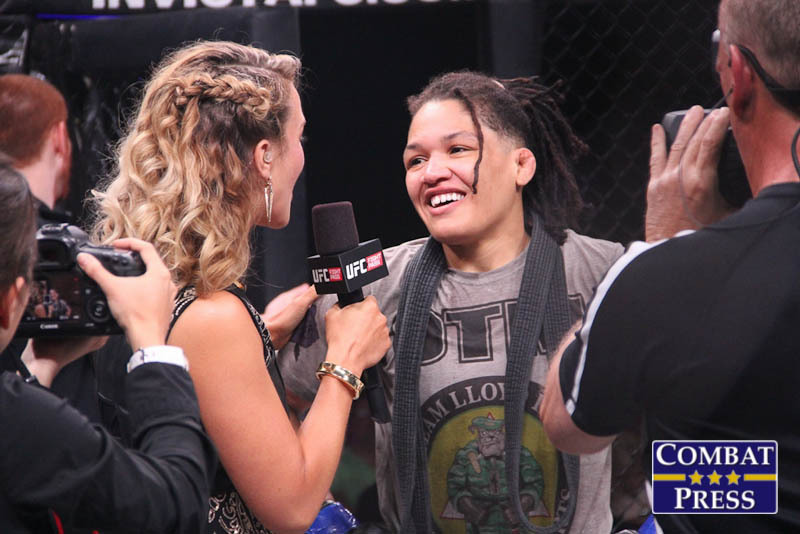 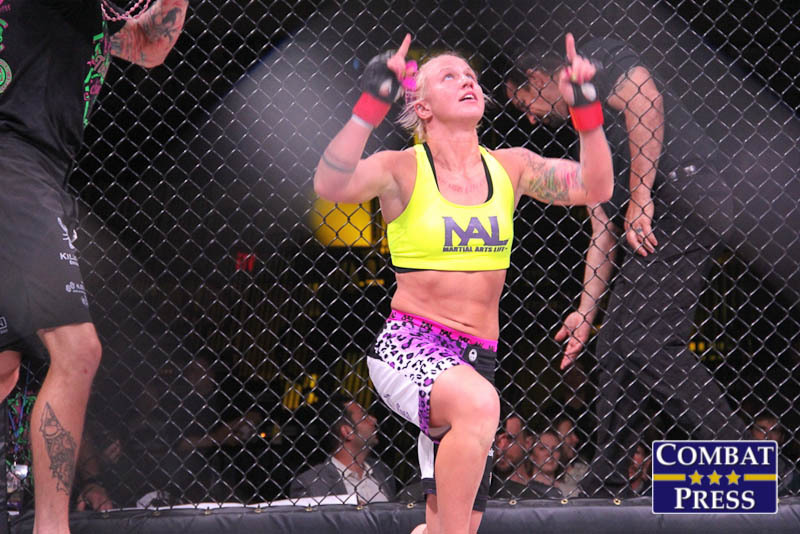 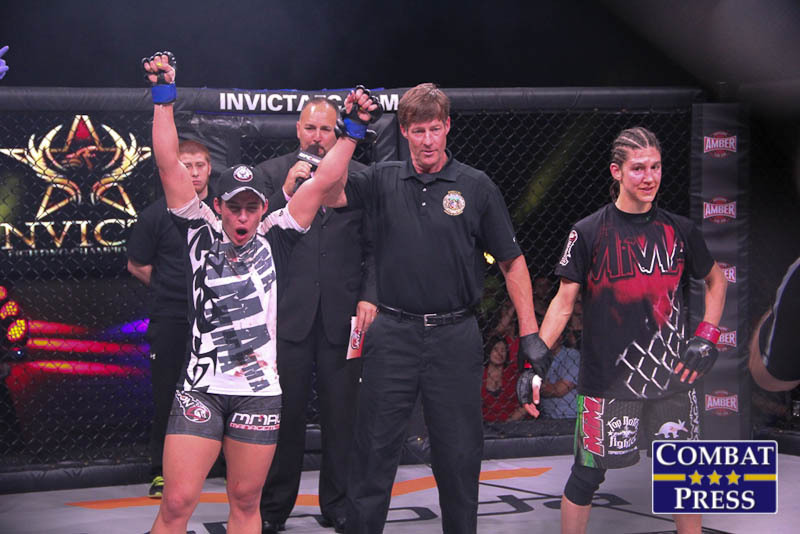 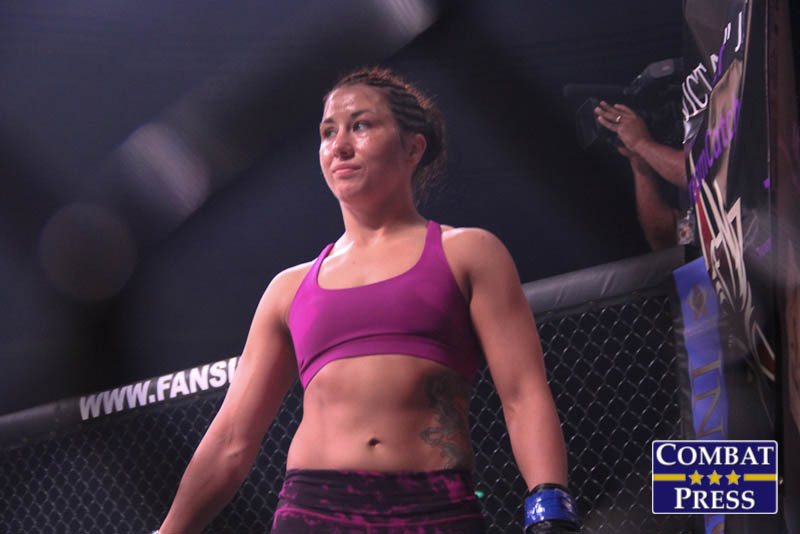 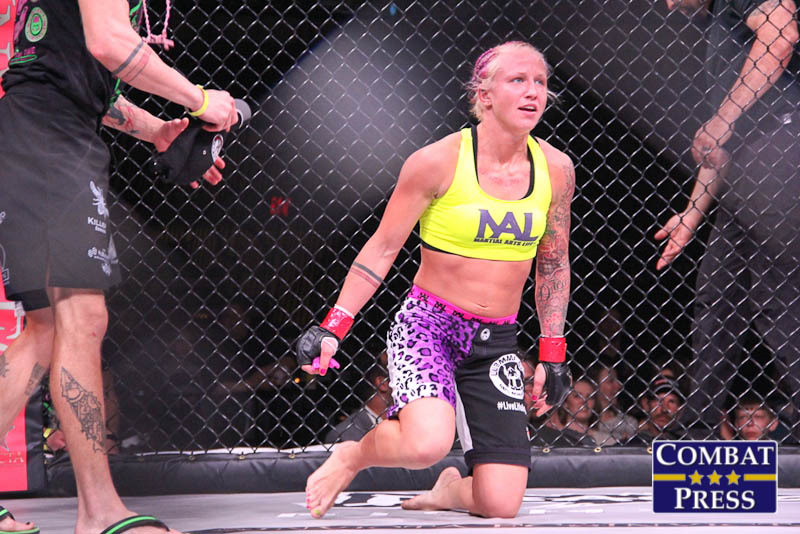 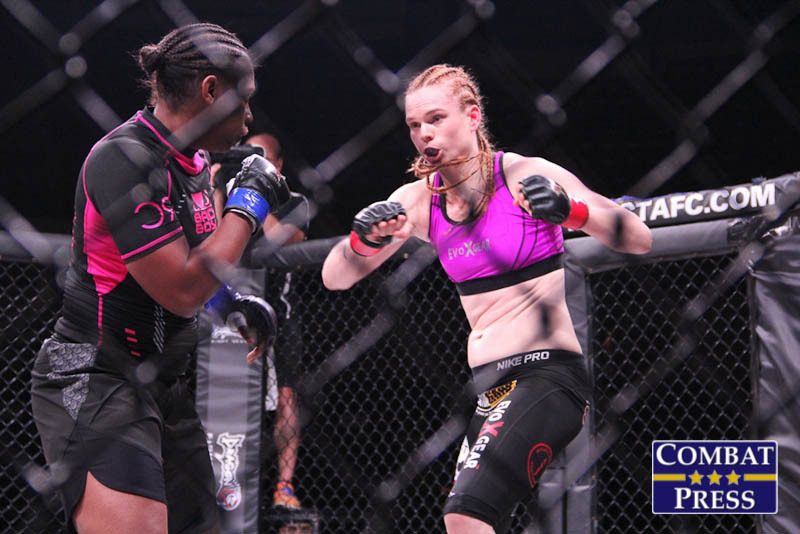 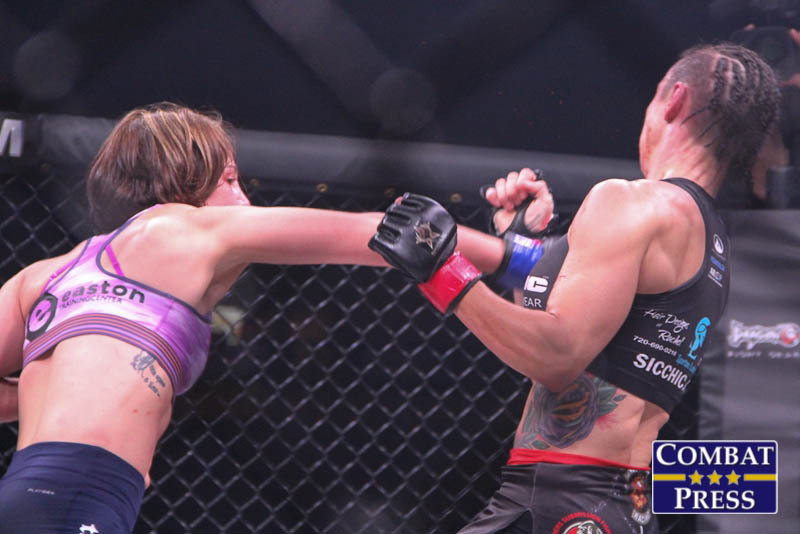 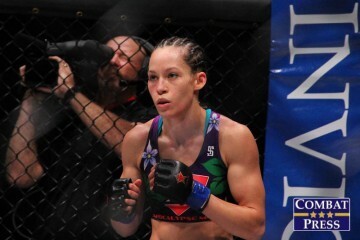 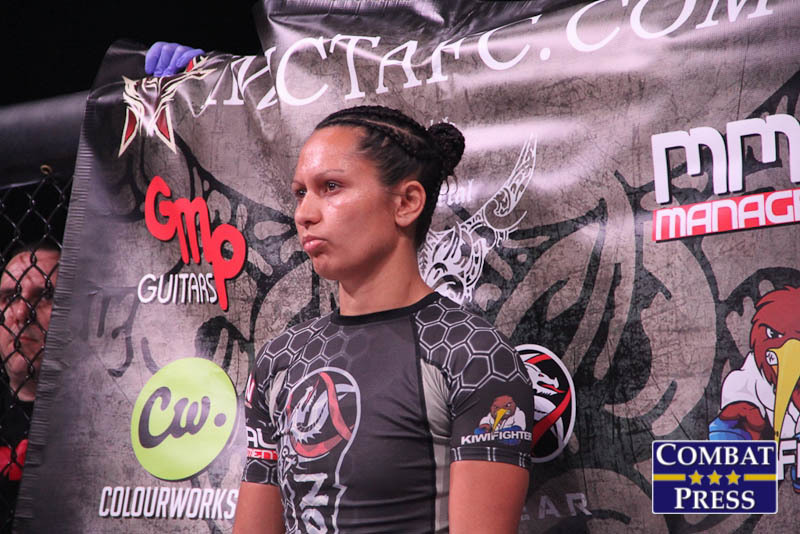 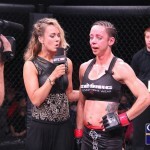 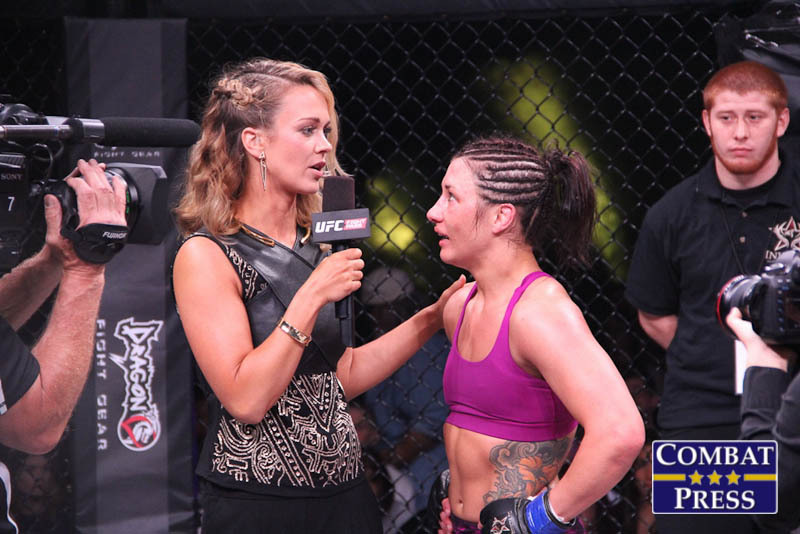 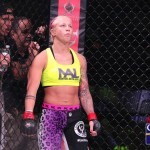 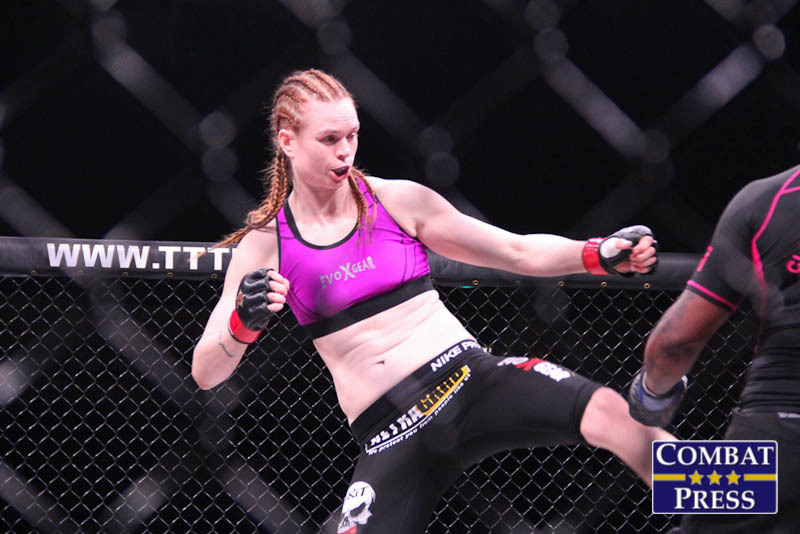 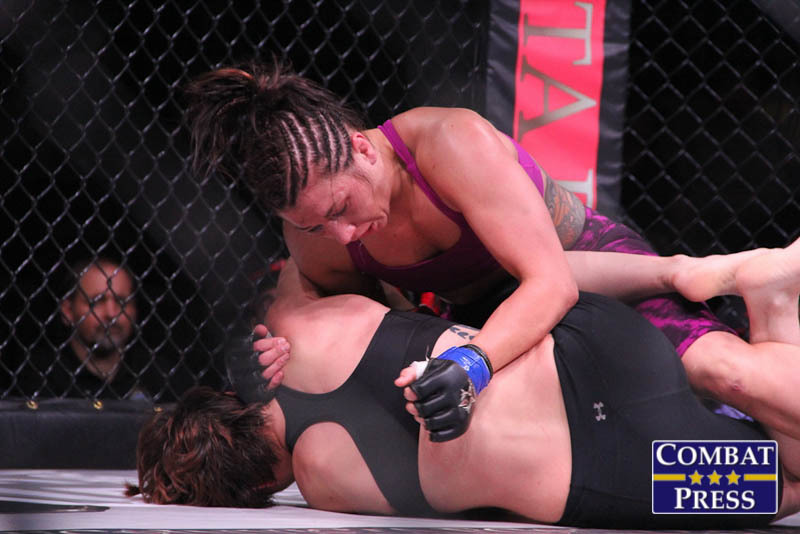 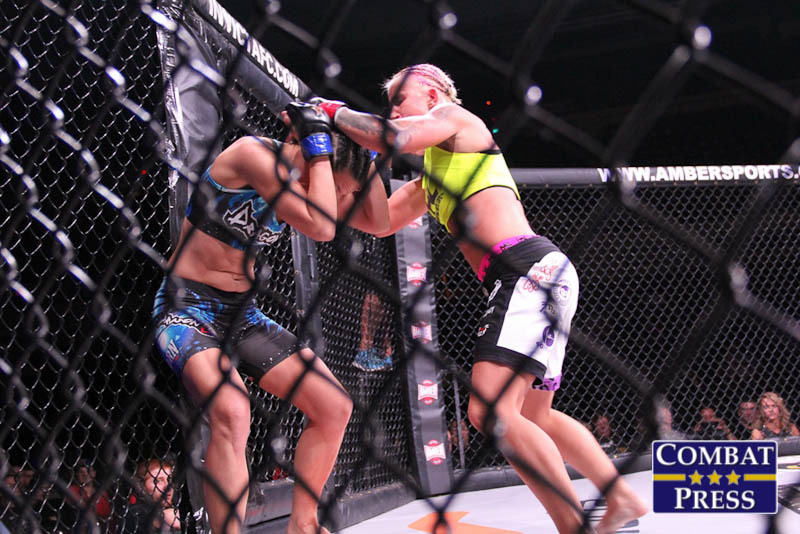 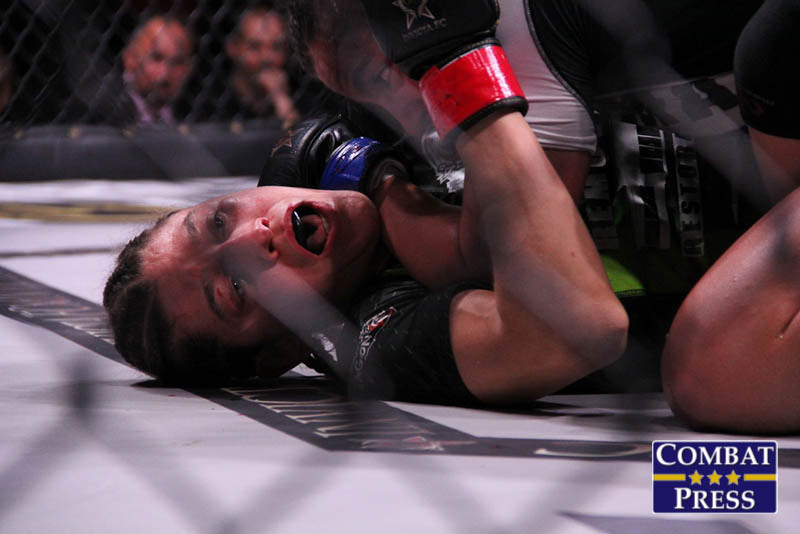 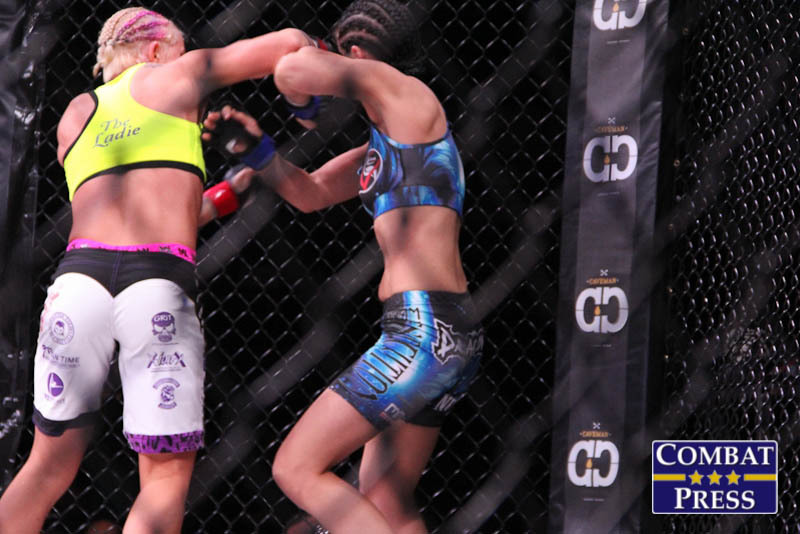 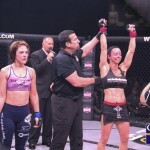 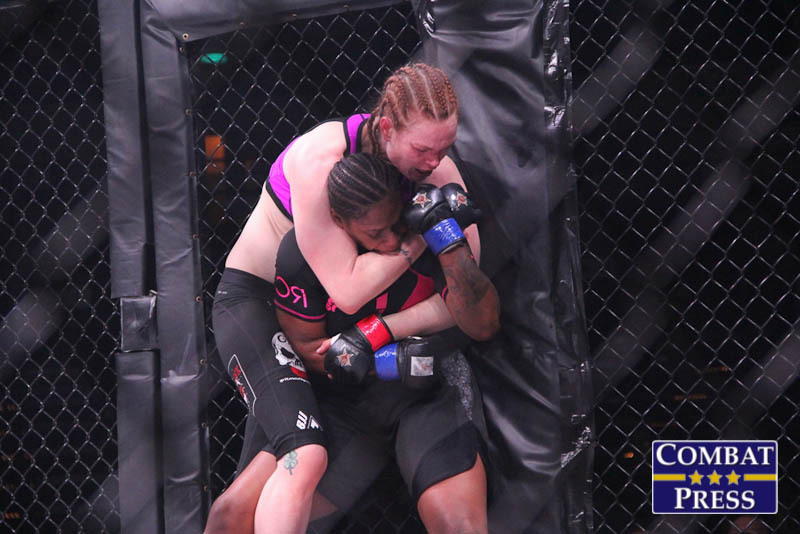 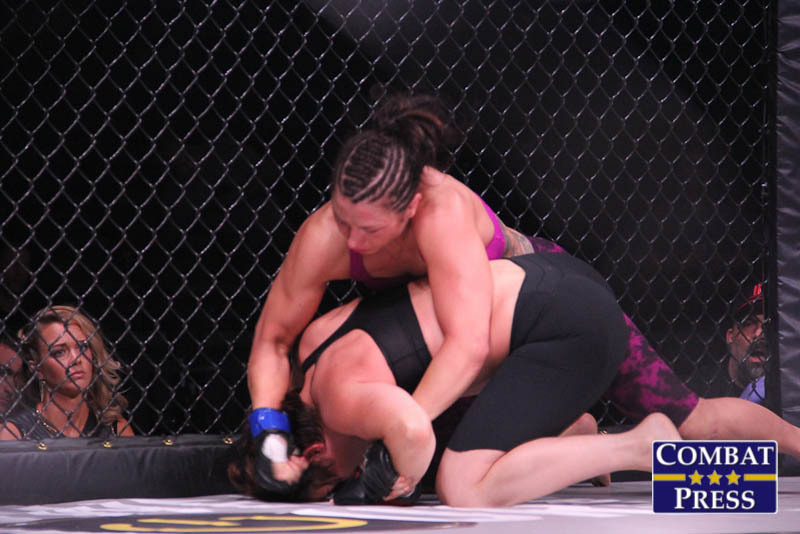 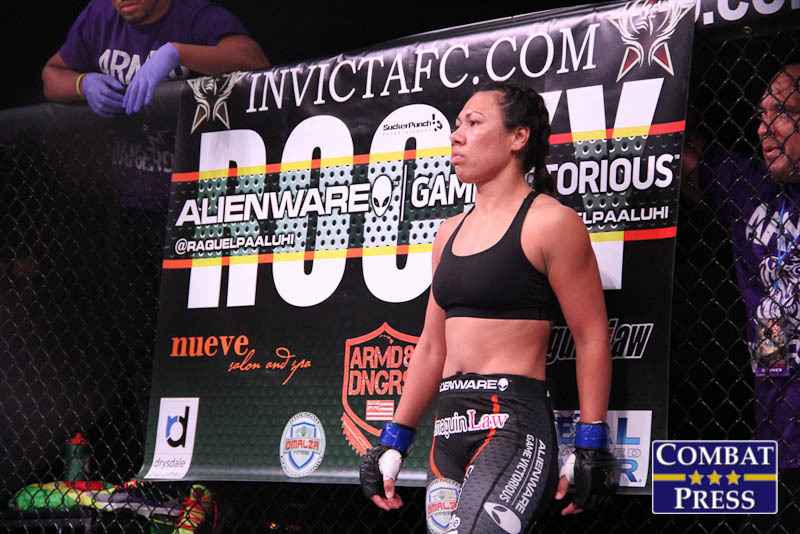 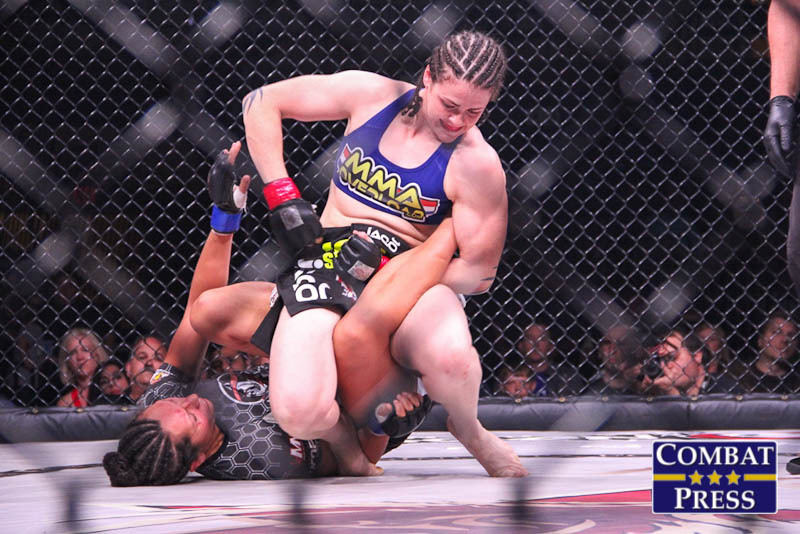 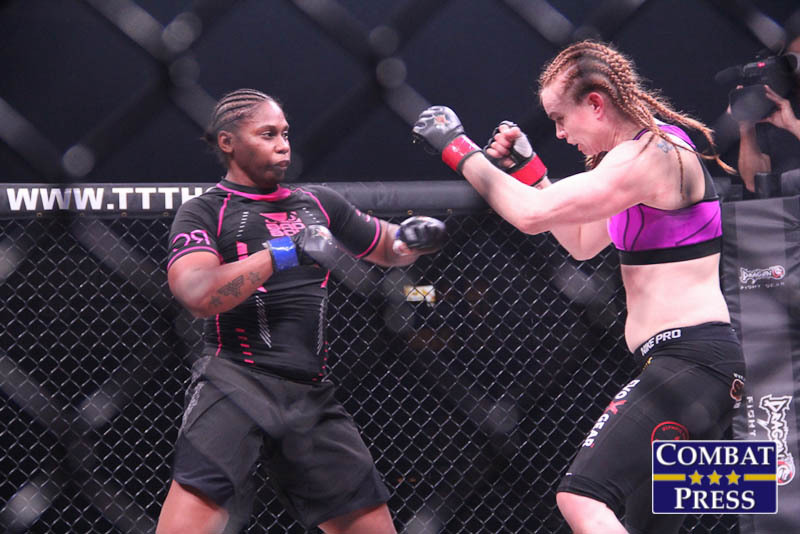 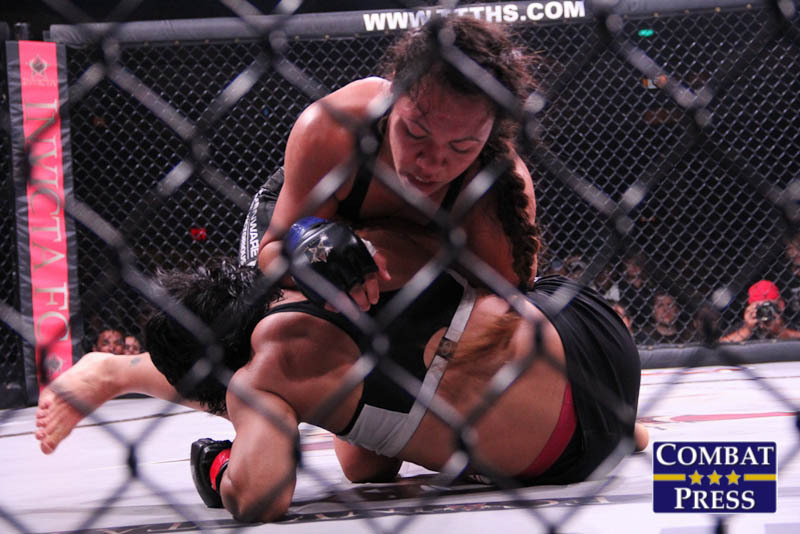 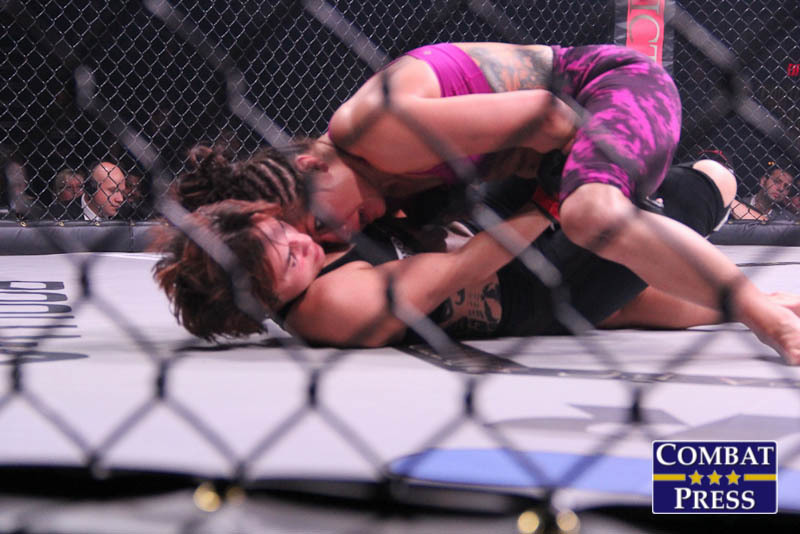 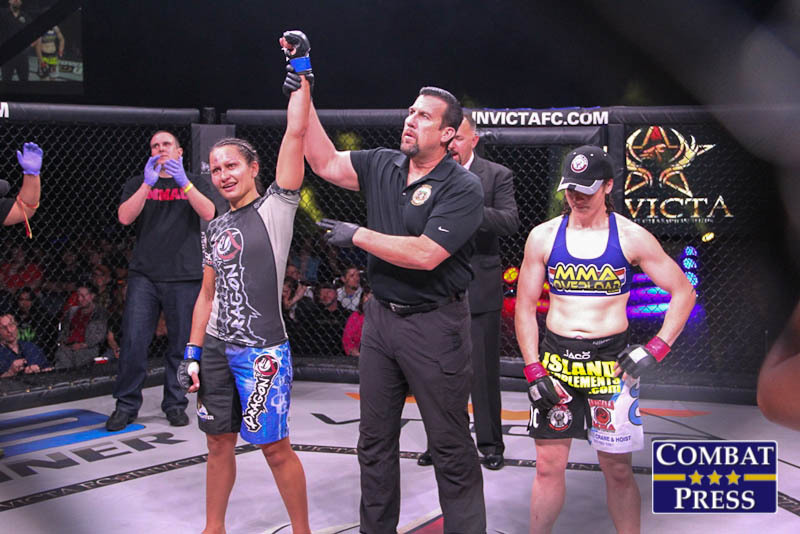 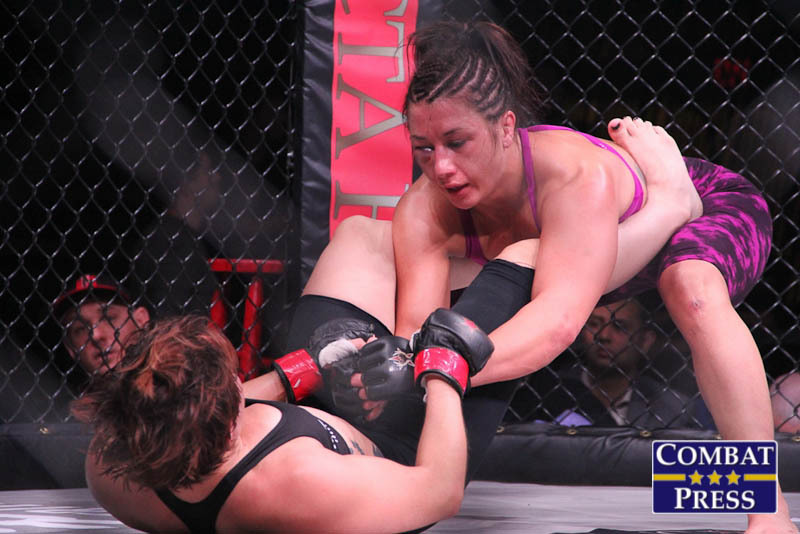 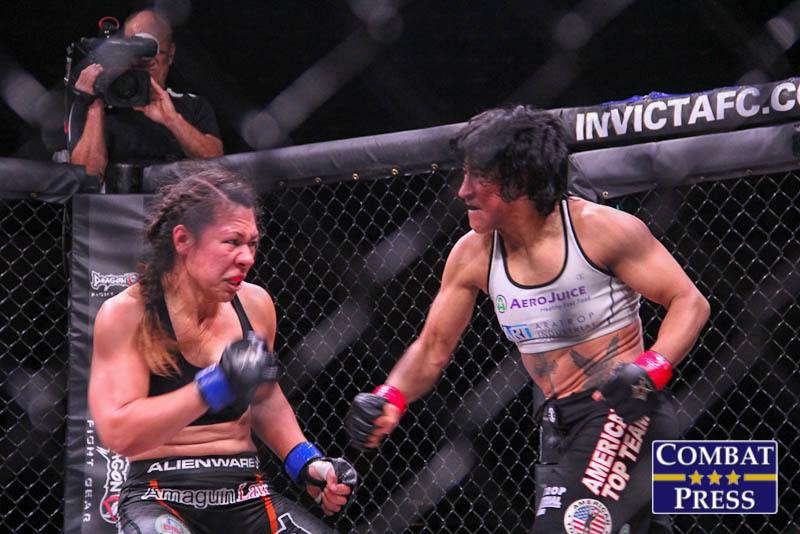 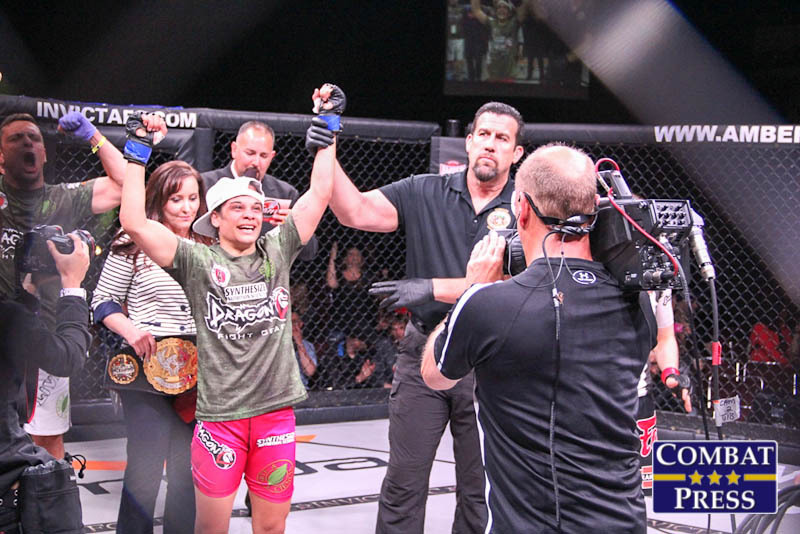 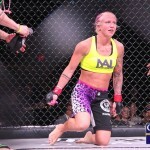 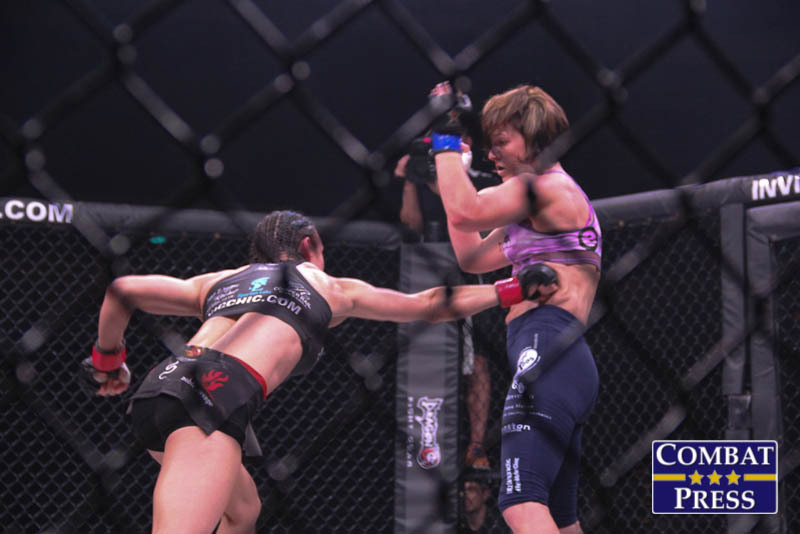 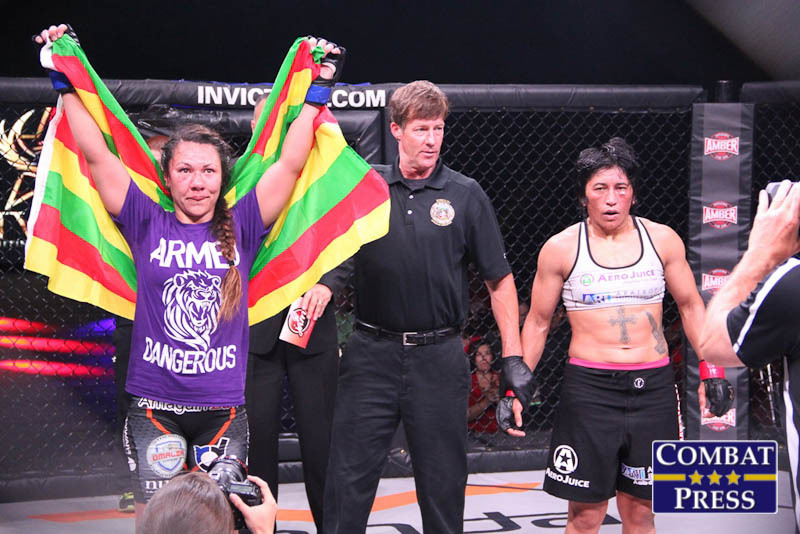 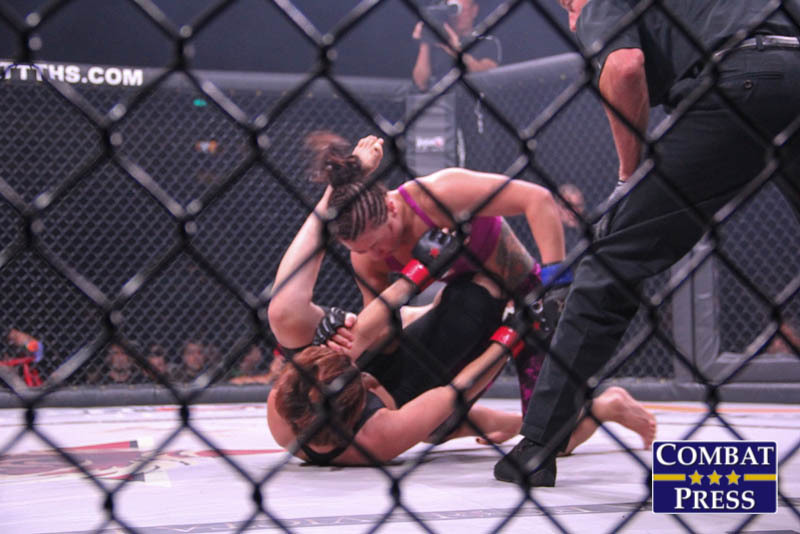 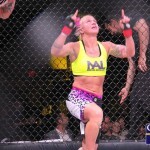 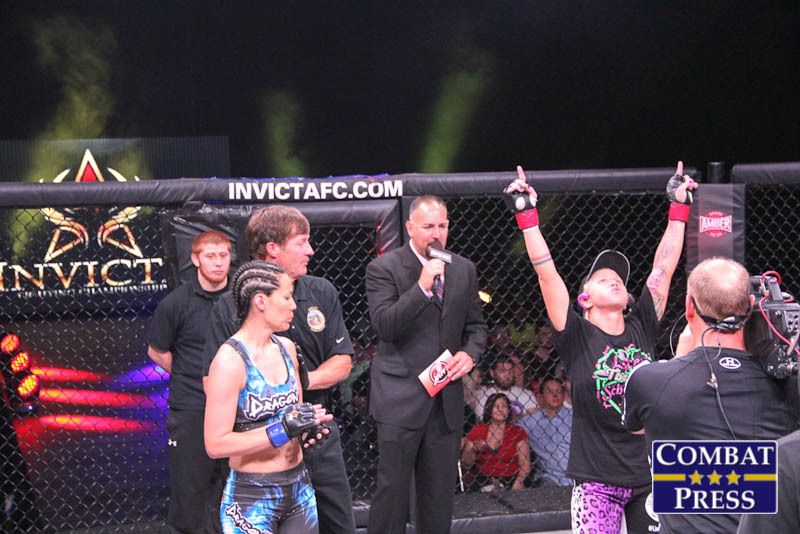 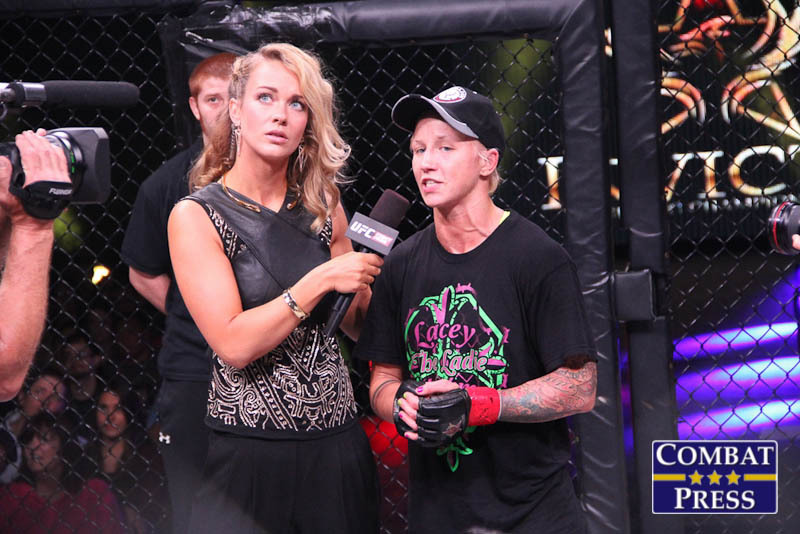 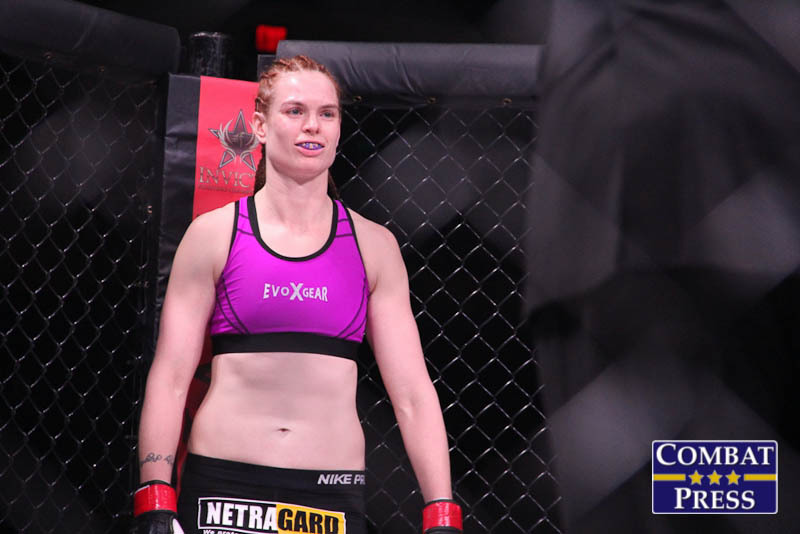 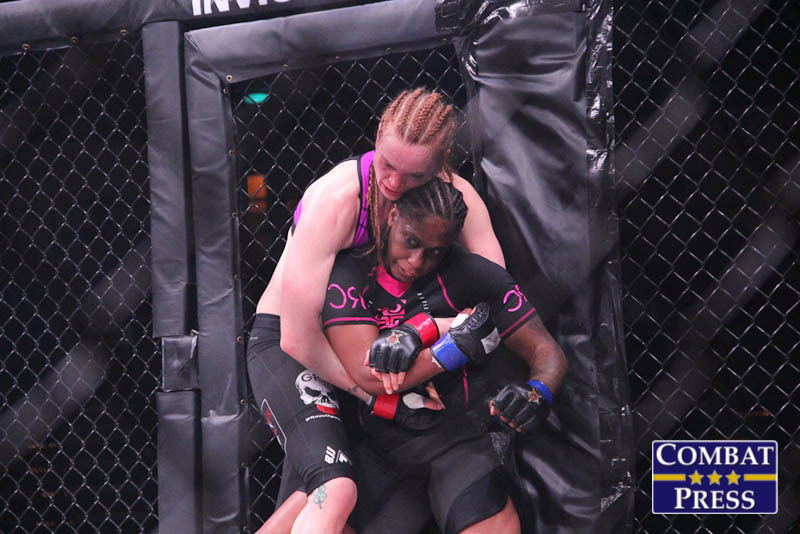 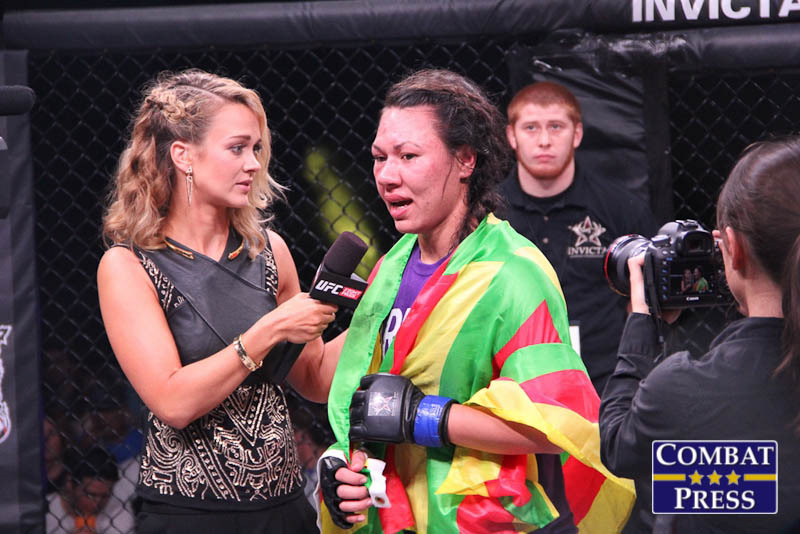 Kankaanpää captured Invicta gold at Invicta FC 8 in September with a fifth-round submission win over Stephanie Eggink. 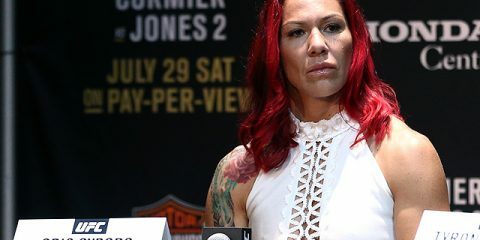 The 33-year-old had amassed 10 wins in her 12 career fights and will look to defend her 115-pound belt for the first time. 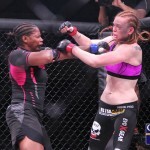 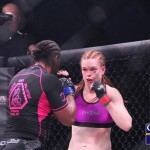 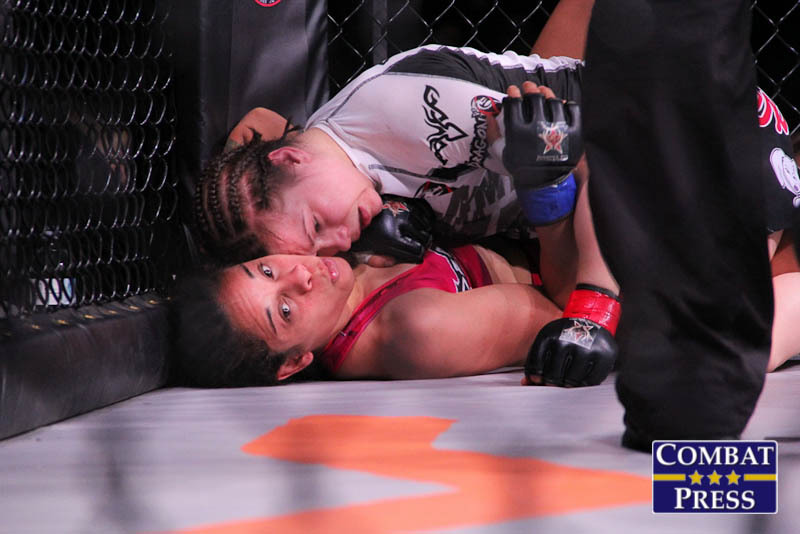 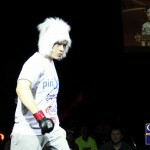 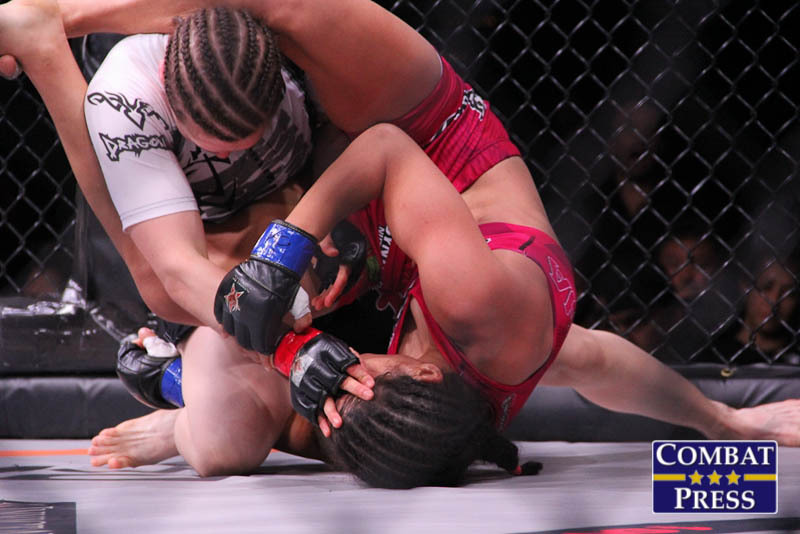 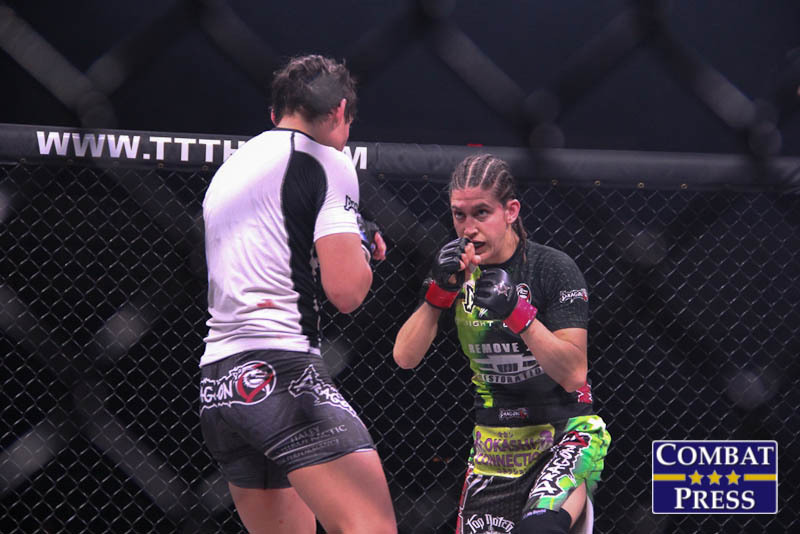 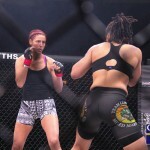 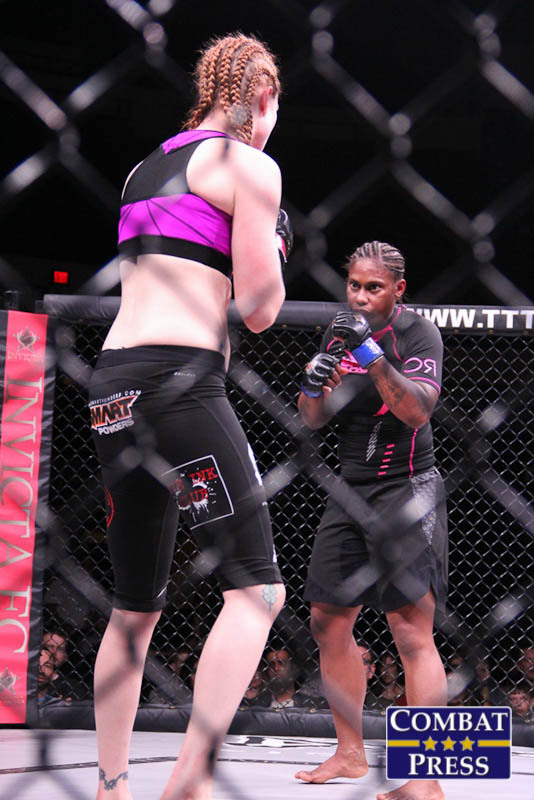 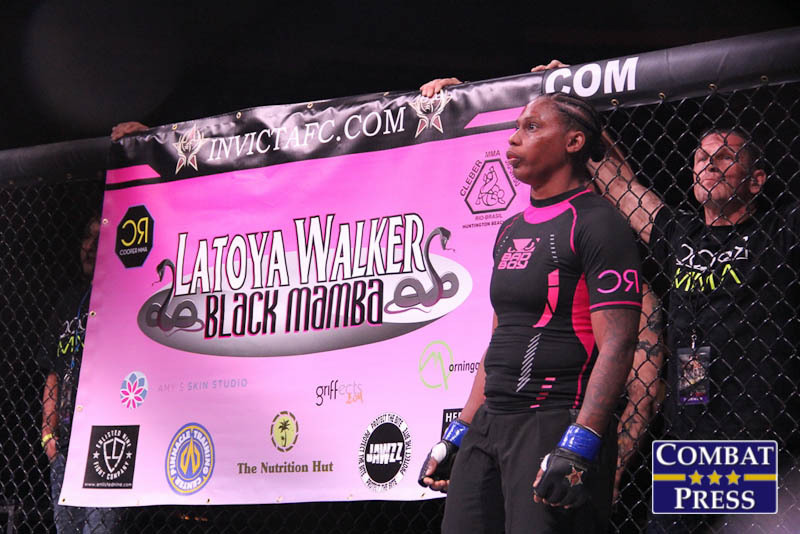 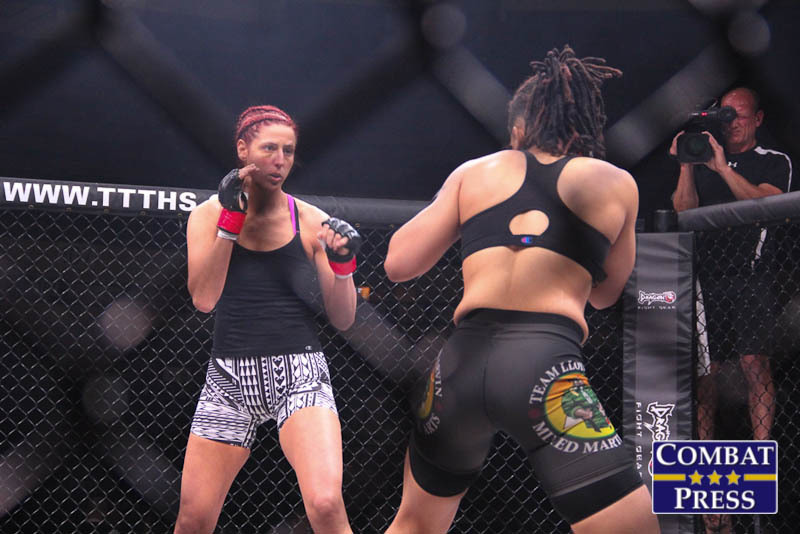 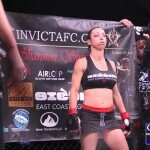 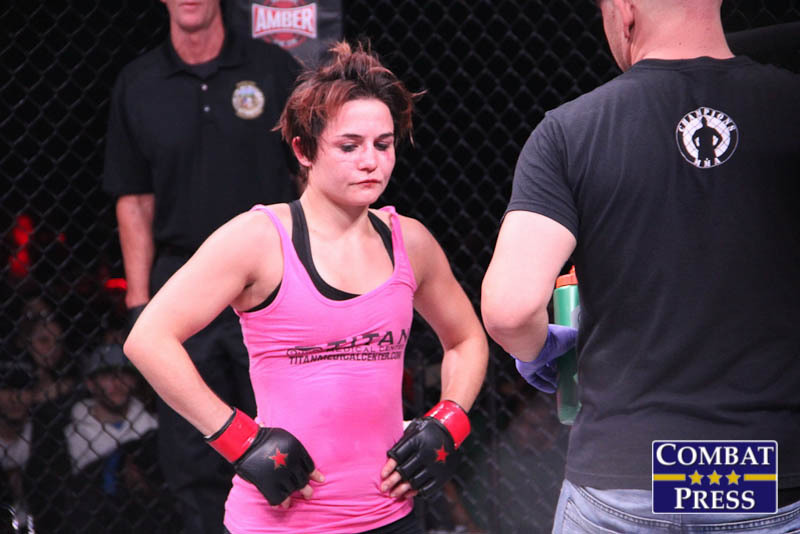 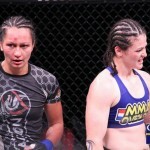 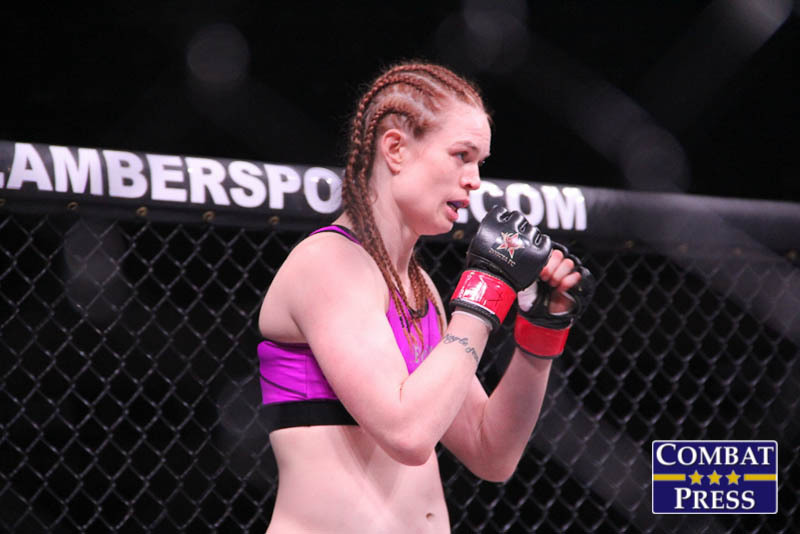 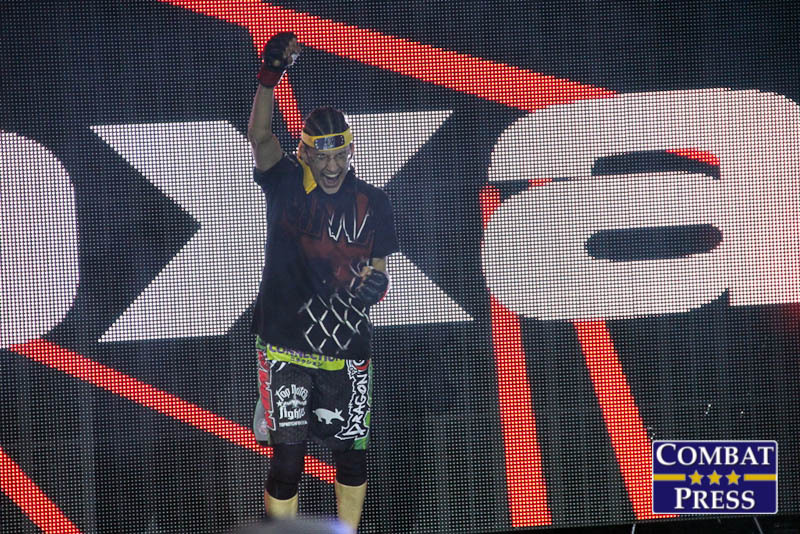 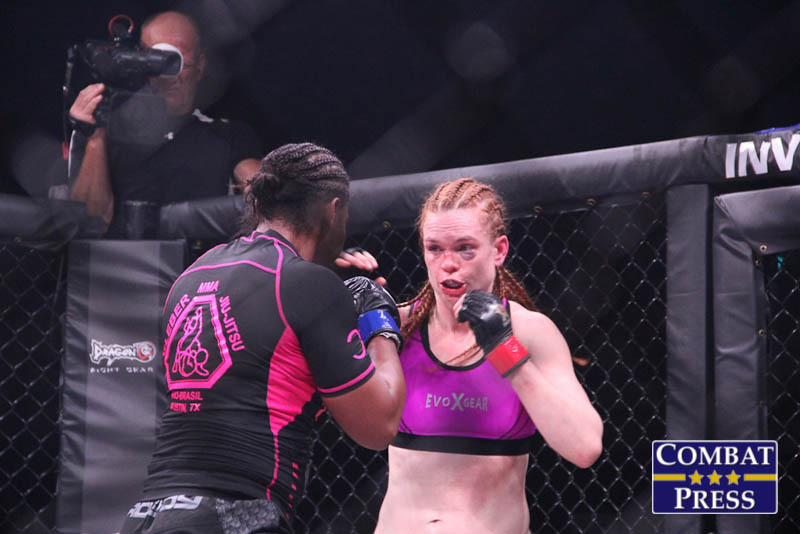 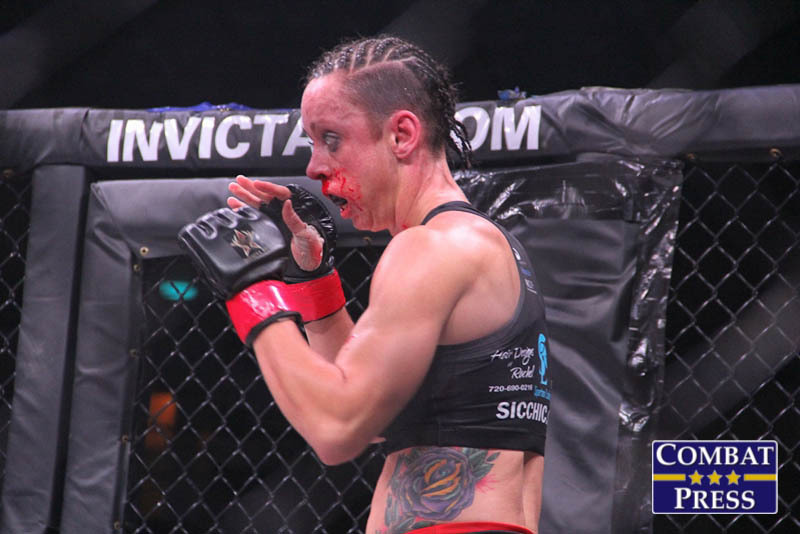 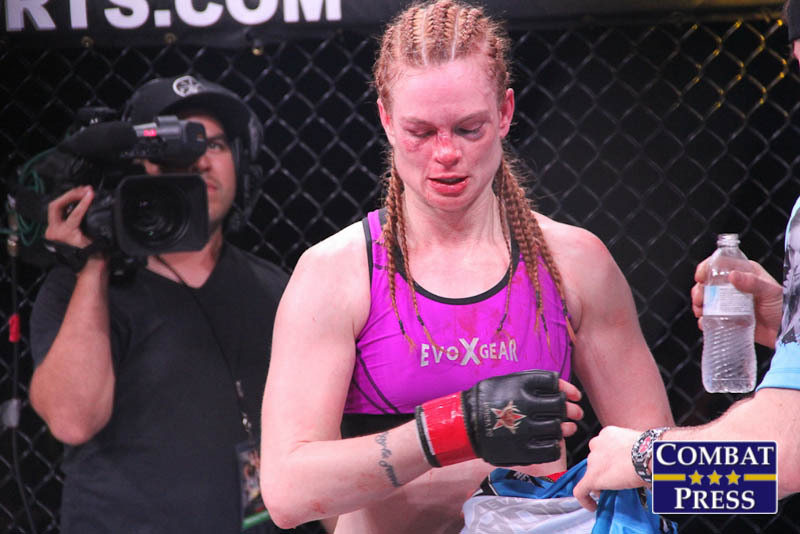 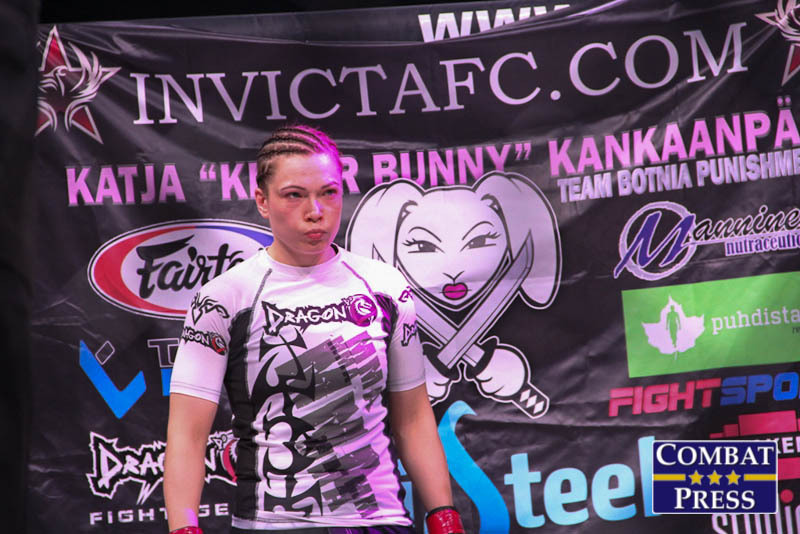 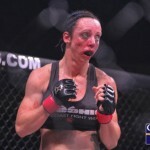 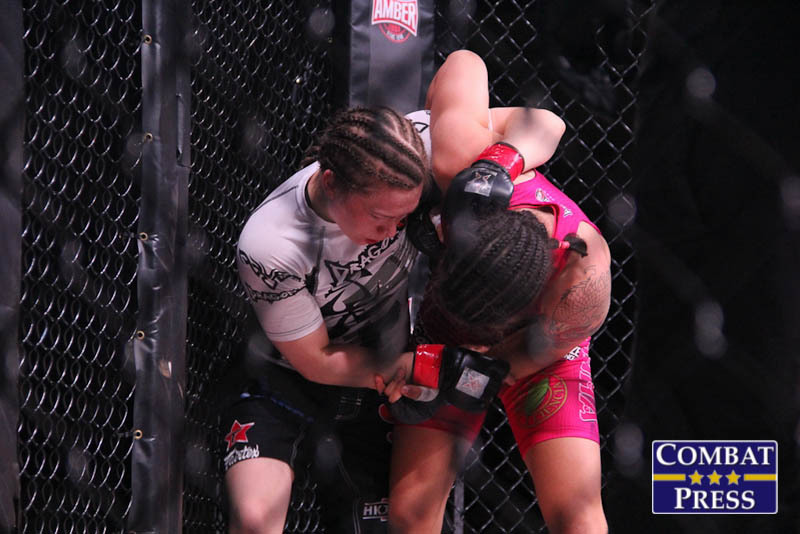 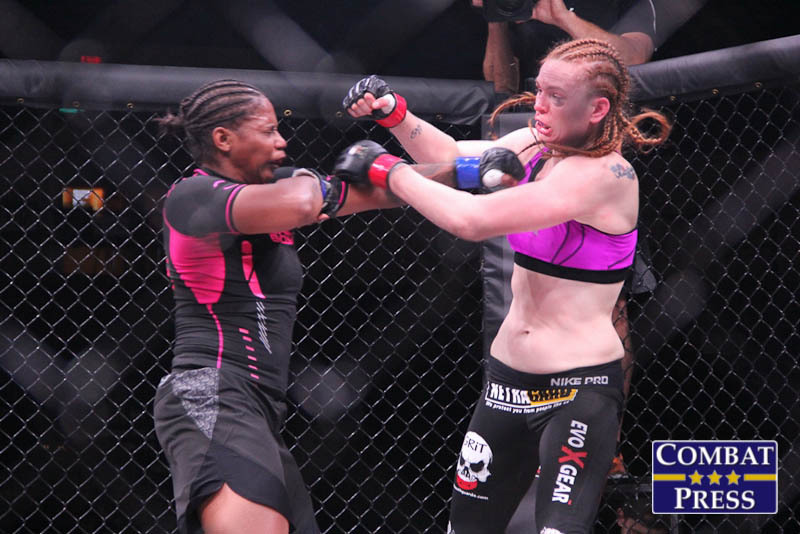 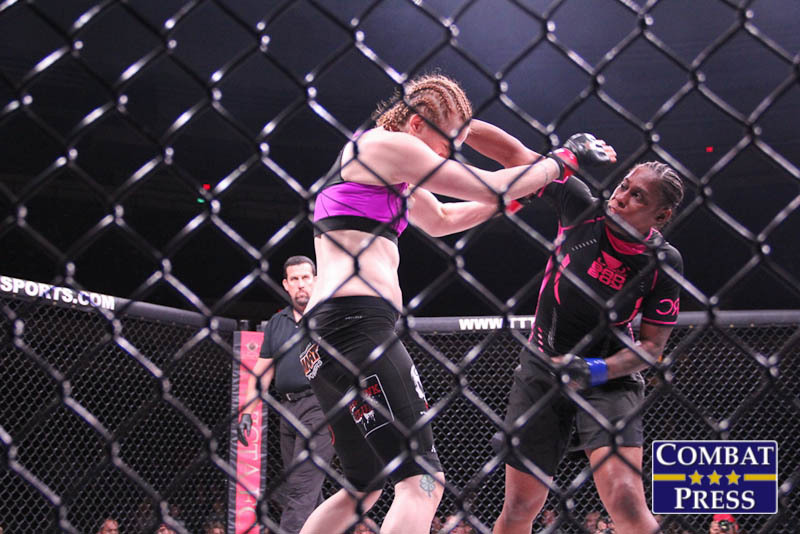 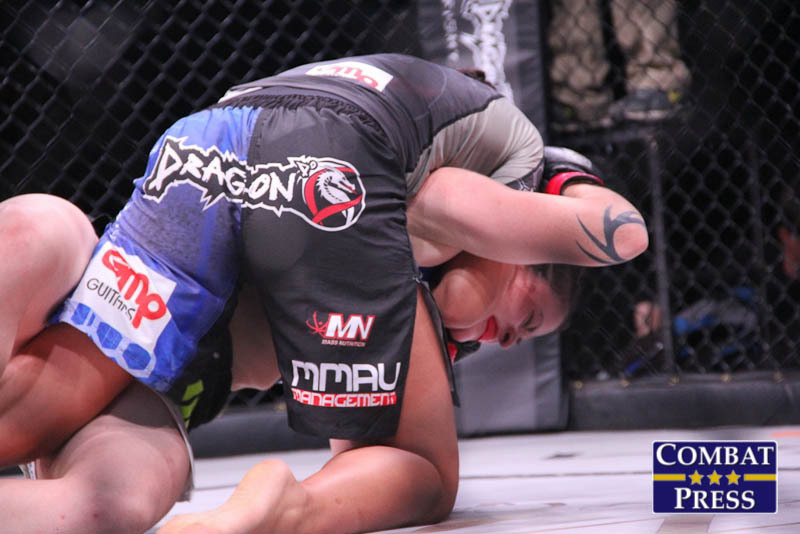 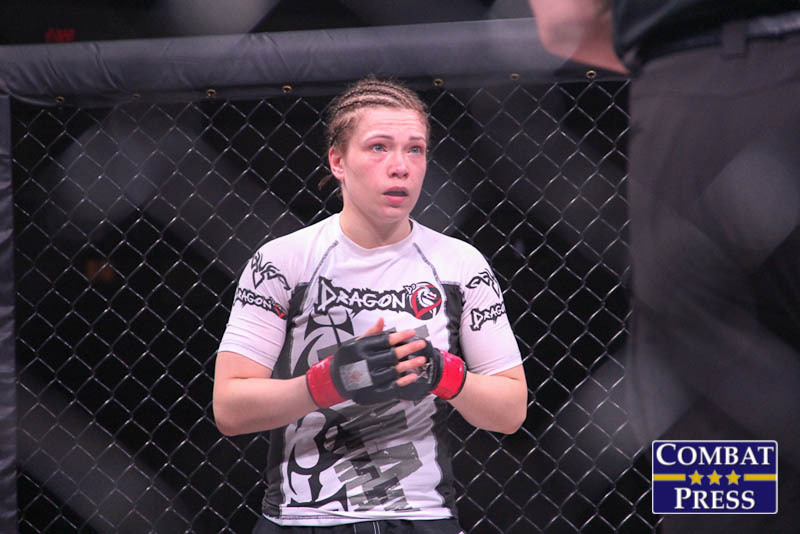 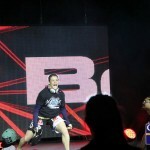 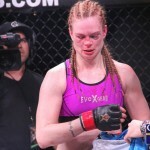 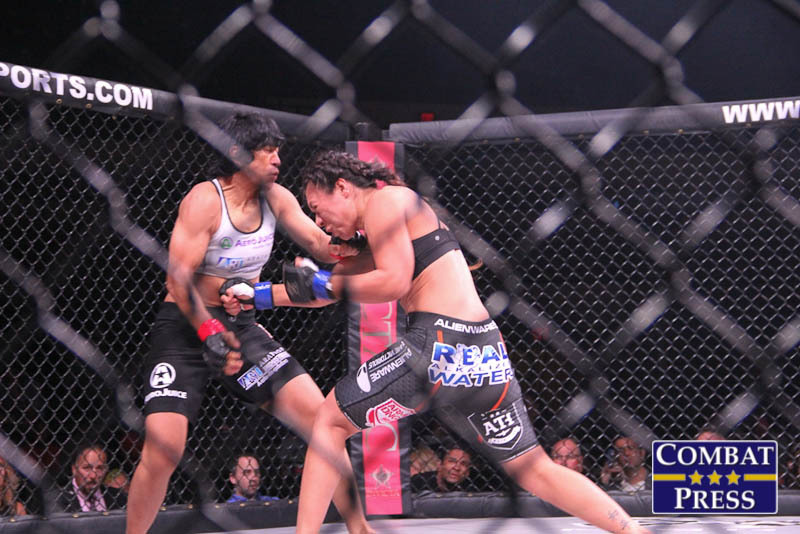 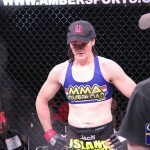 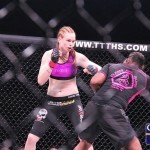 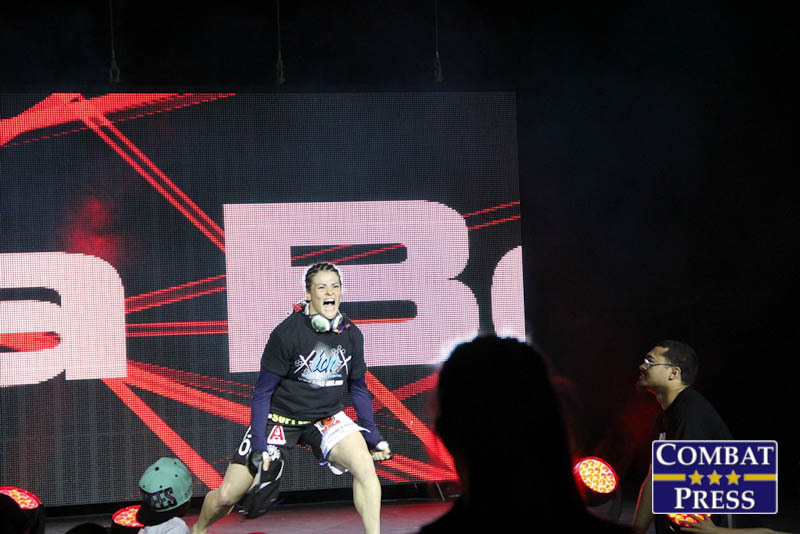 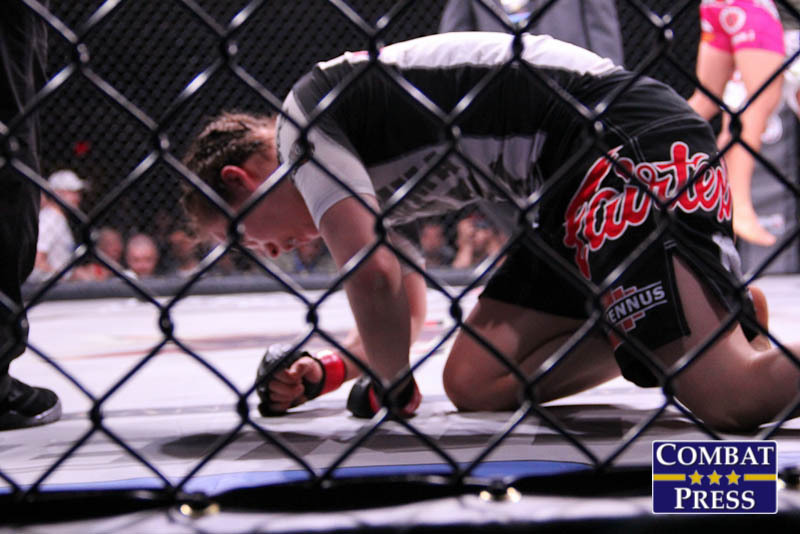 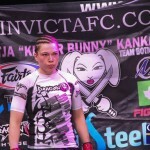 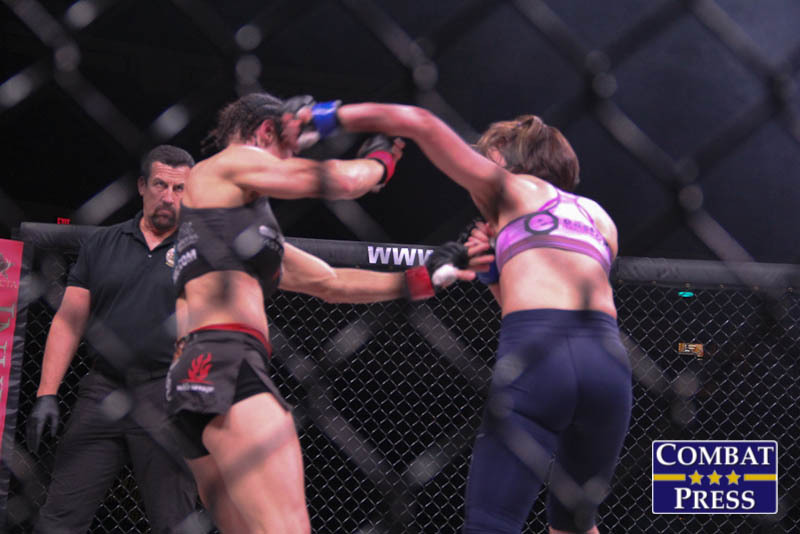 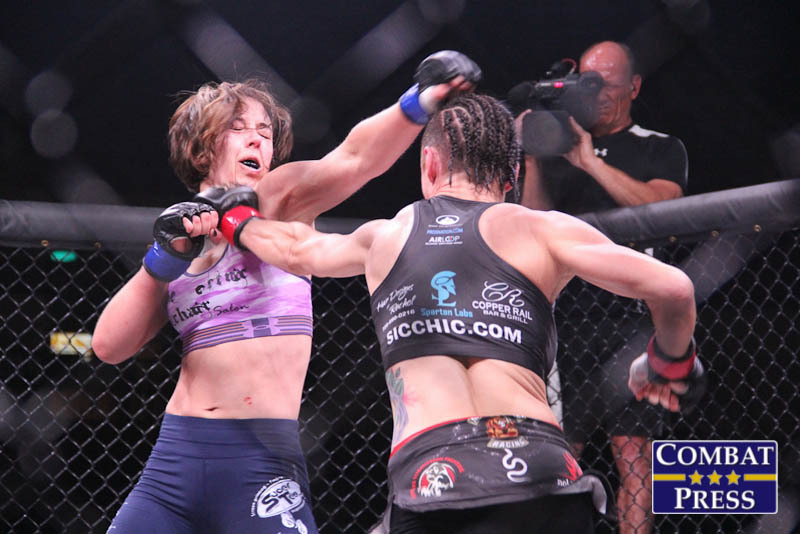 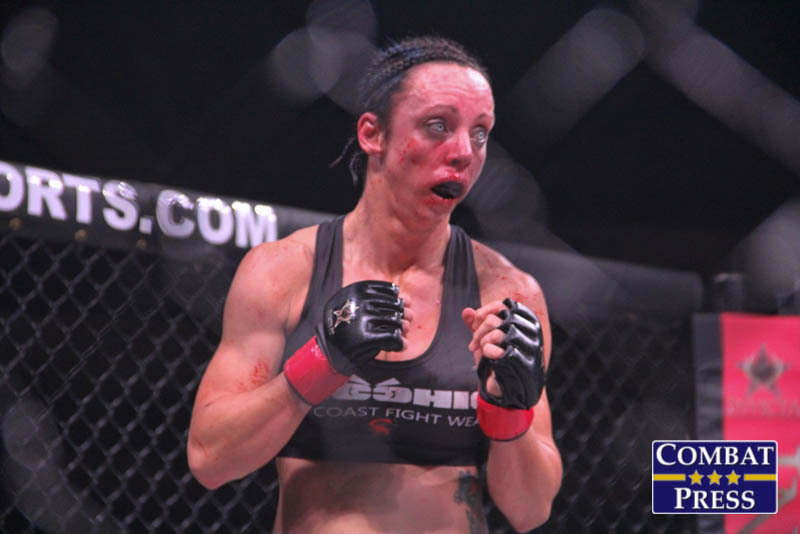 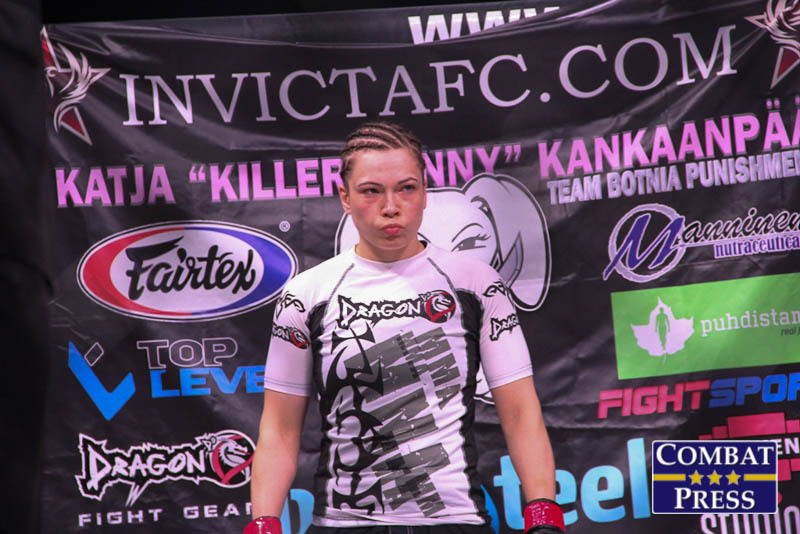 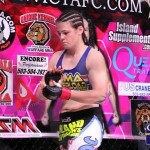 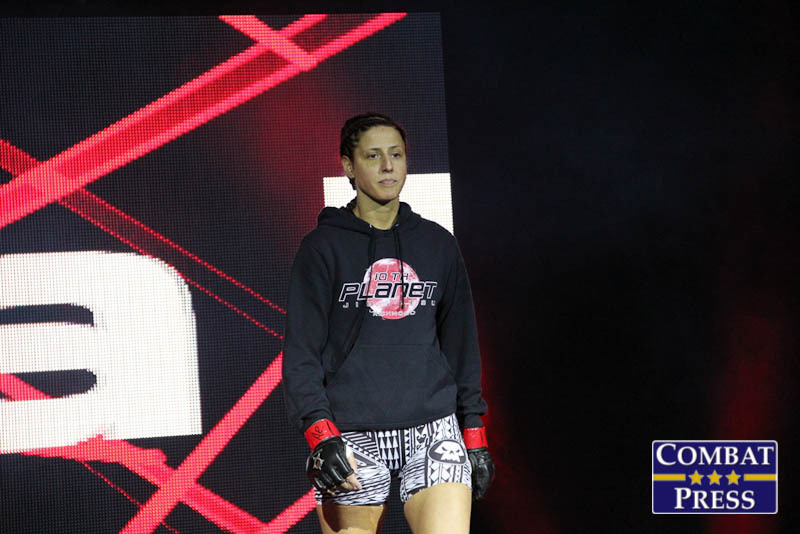 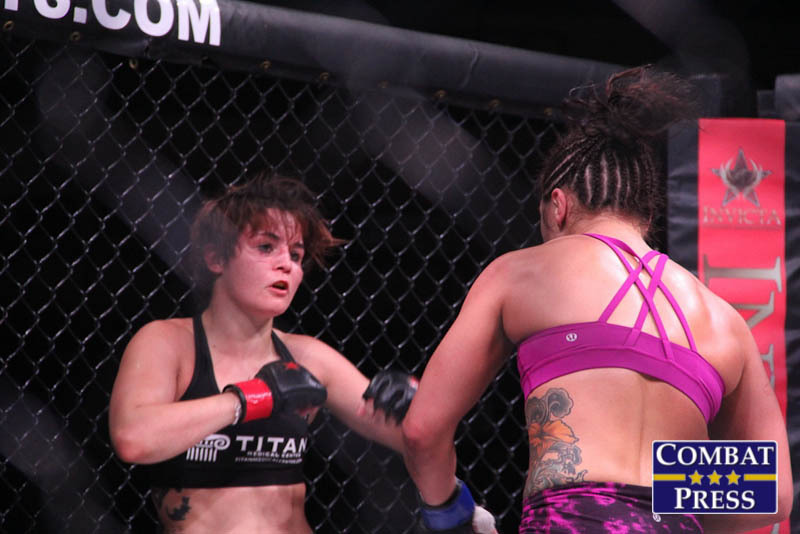 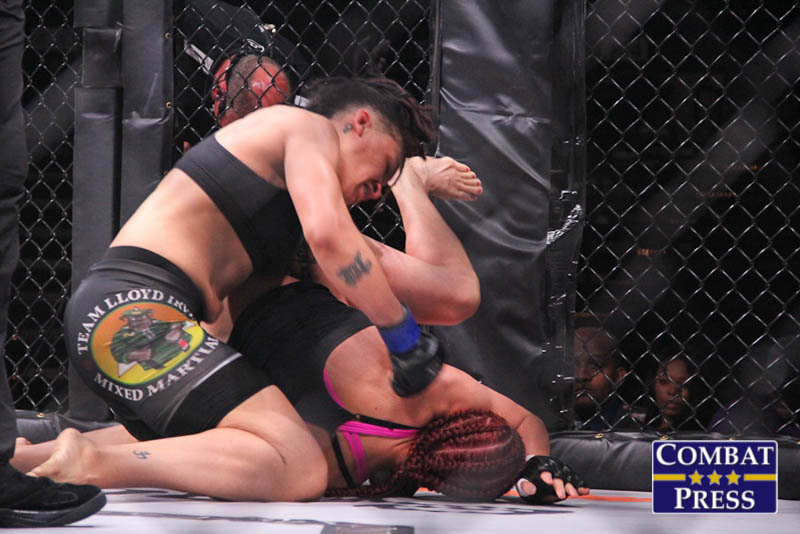 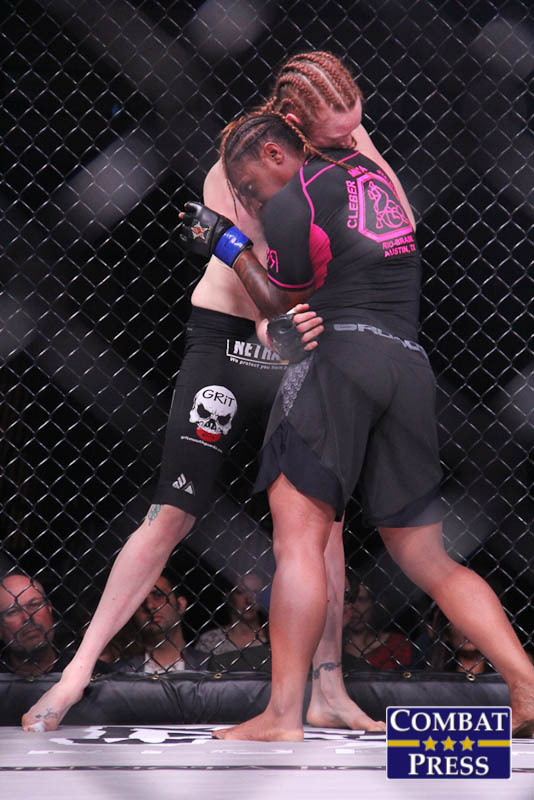 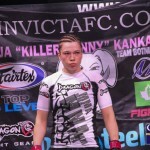 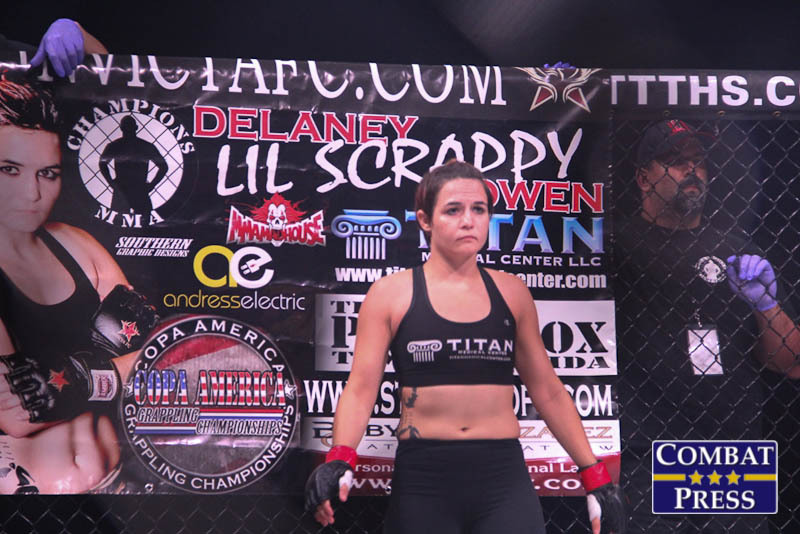 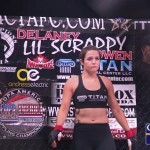 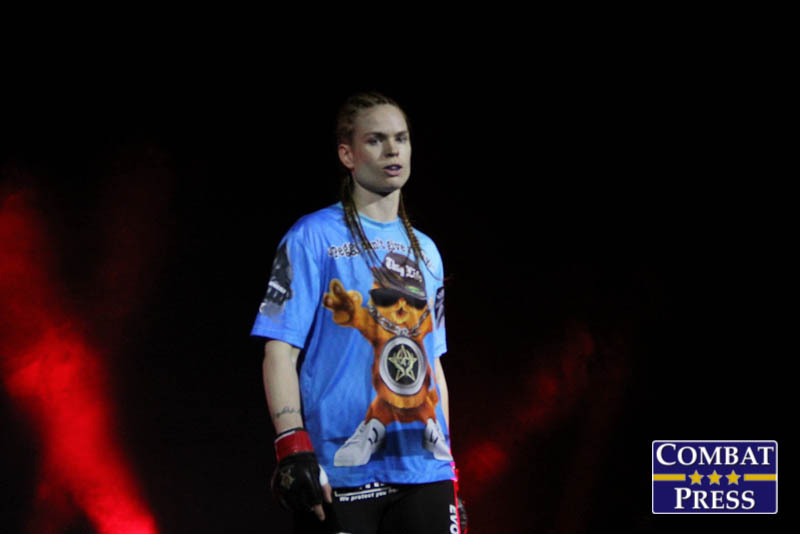 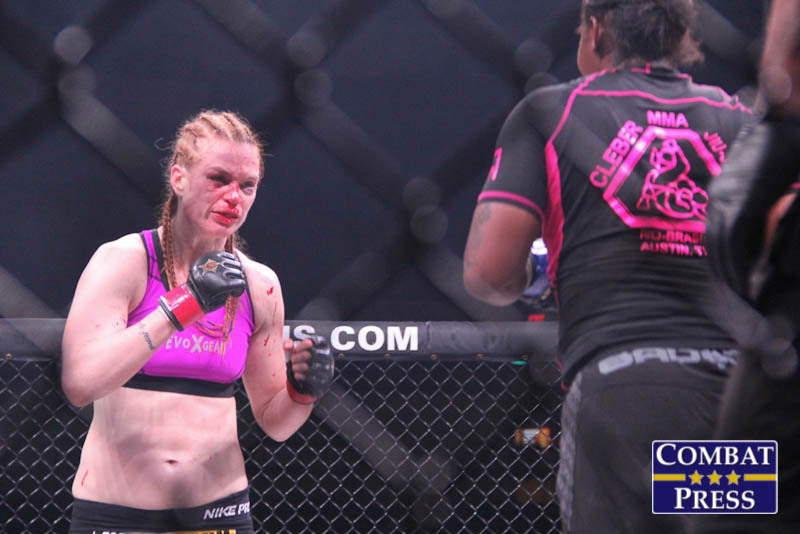 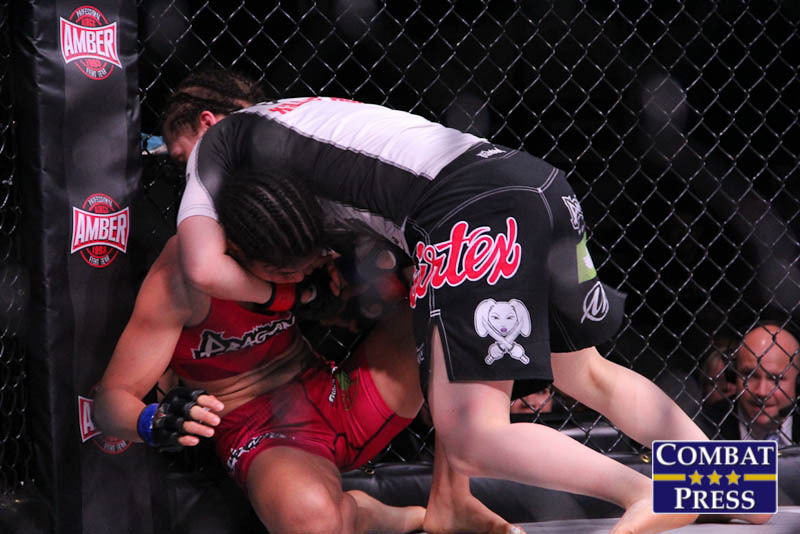 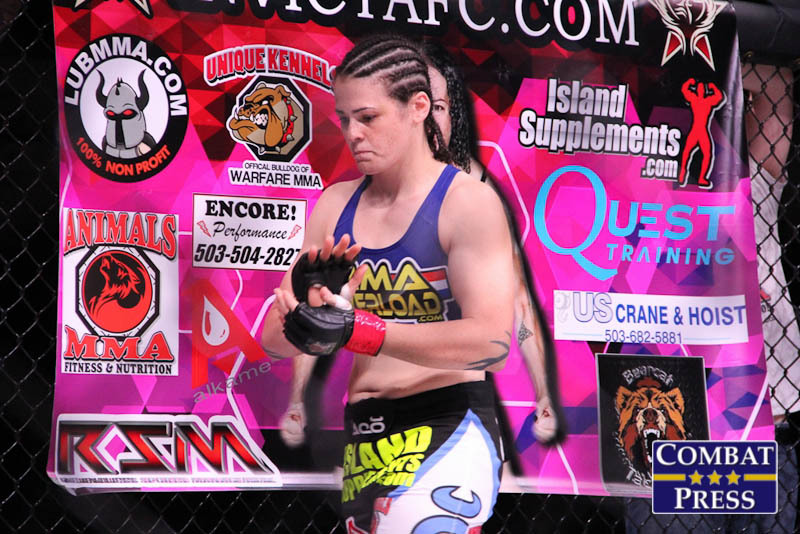 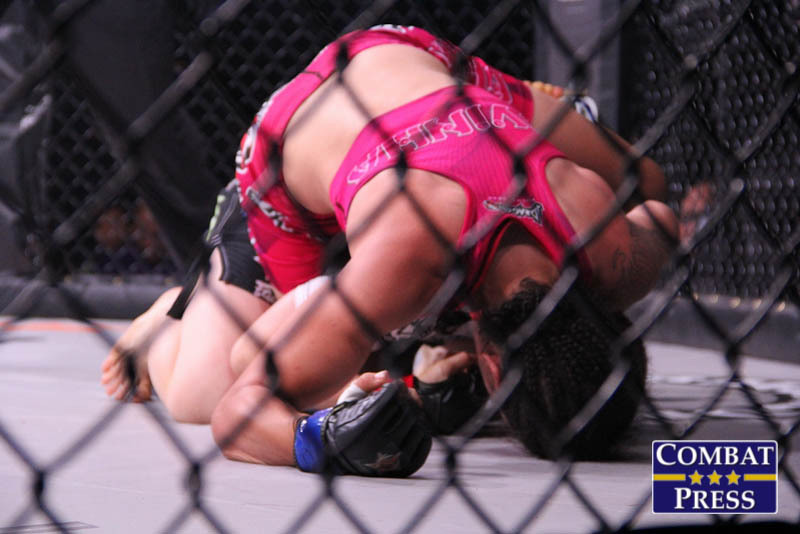 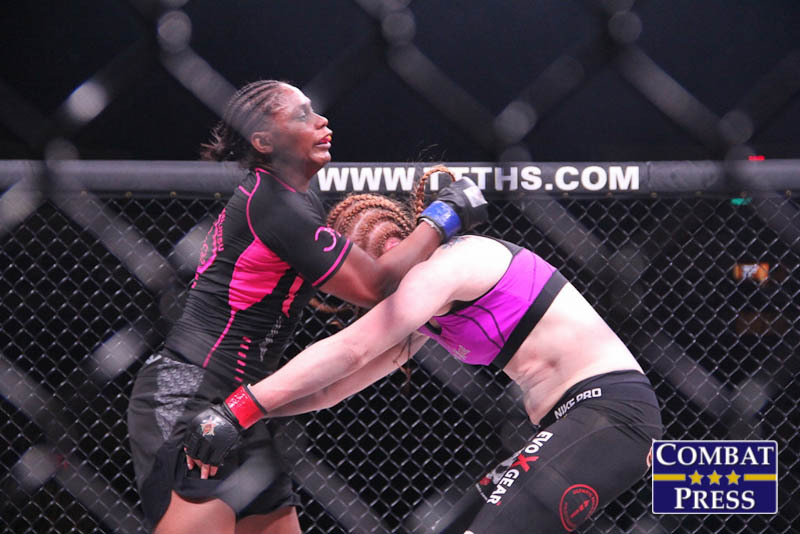 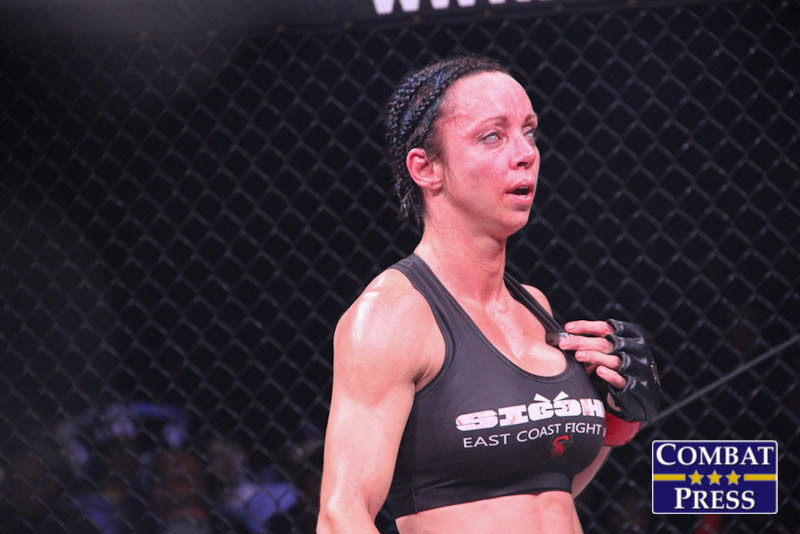 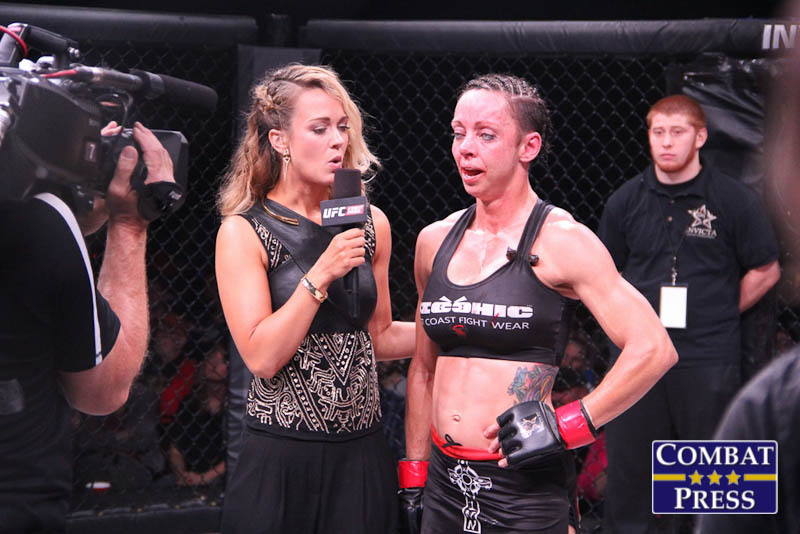 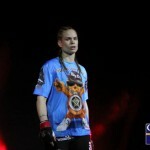 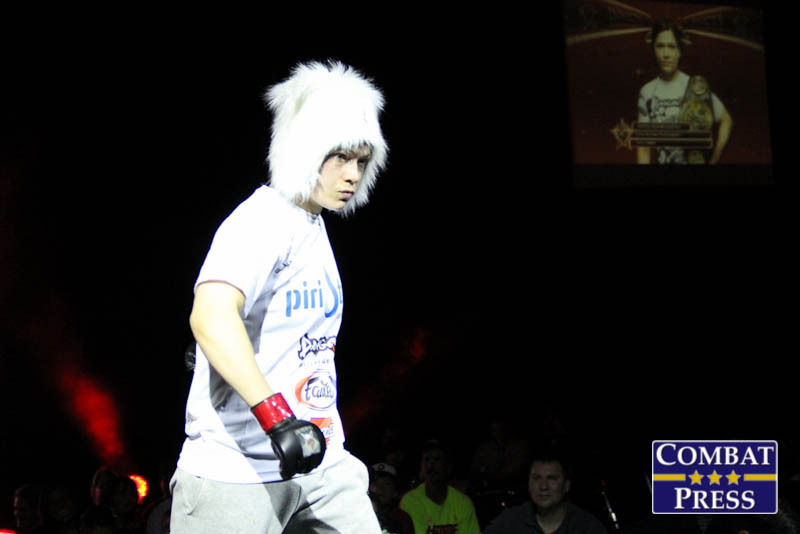 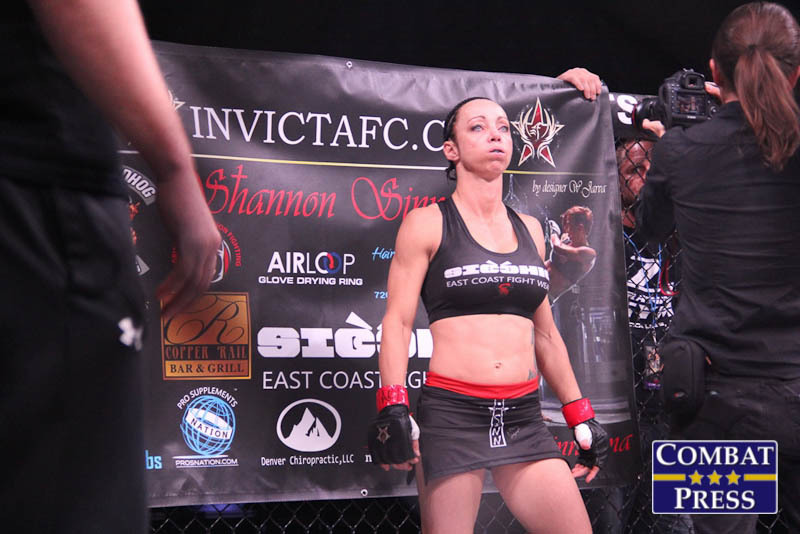 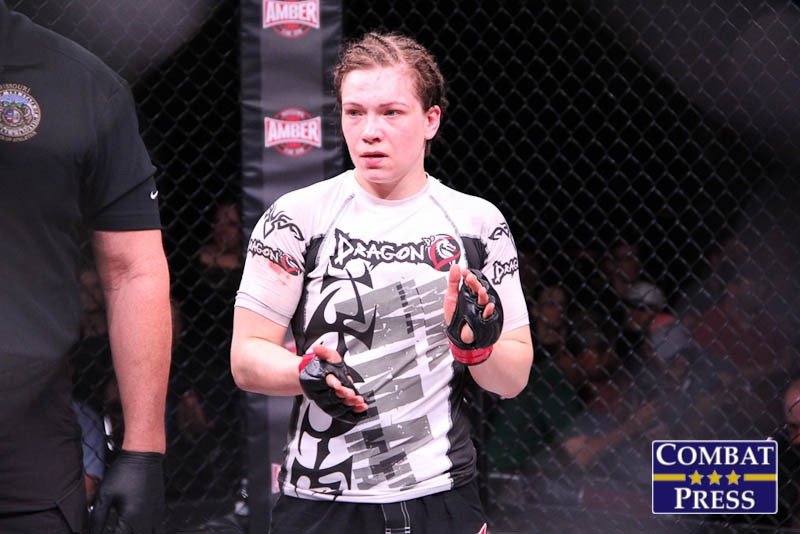 The “Killer Bunny” had tasted defeat just once, against current UFC fighter Joanne Calderwood at Invicta FC 7. 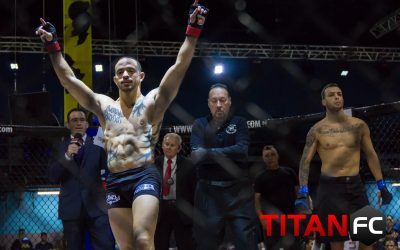 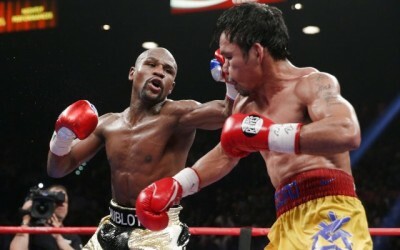 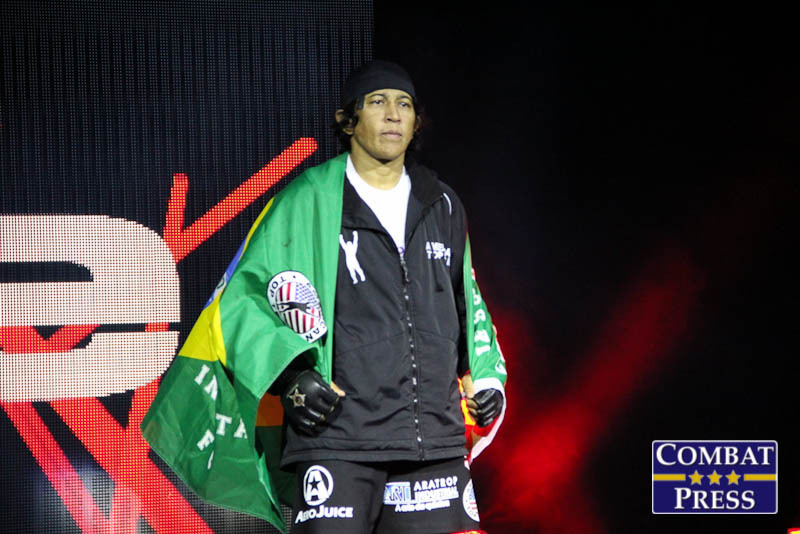 The Brazilian Souza entered the contest with an unblemished, 7-0 record. 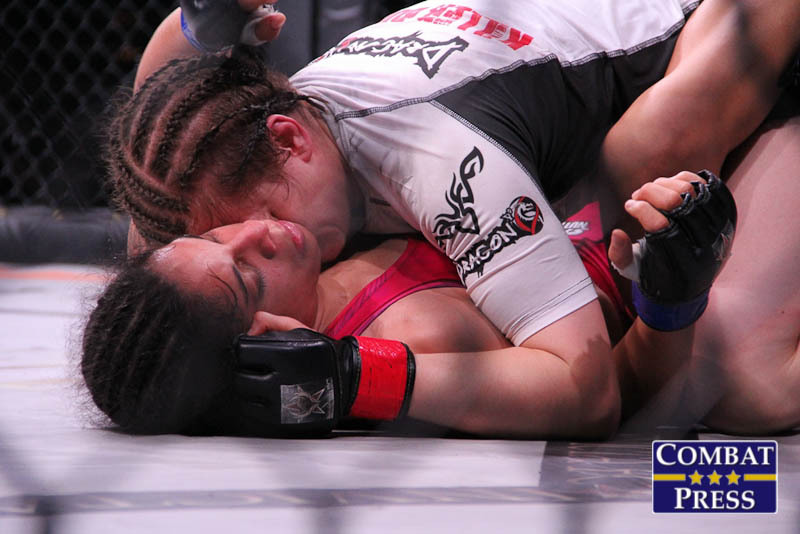 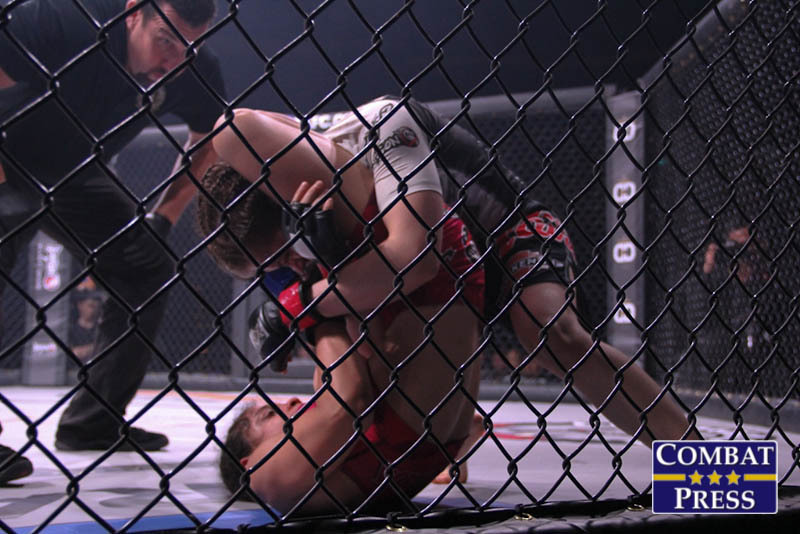 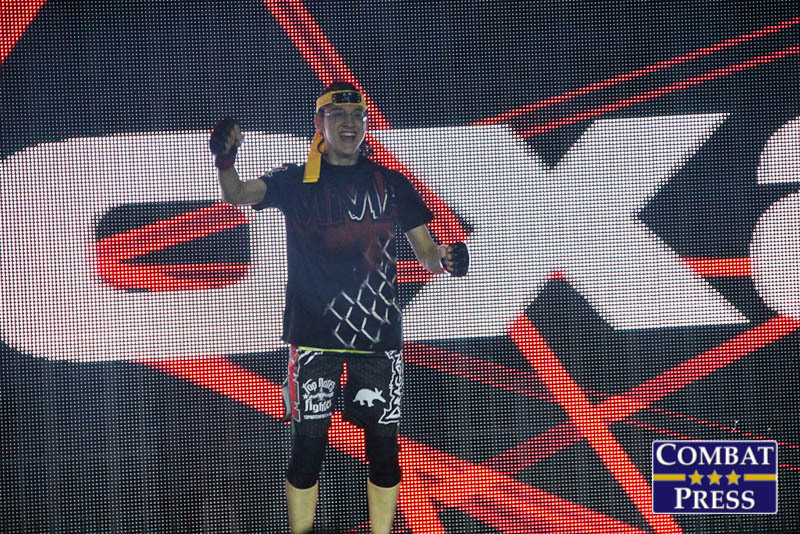 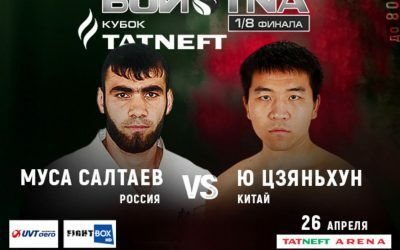 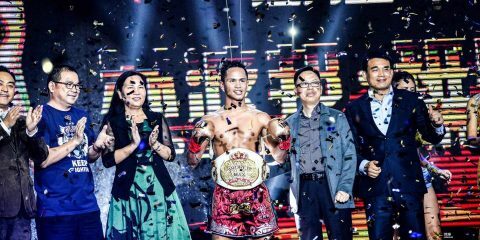 Six of the 24-year-old’s wins had come via submission, including five in the first round. 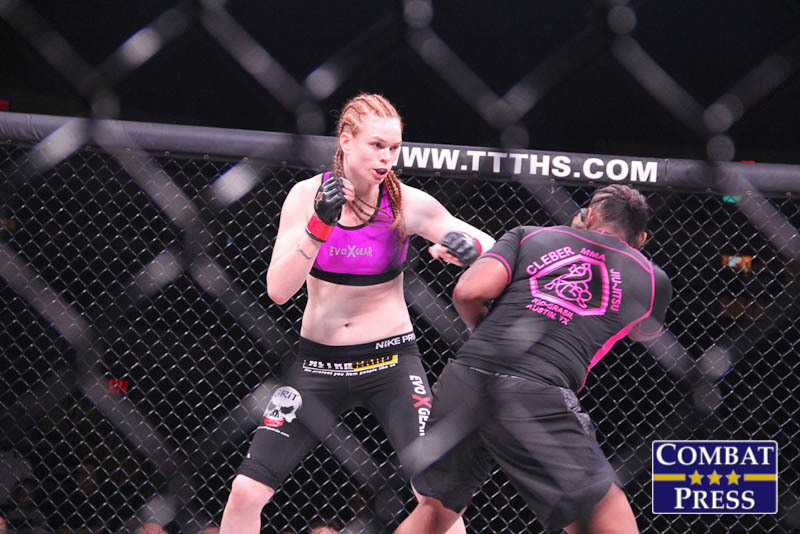 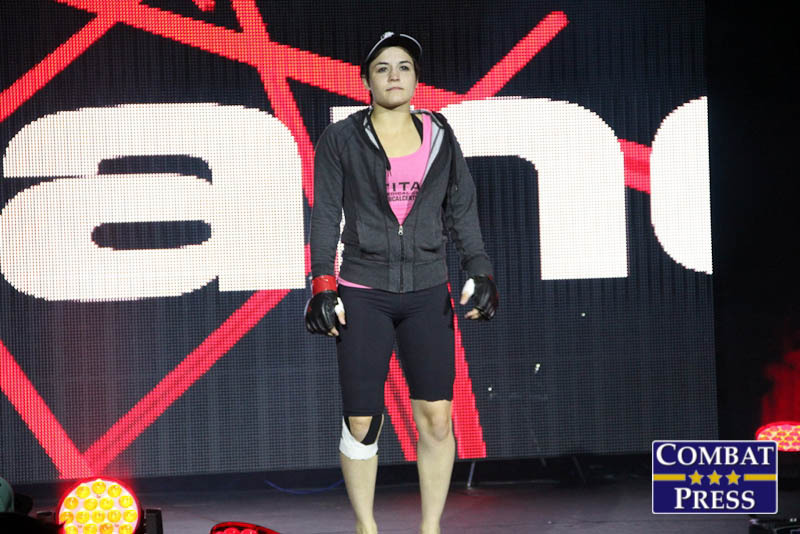 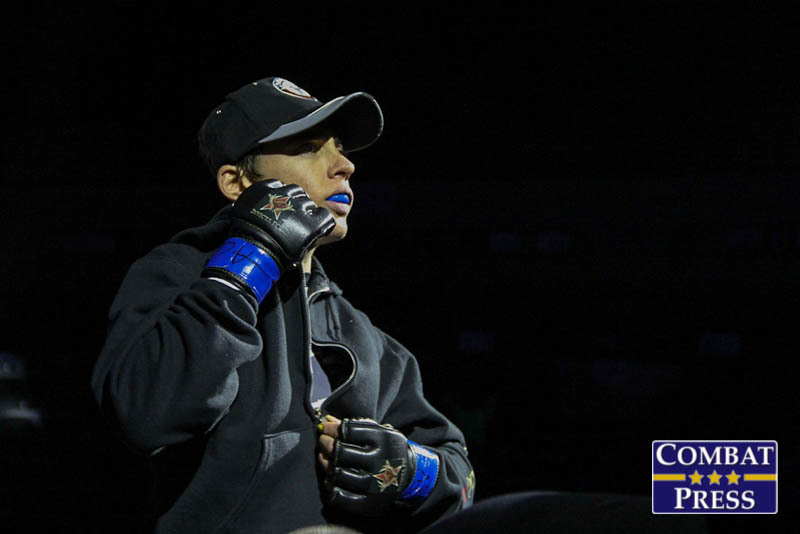 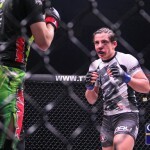 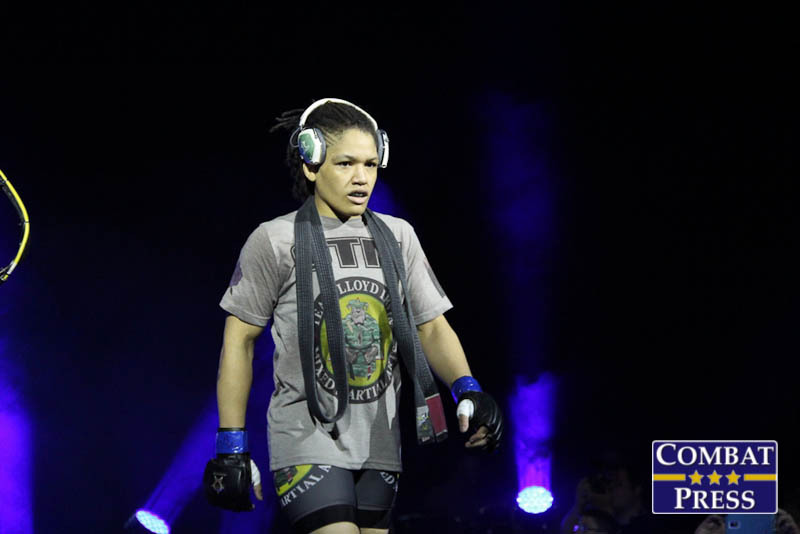 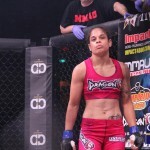 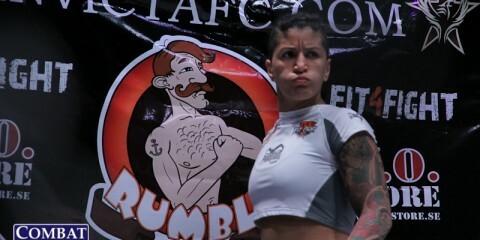 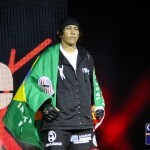 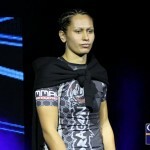 The fight with Kankaanpää wasSouza’s promotional debut, as well as her first bout outside of her native Brazil. 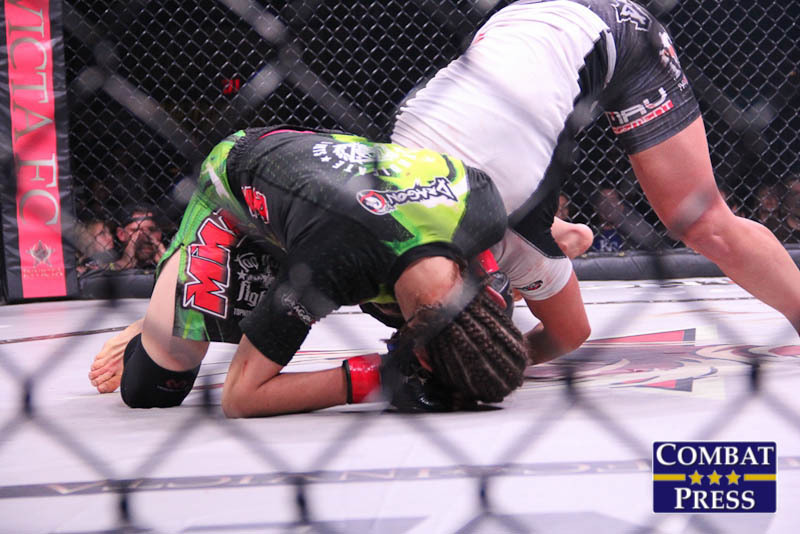 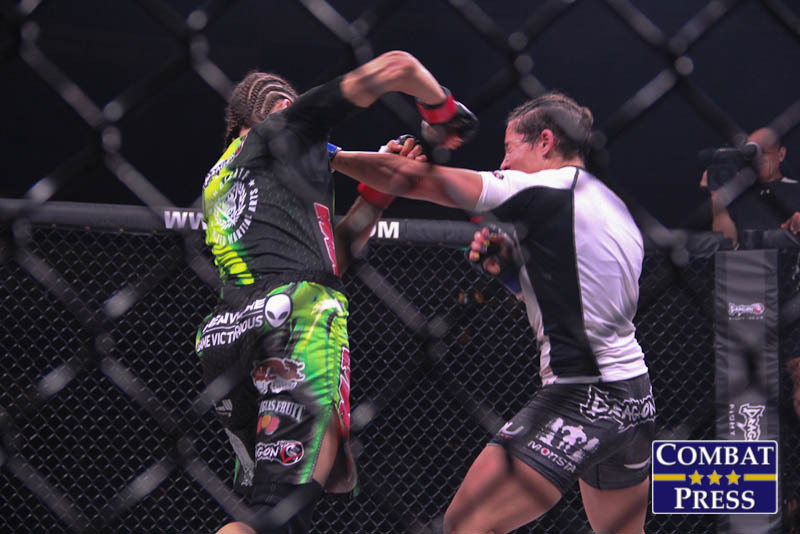 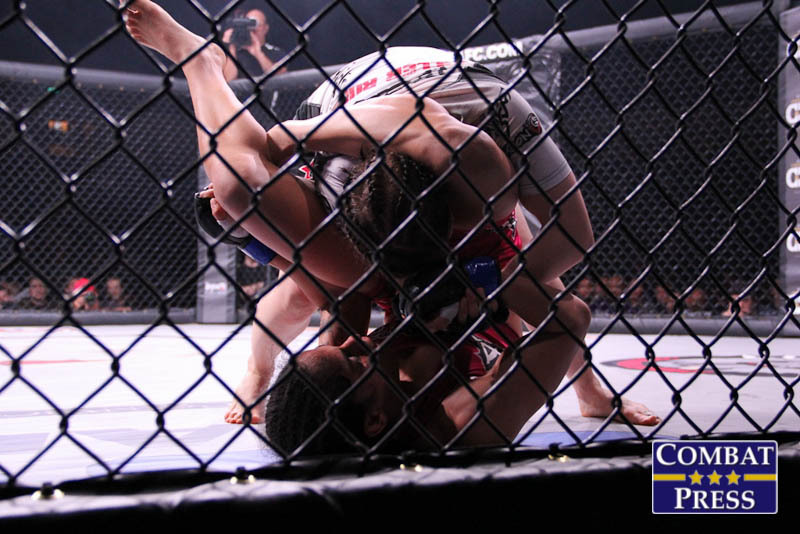 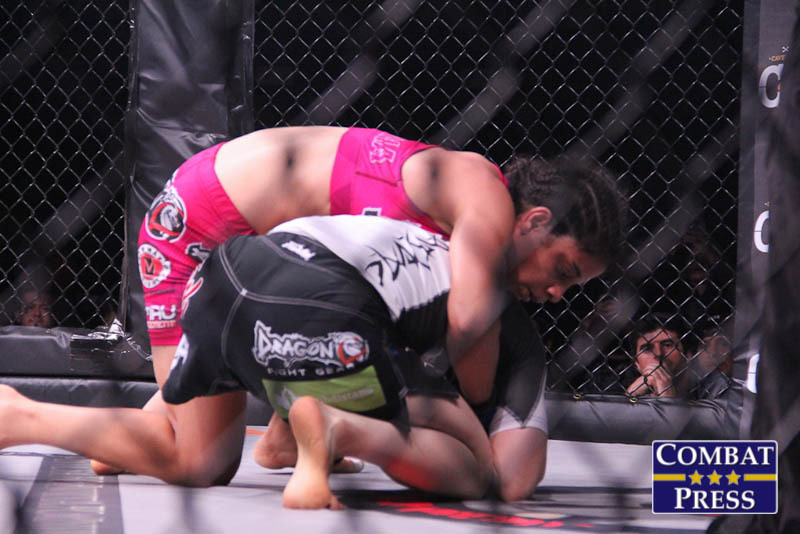 In the night’s co-main event, flyweight Roxanne Modafferi squared off with Brazilian Vanessa Porto. 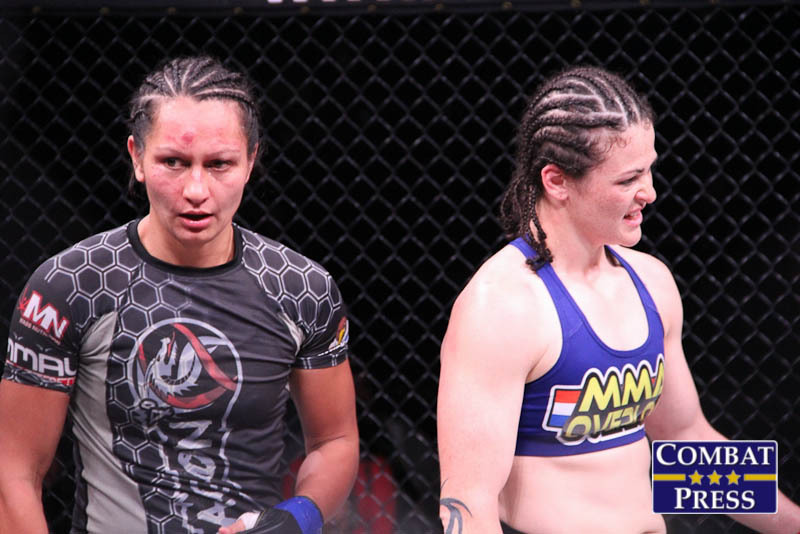 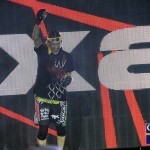 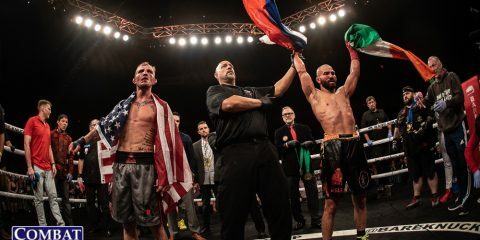 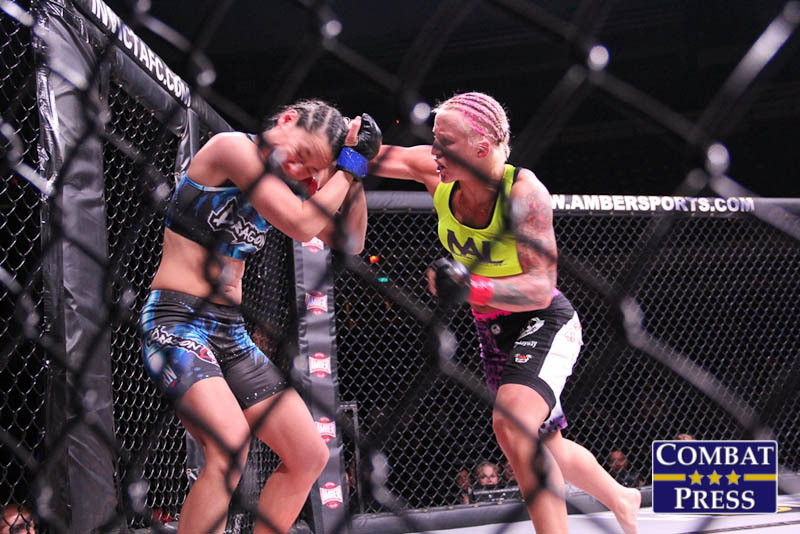 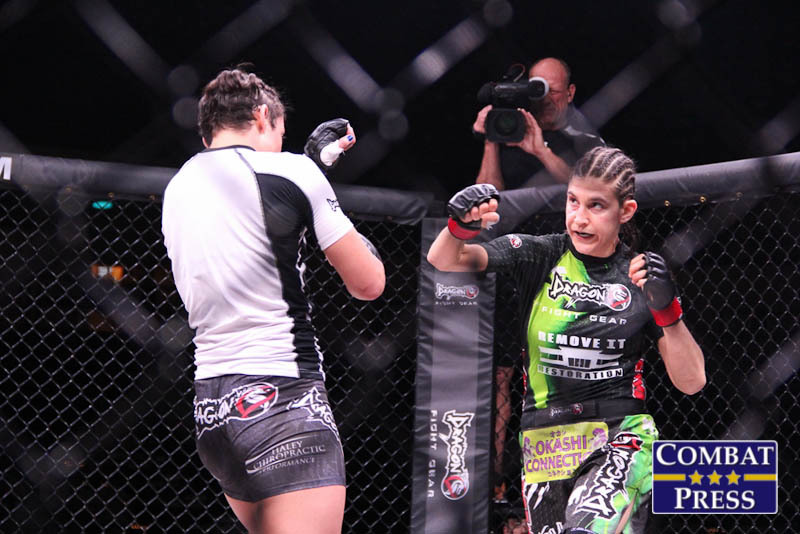 The pair met previously in 2008, with Modafferi earning a third-round TKO victory. 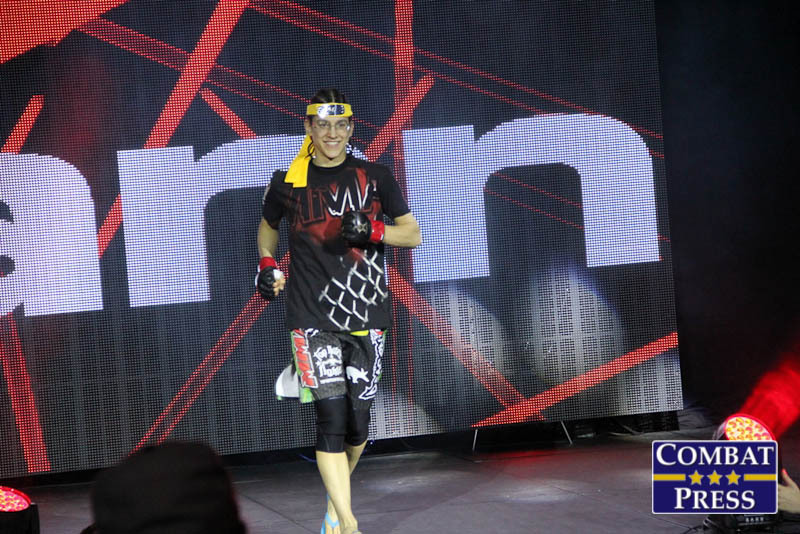 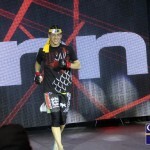 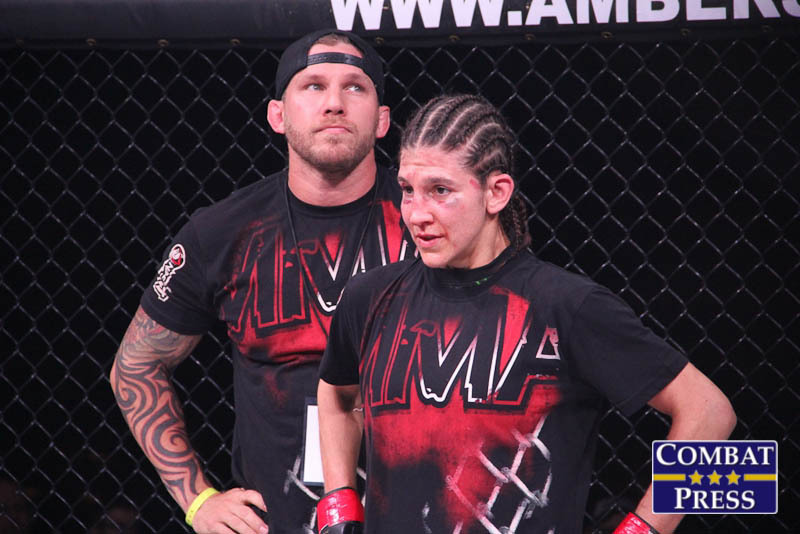 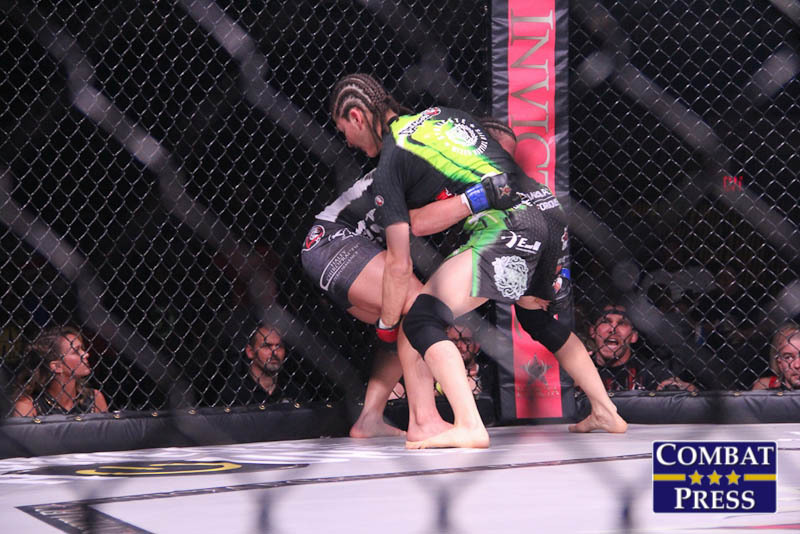 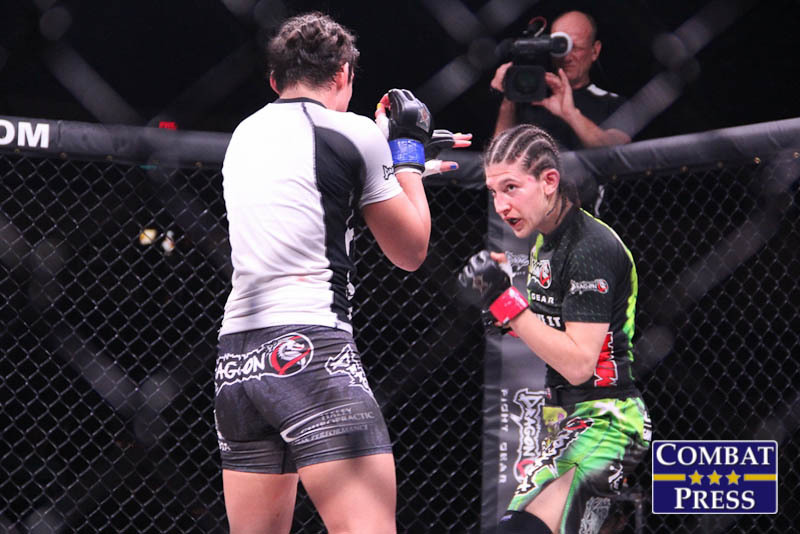 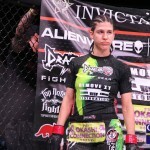 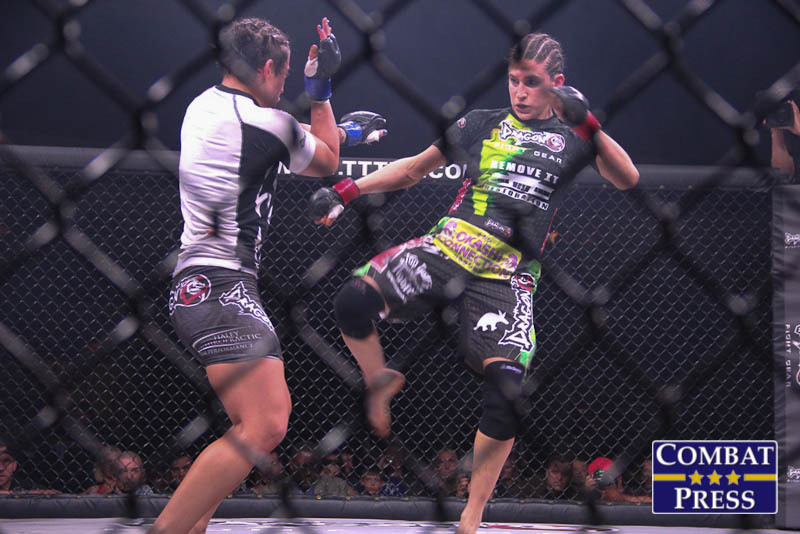 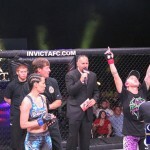 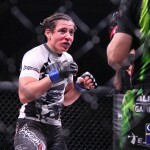 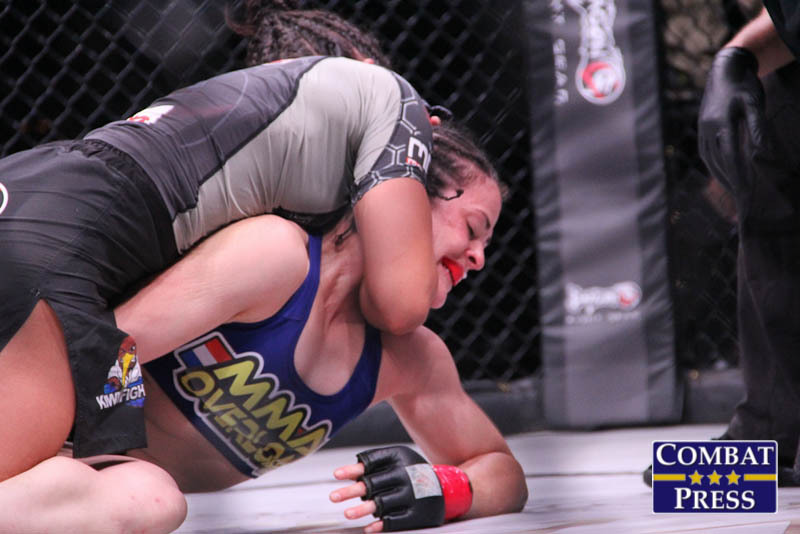 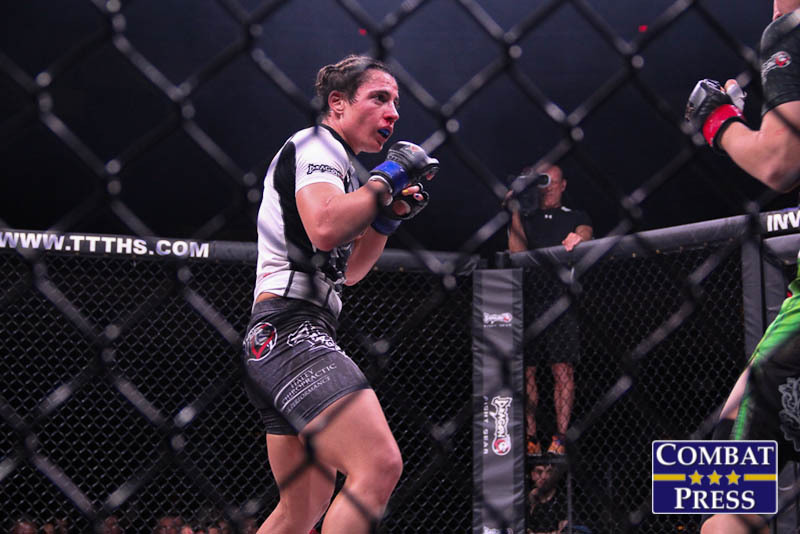 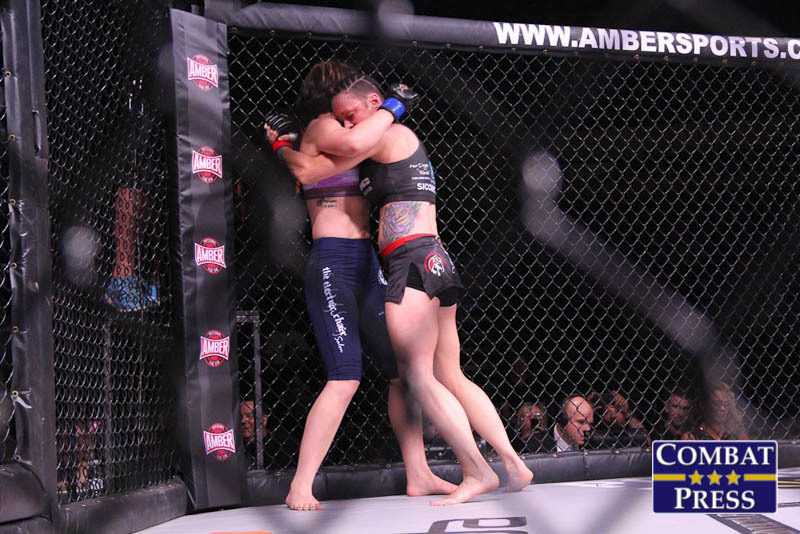 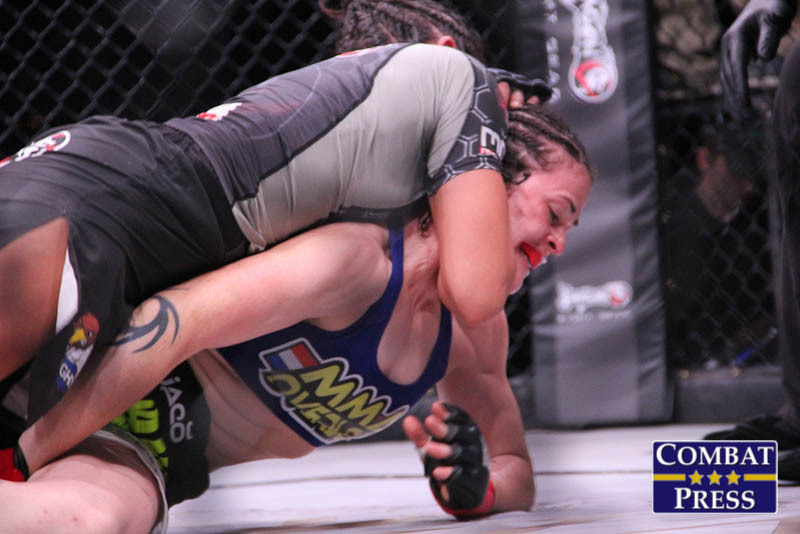 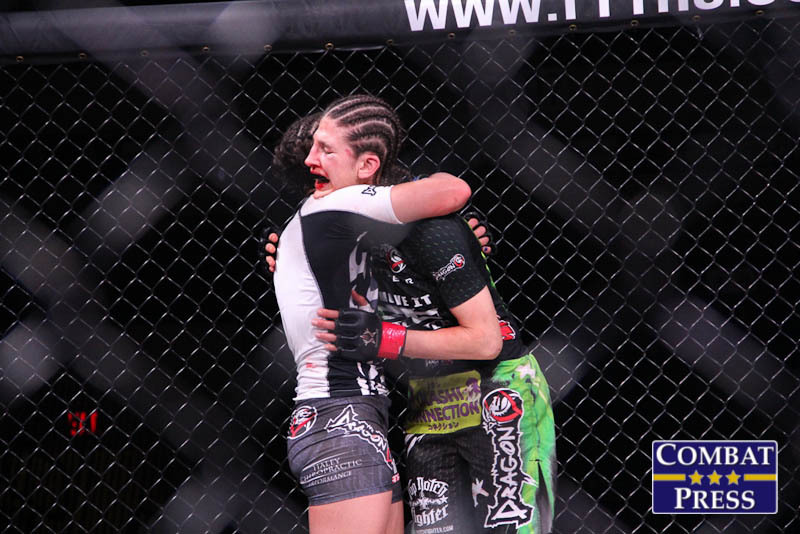 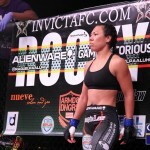 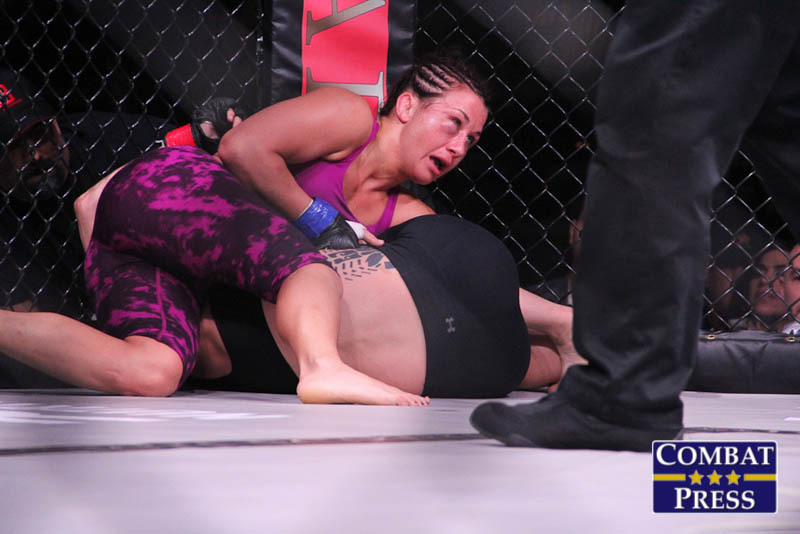 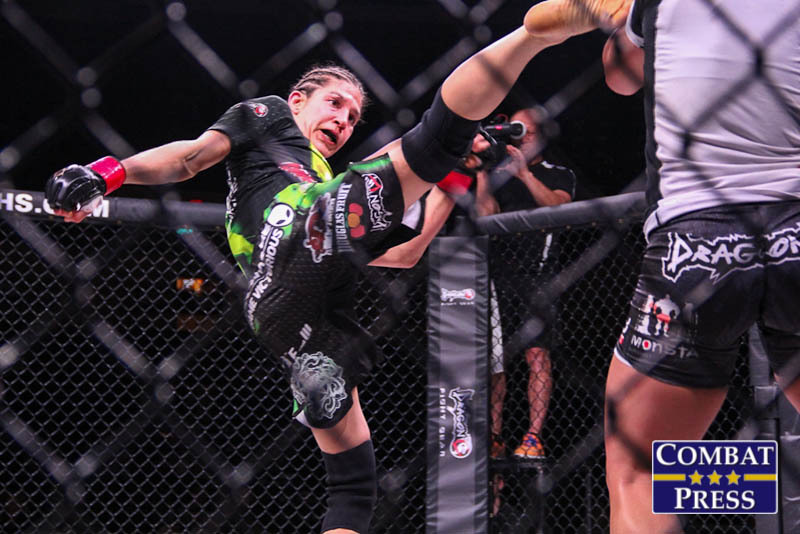 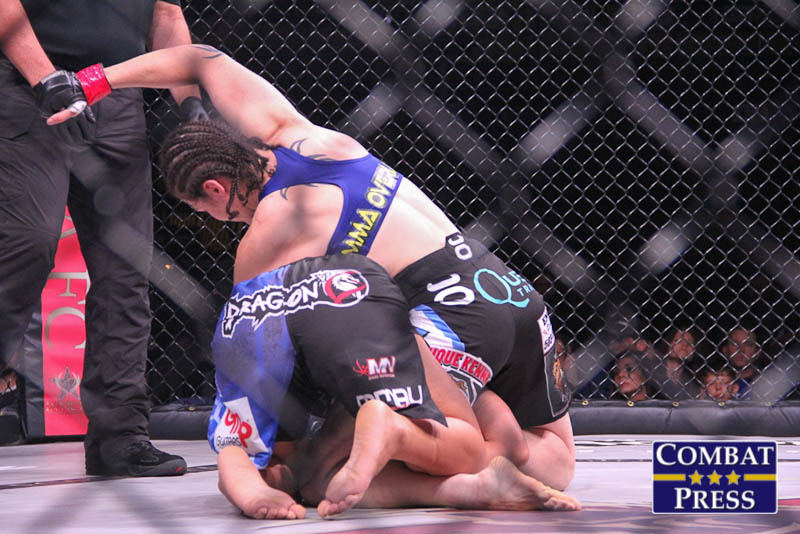 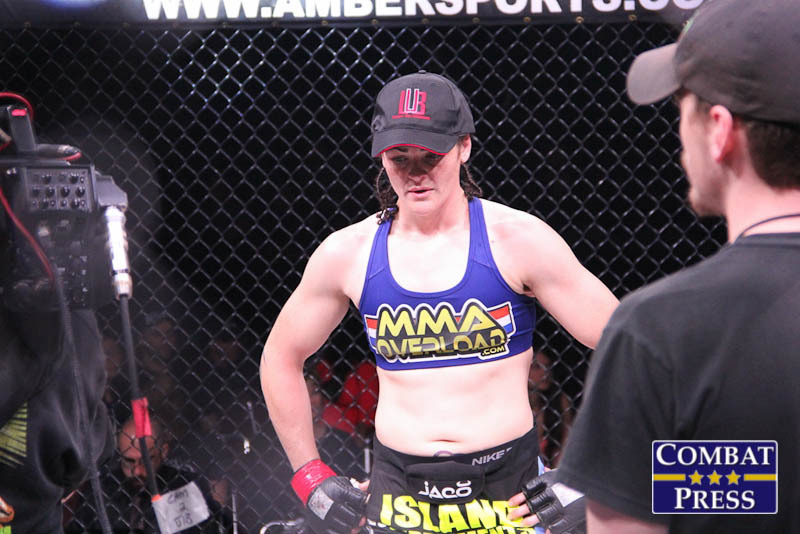 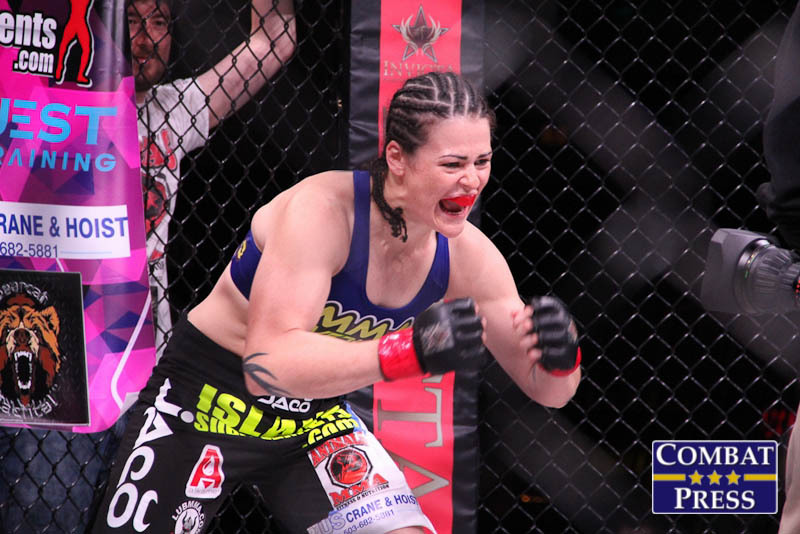 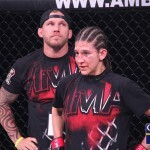 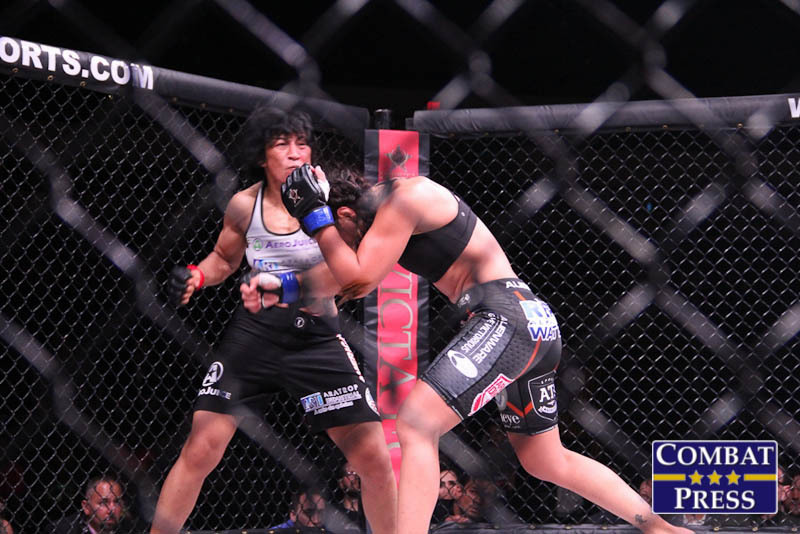 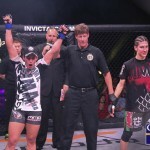 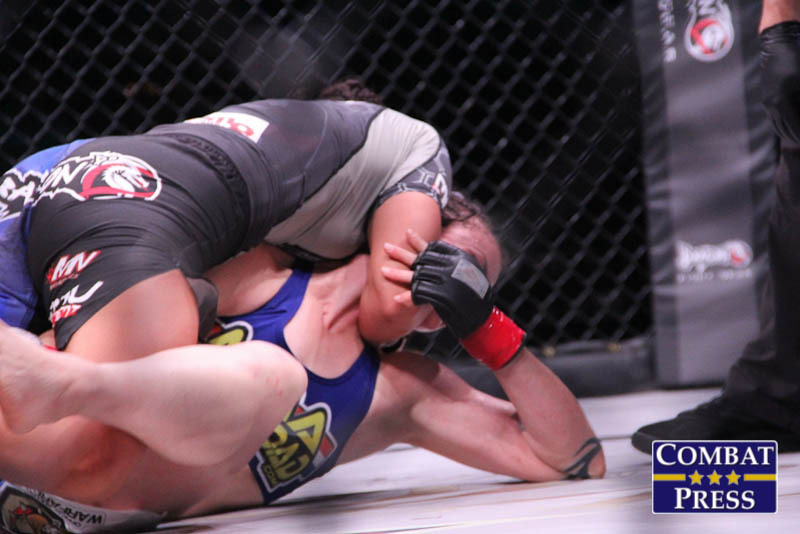 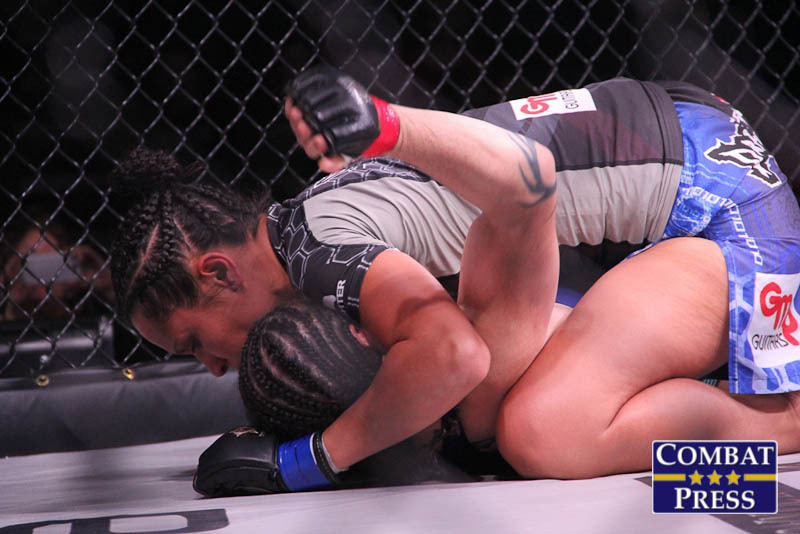 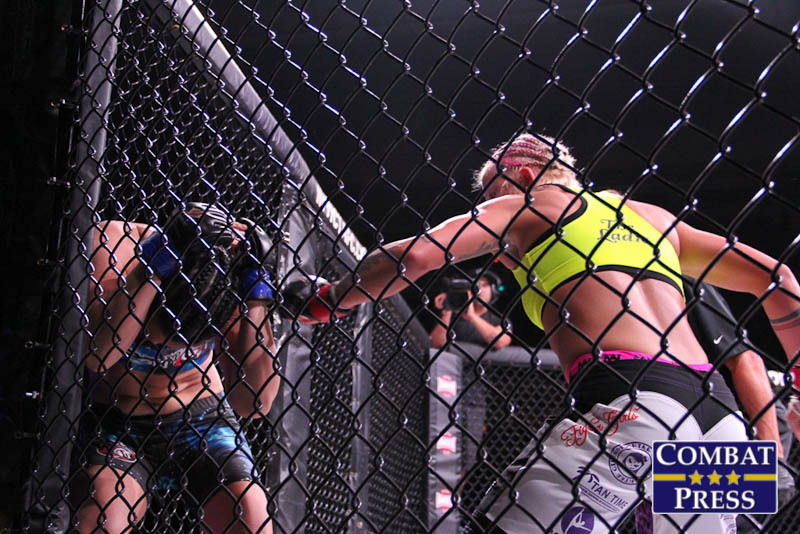 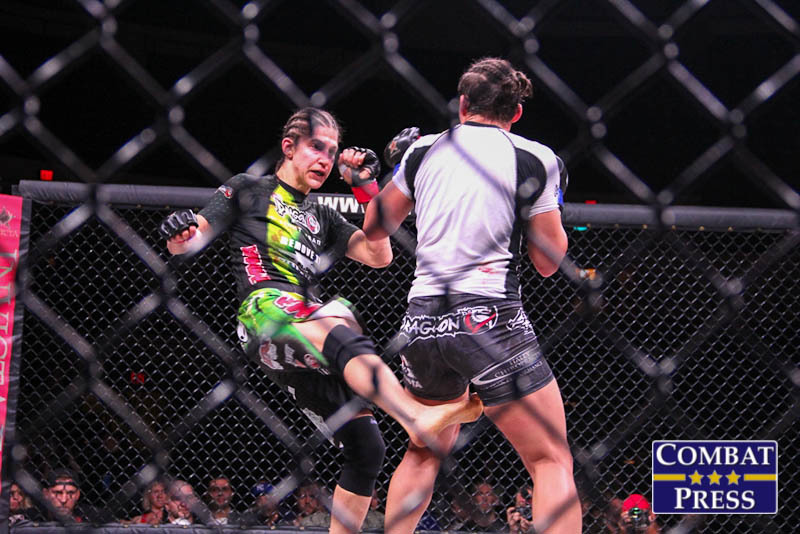 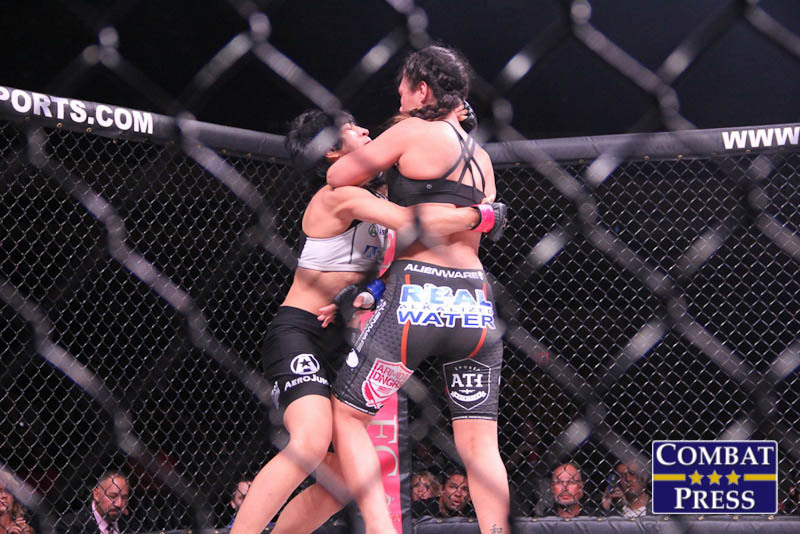 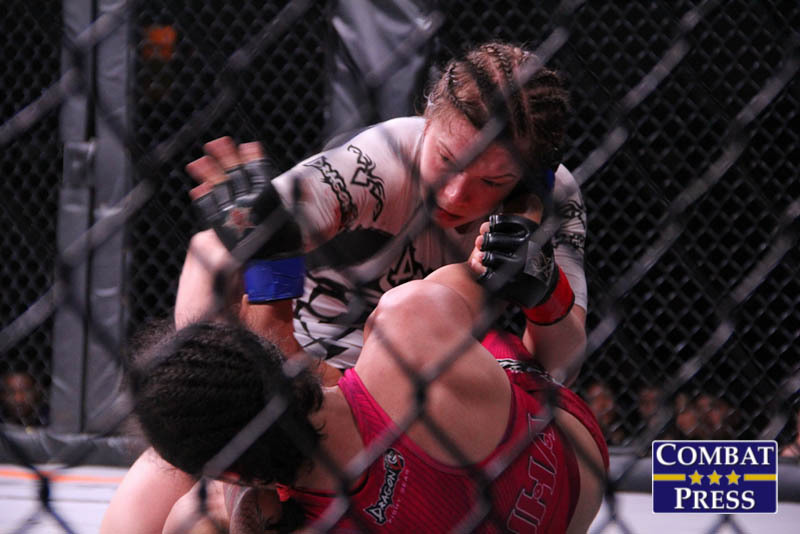 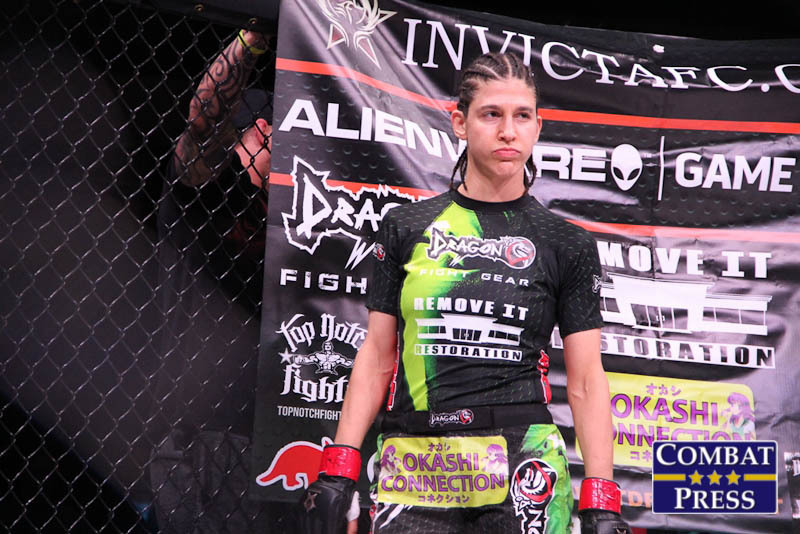 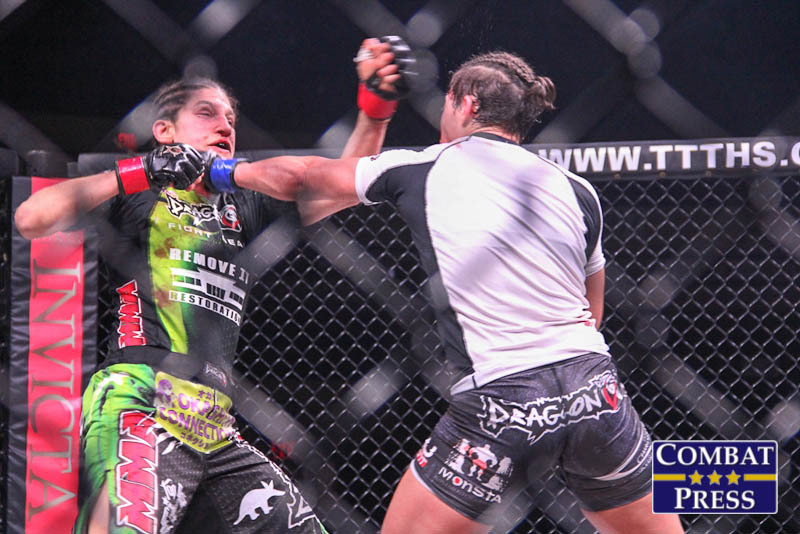 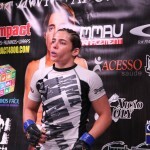 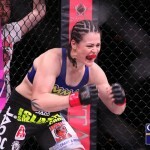 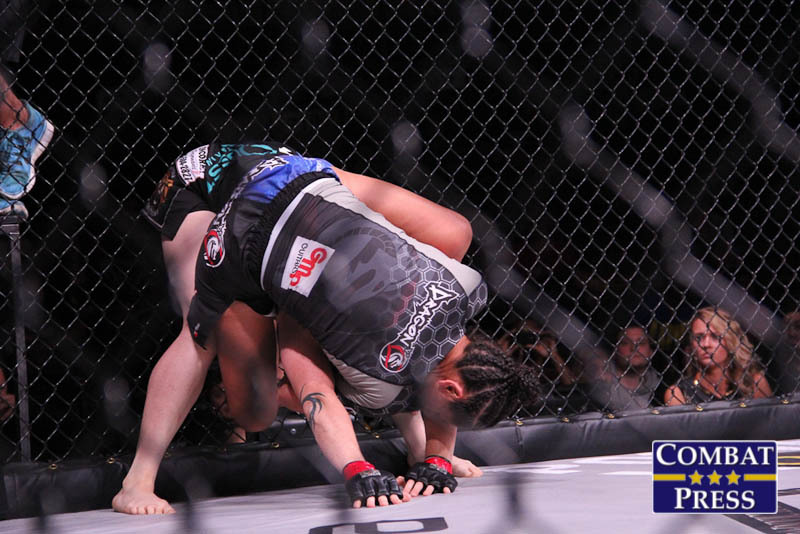 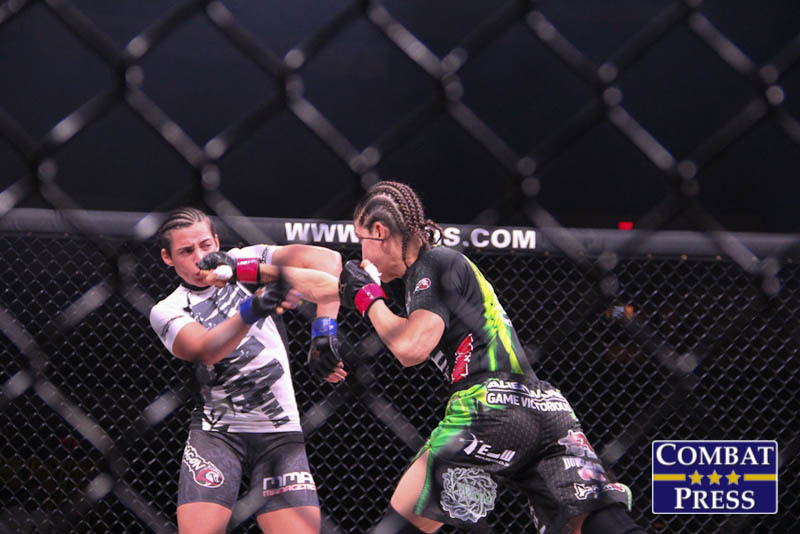 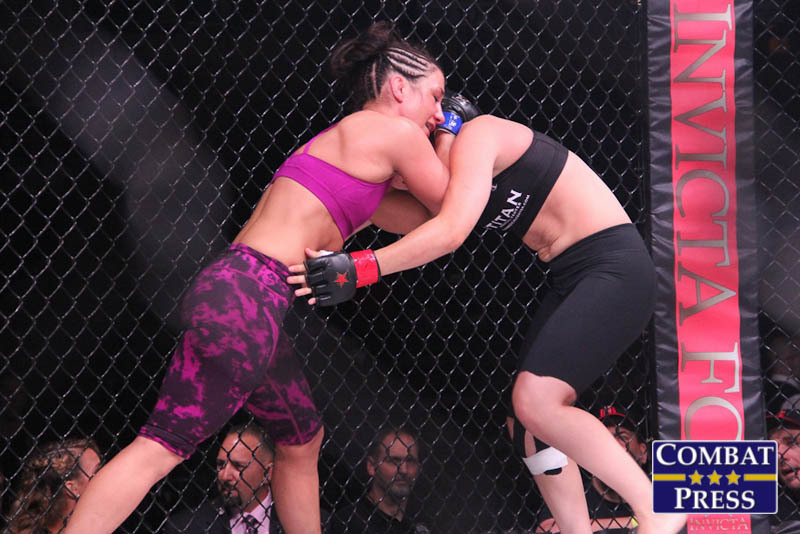 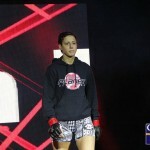 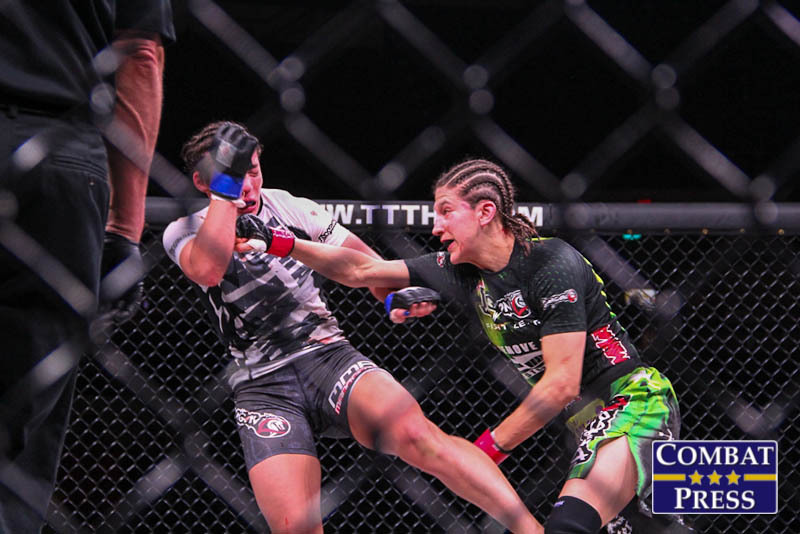 Modafferi had earned back-to-back wins inside the Invicta cage, earning decisions over Tara LaRosa and Andrea Lee. 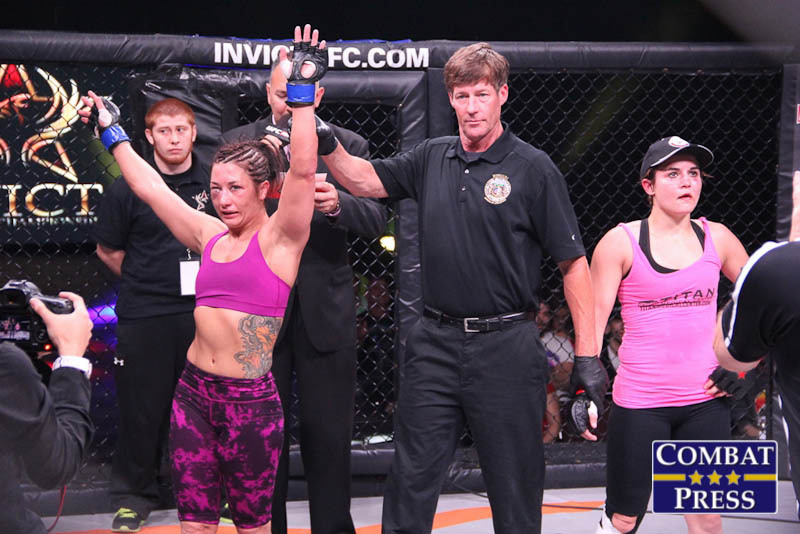 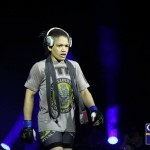 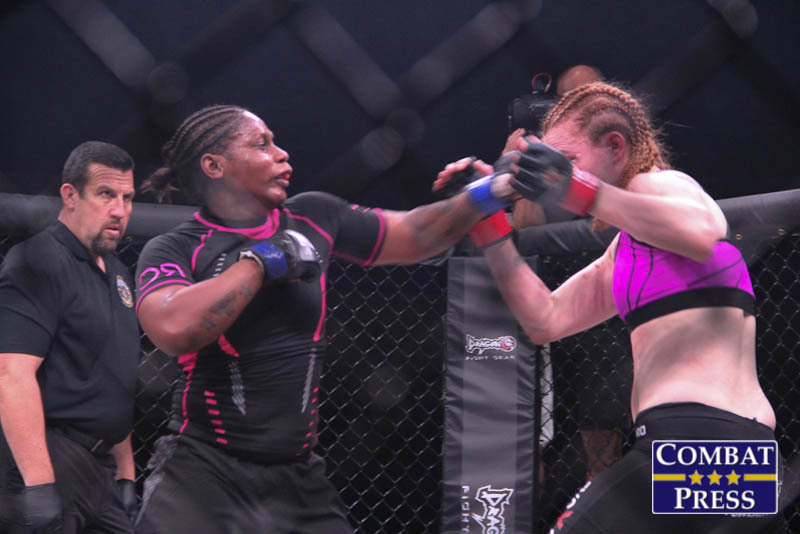 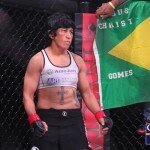 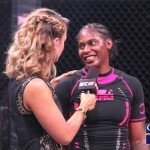 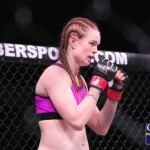 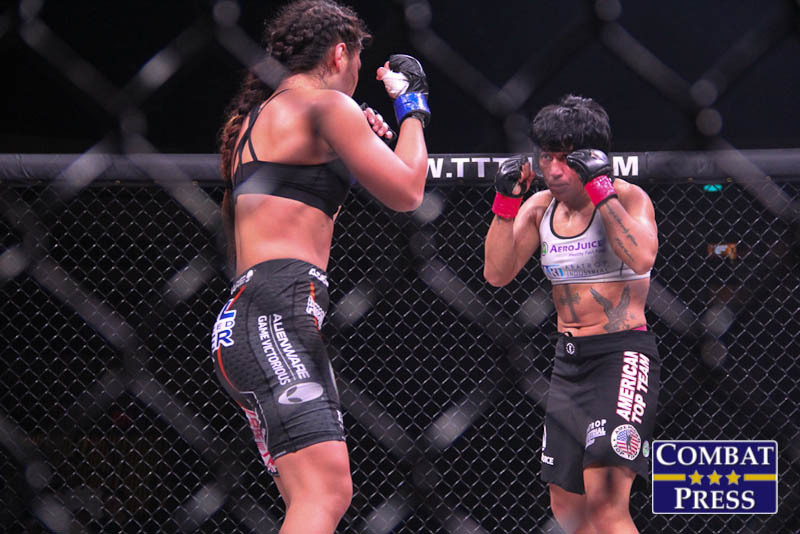 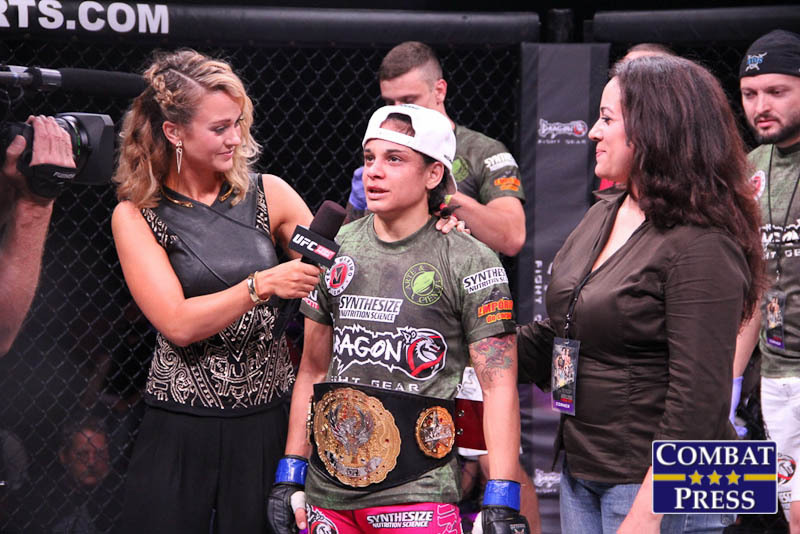 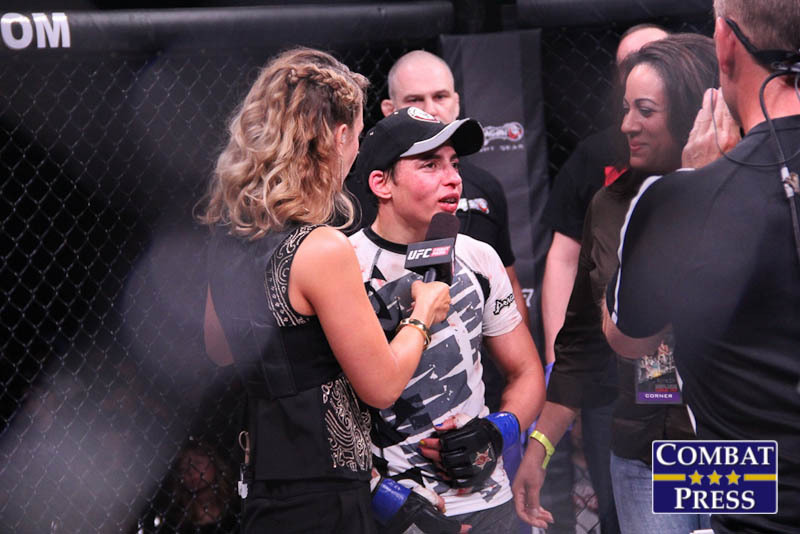 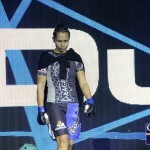 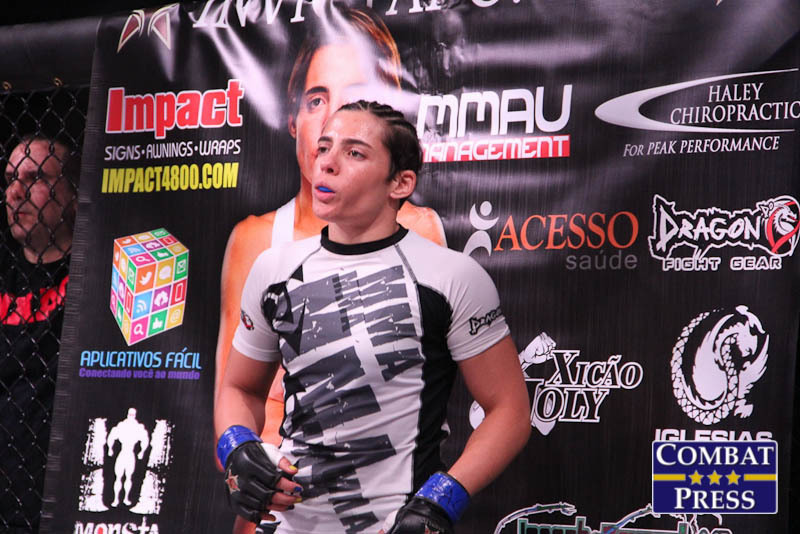 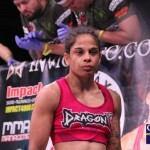 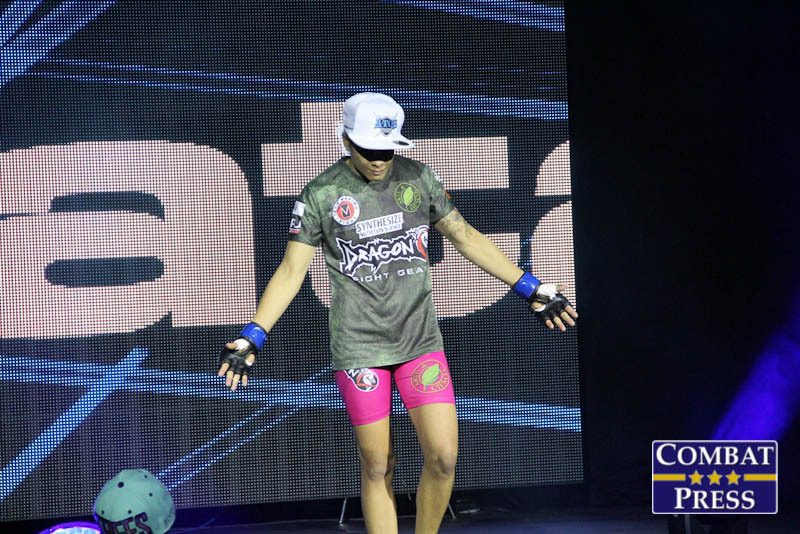 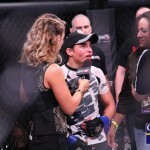 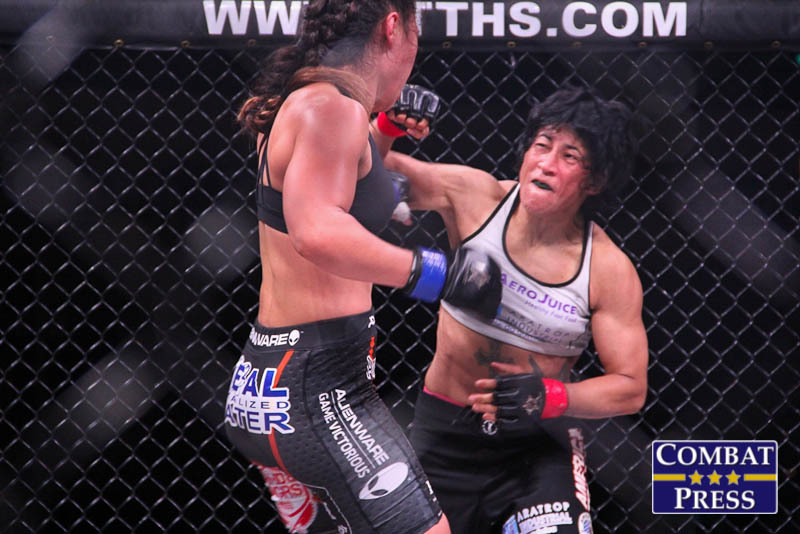 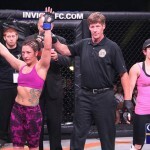 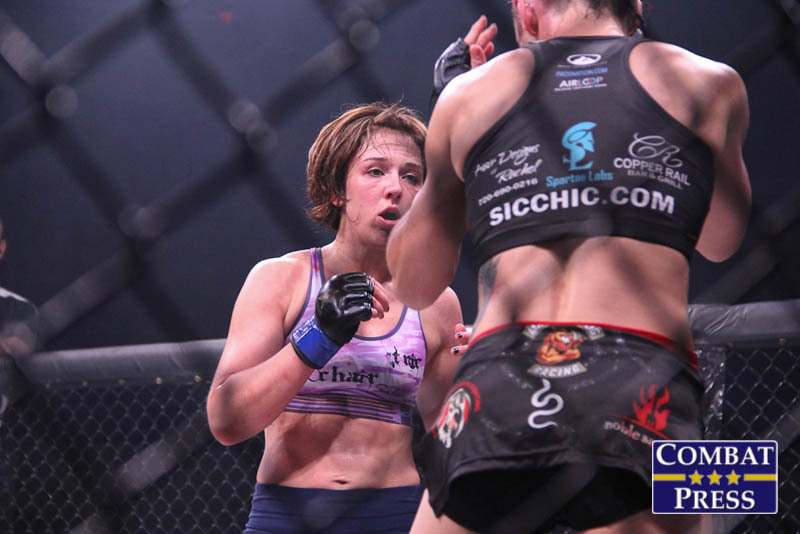 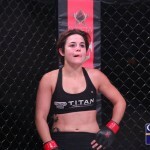 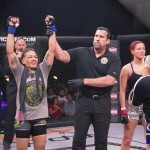 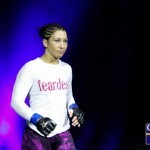 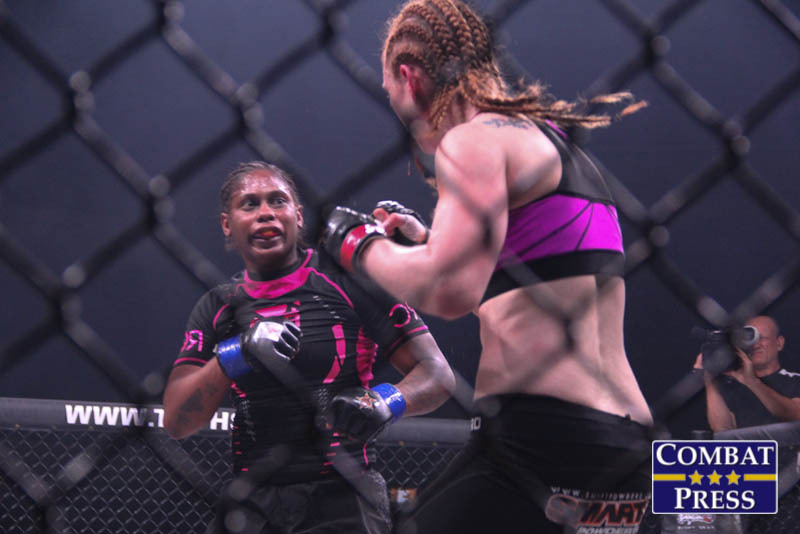 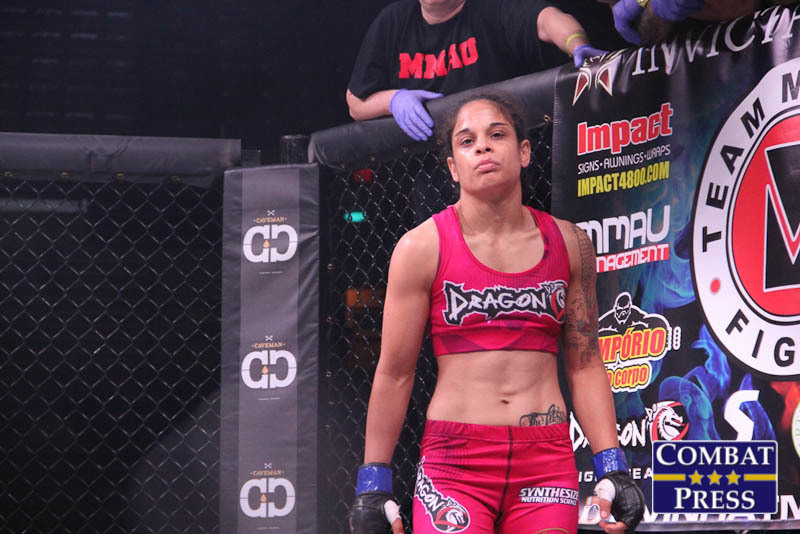 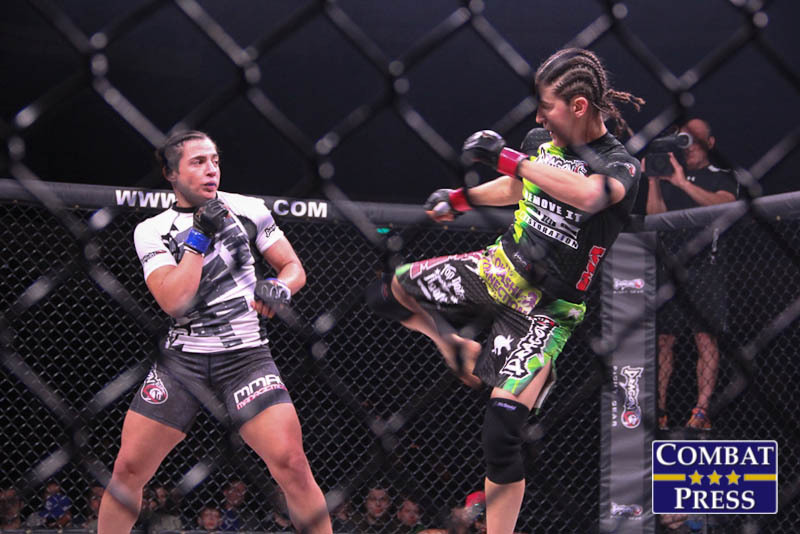 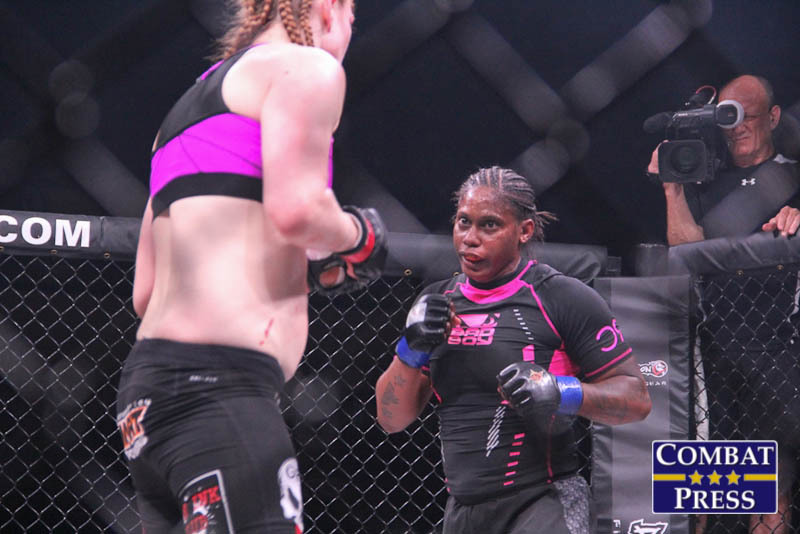 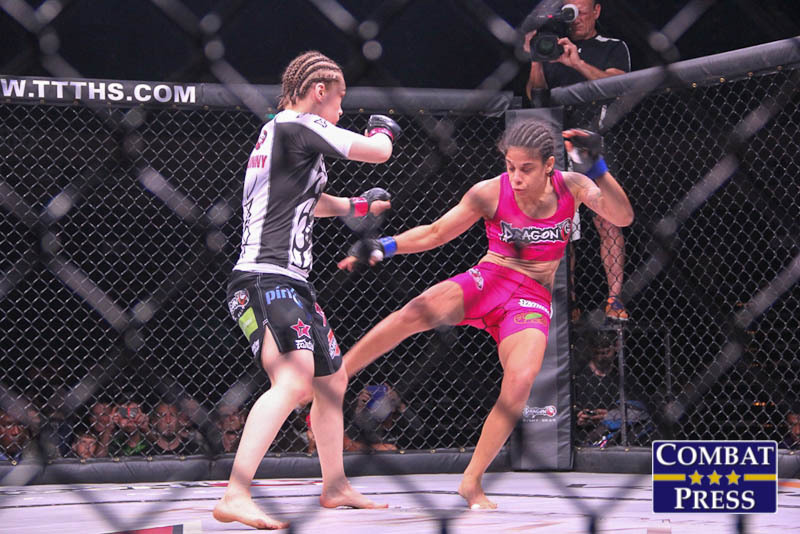 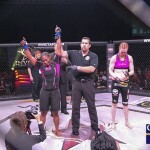 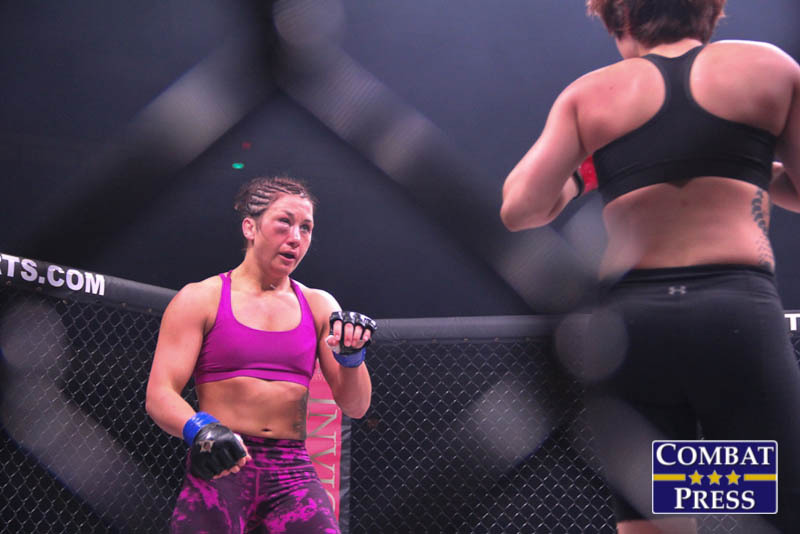 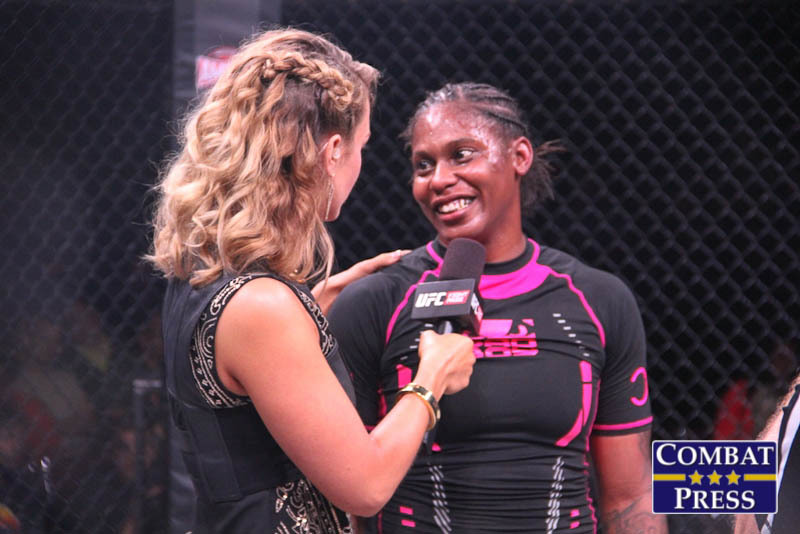 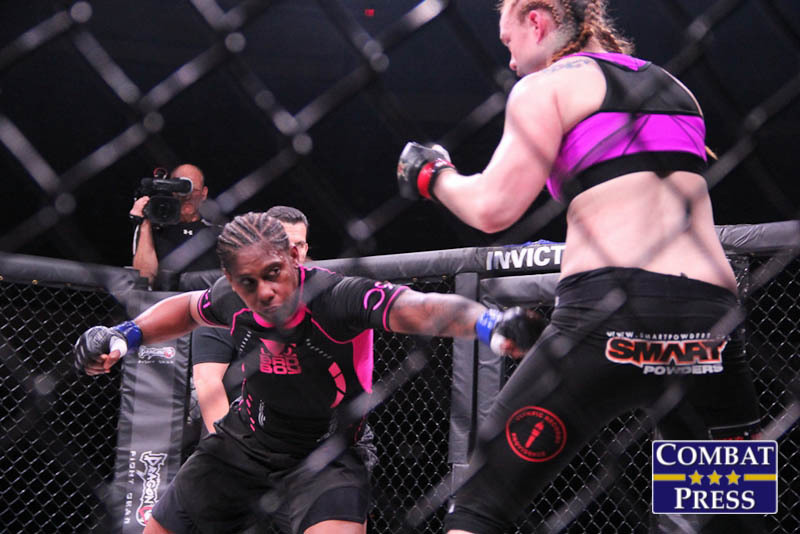 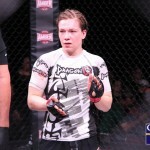 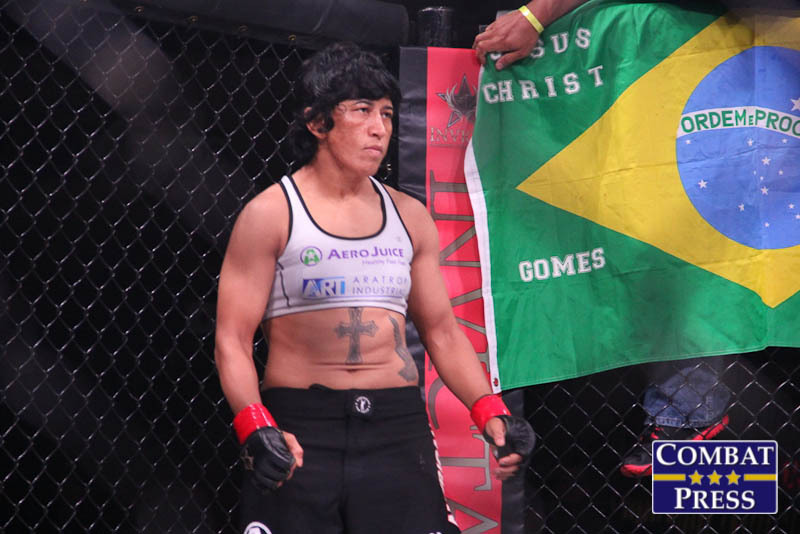 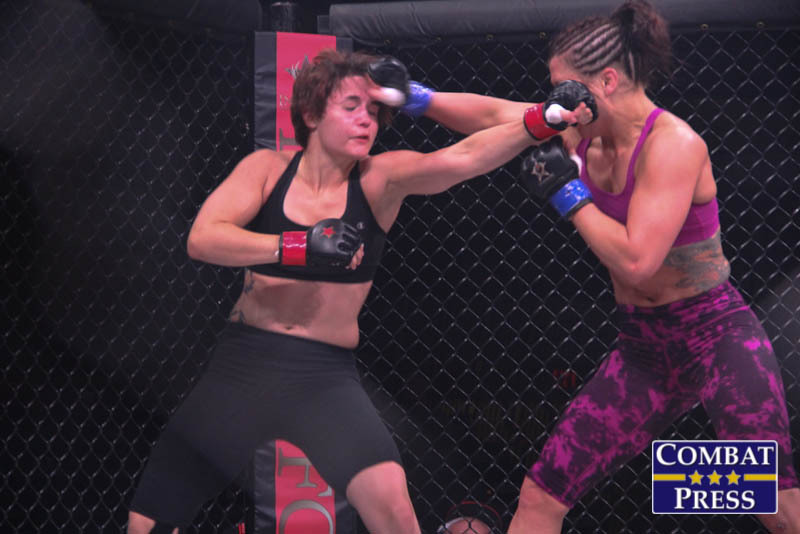 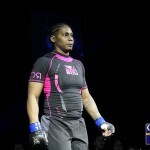 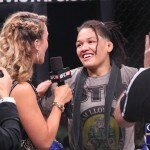 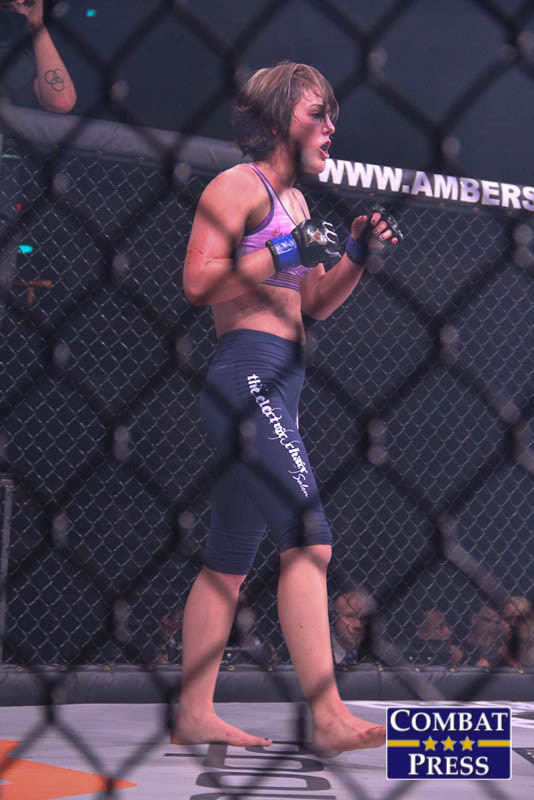 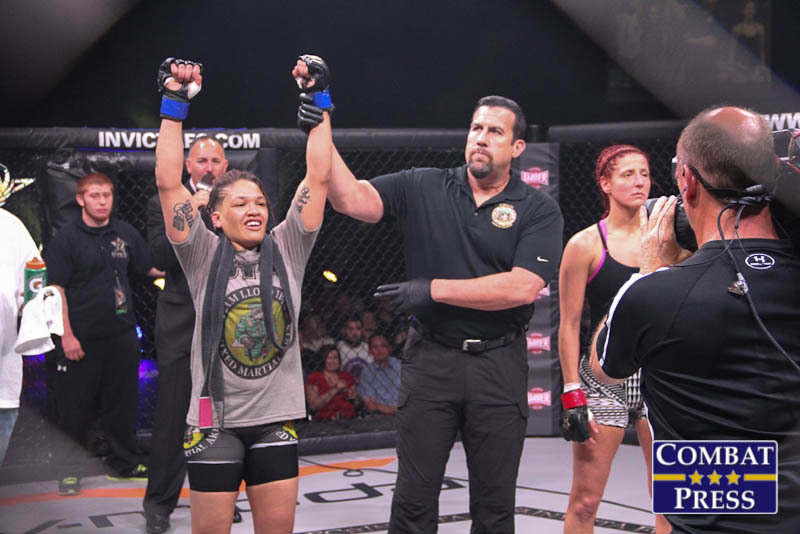 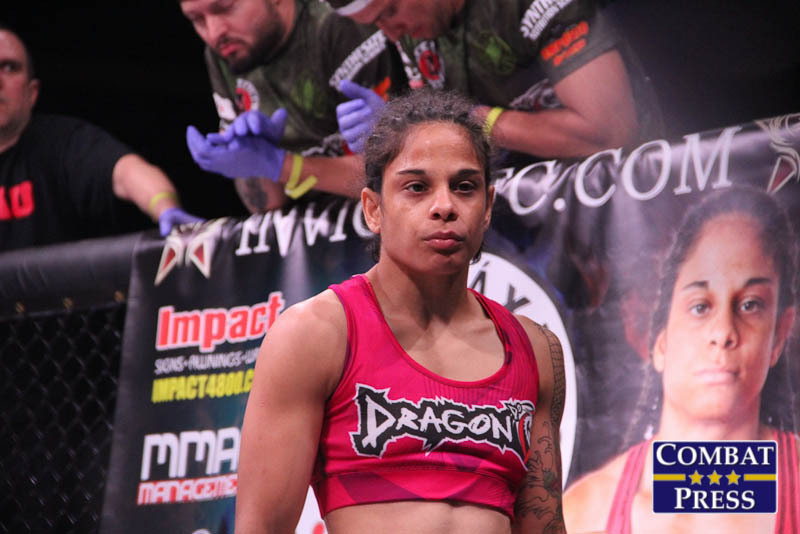 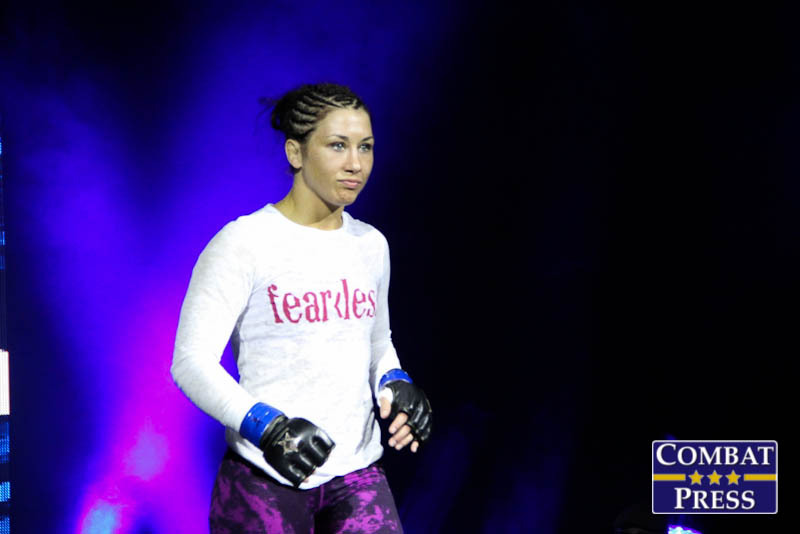 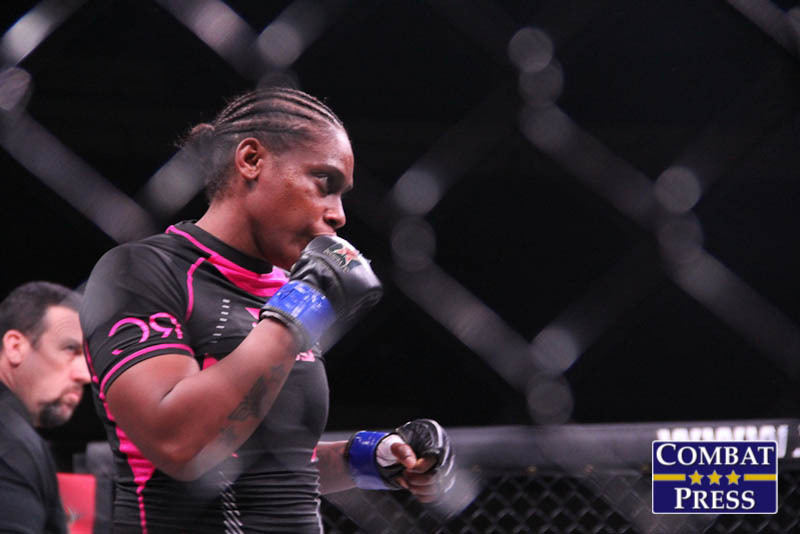 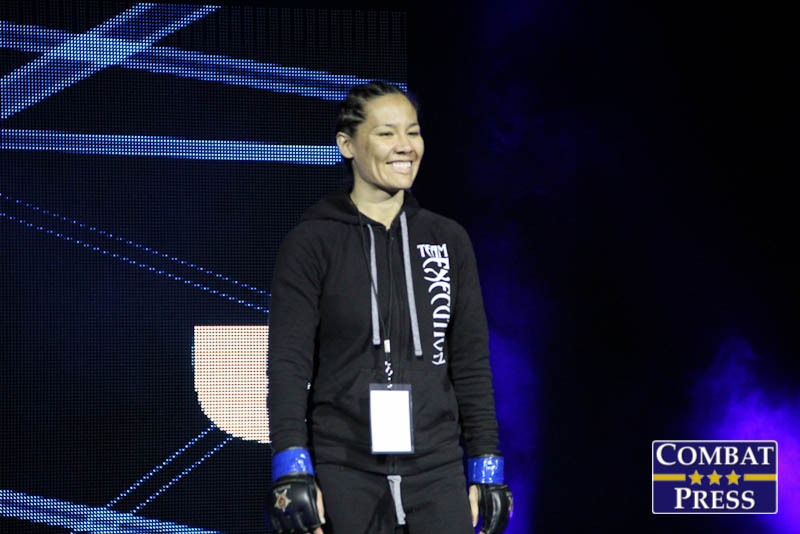 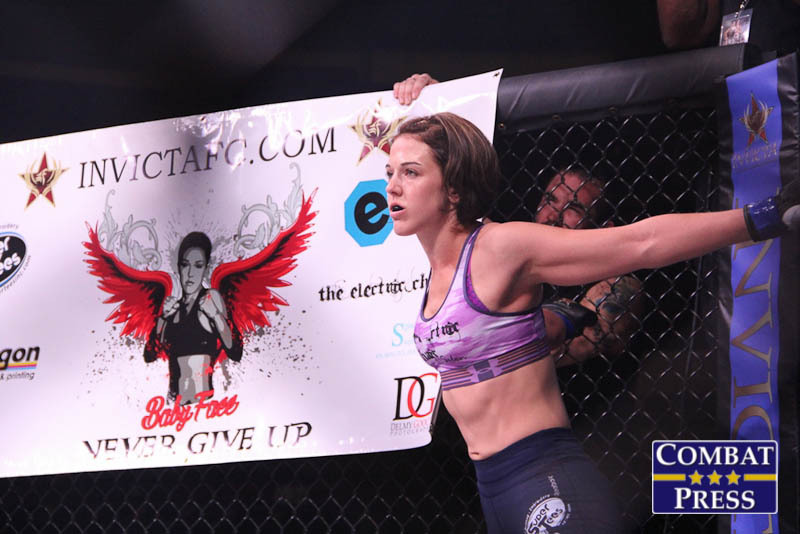 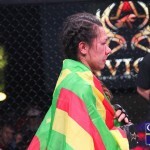 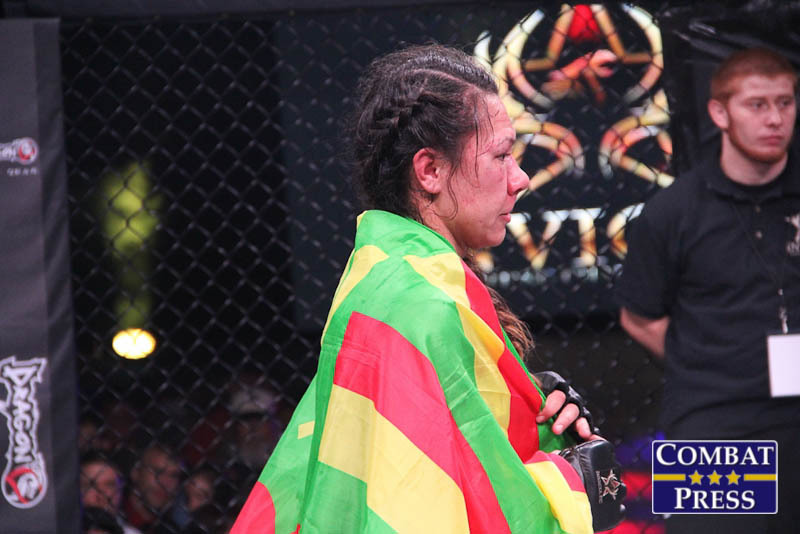 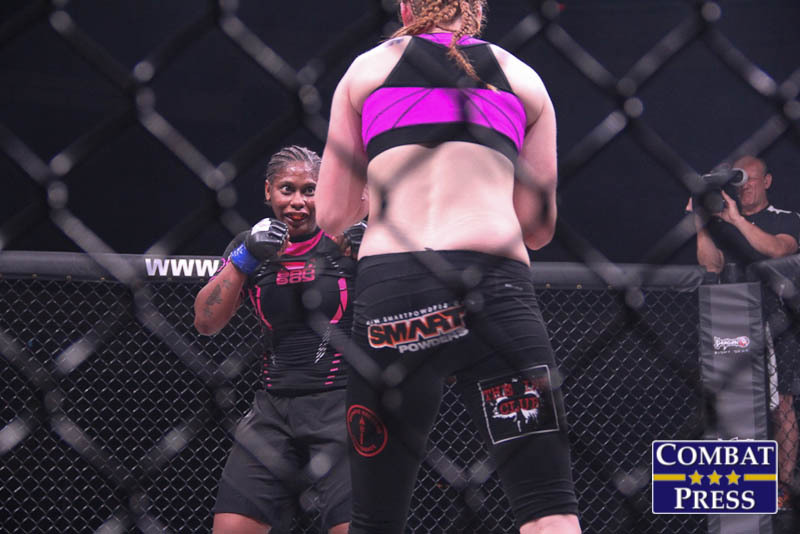 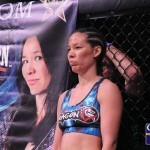 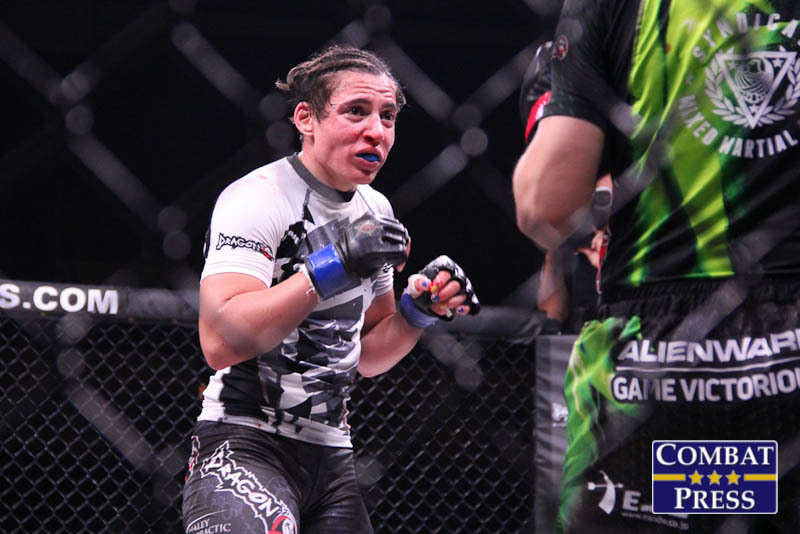 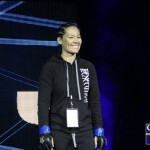 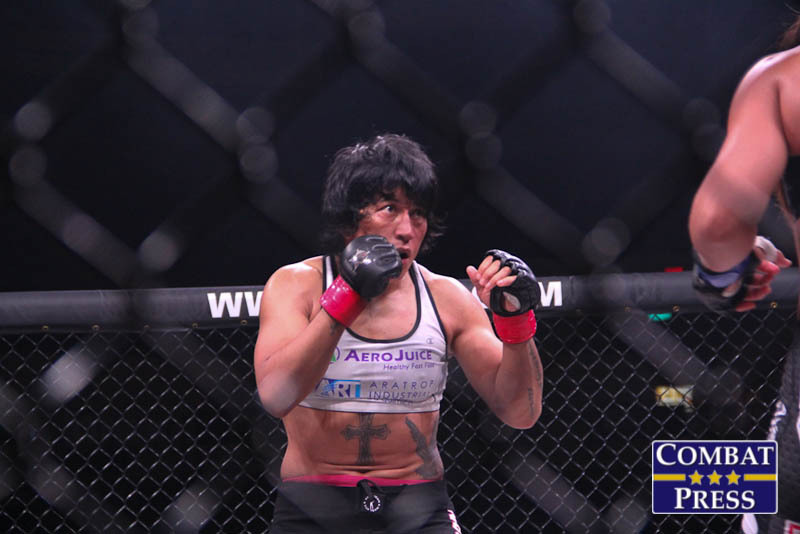 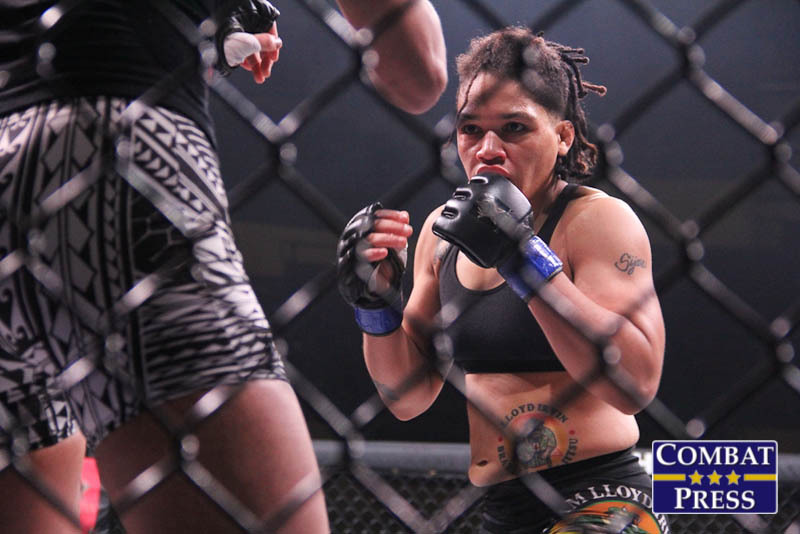 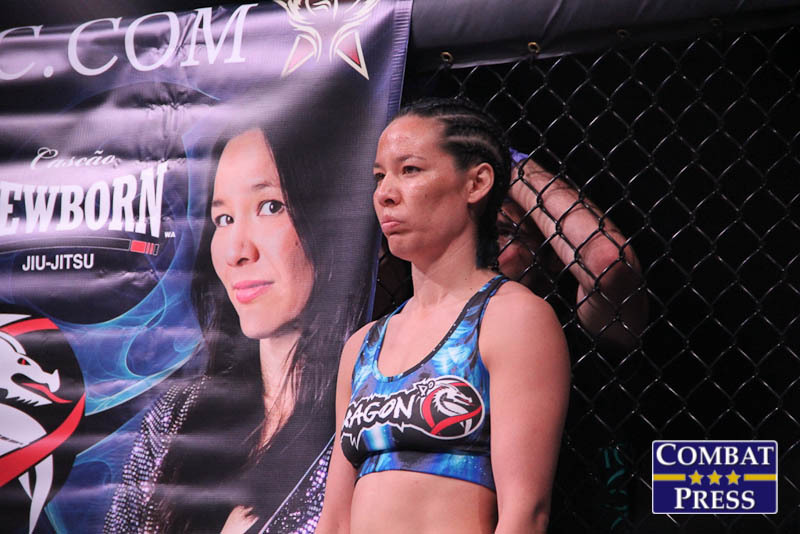 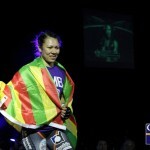 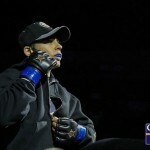 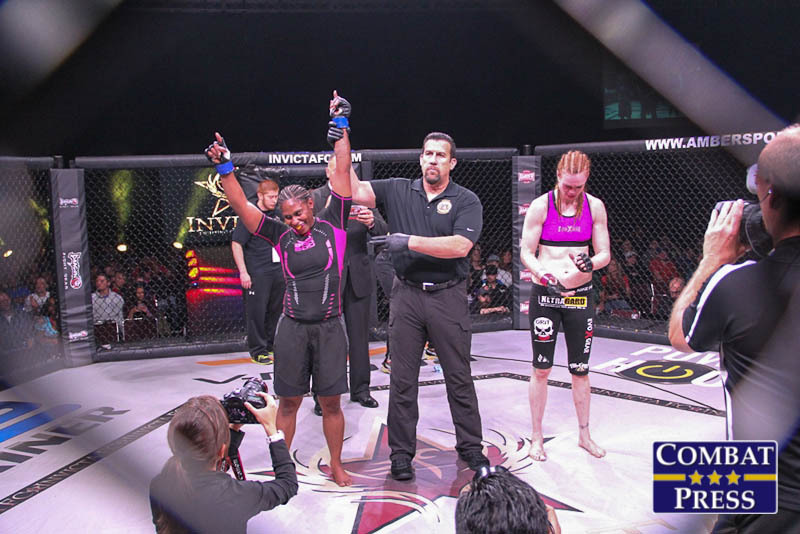 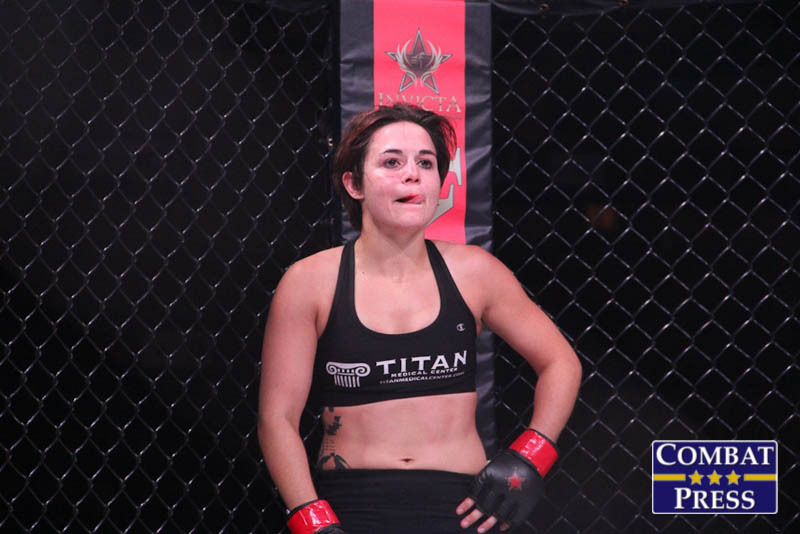 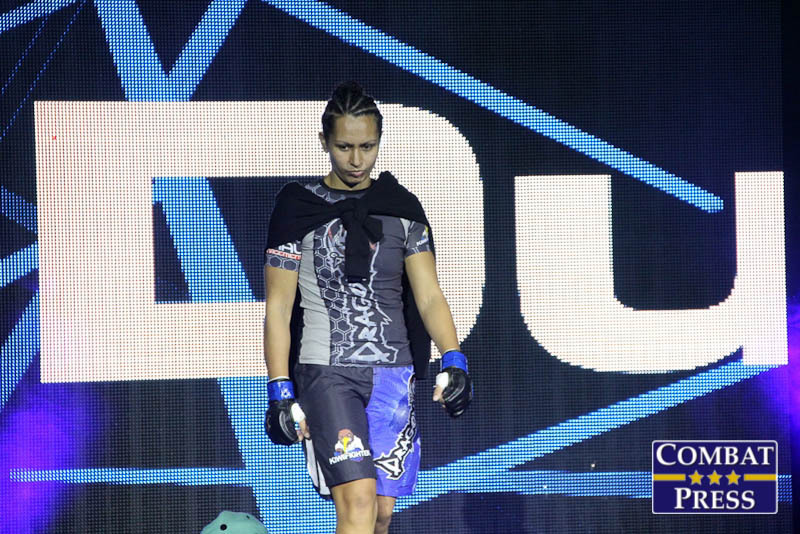 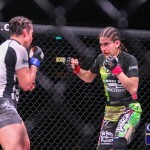 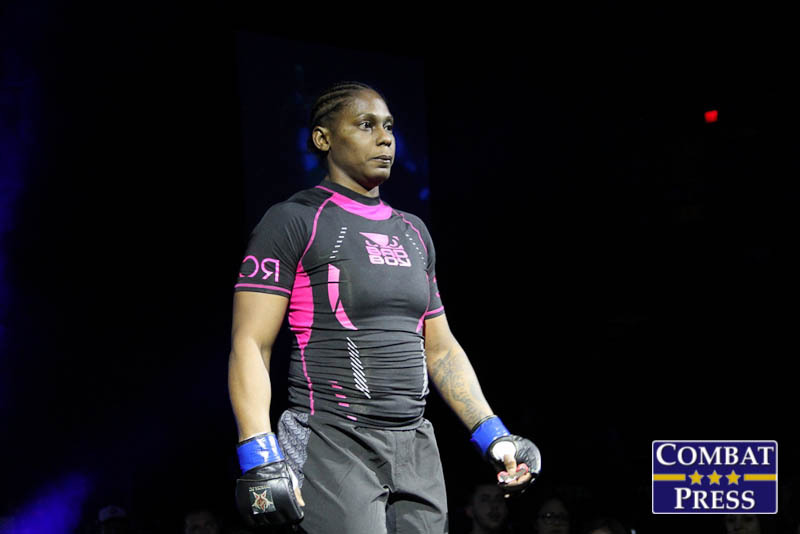 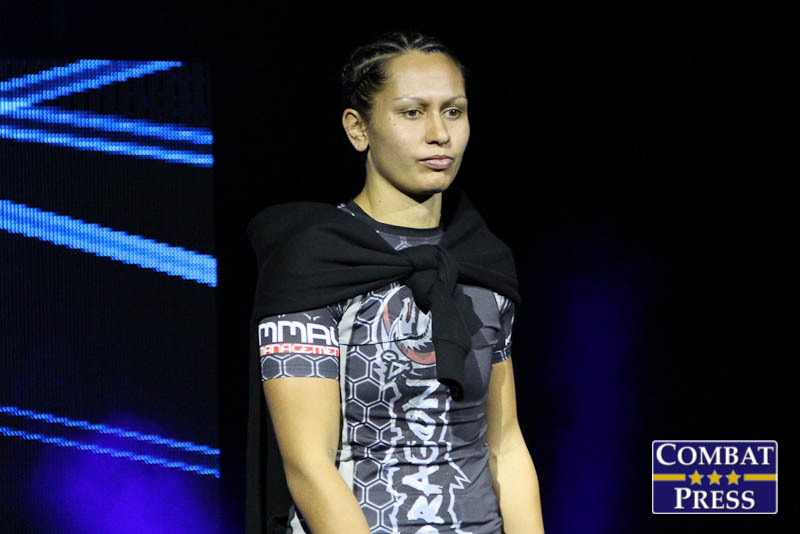 Porto, who challenged for the Invicta title at Invicta FC 5, also rode a two-fight winning streak, including a decision win over Zoila Frausto at Invicta FC 7. 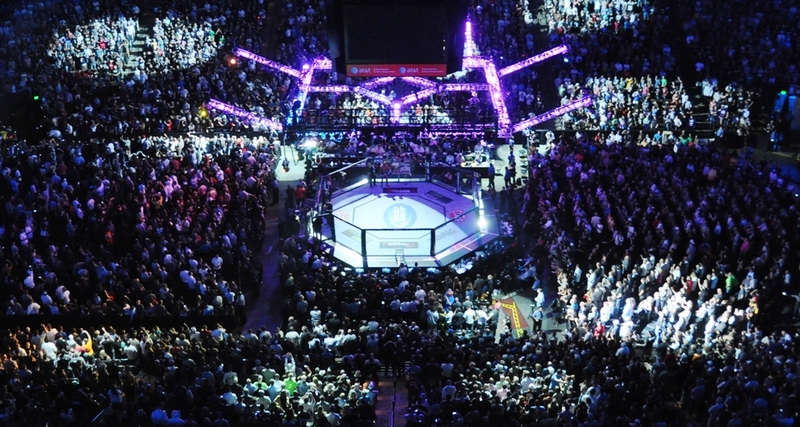 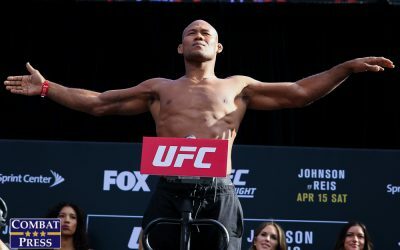 The event streamed live via the UFC’s digital network, UFC Fight Pass, beginning at 8 p.m ET.